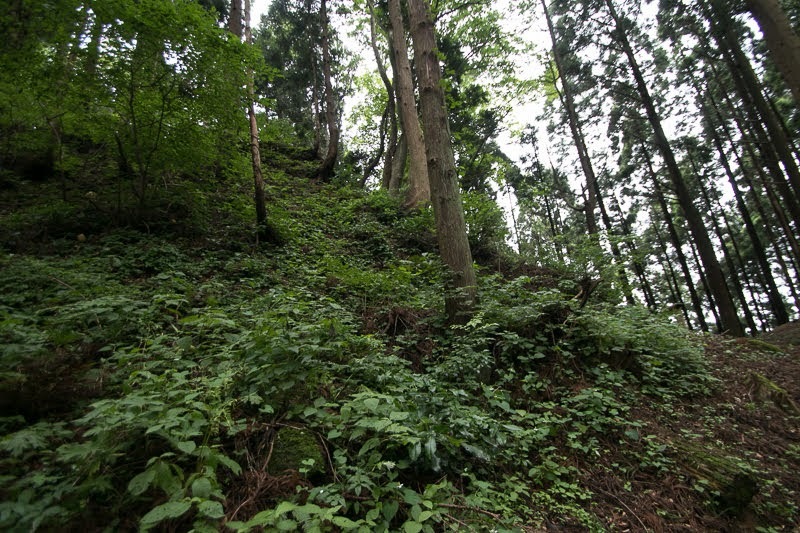 Ura castle (浦城) is built over a long and narrow ridge of about 100 meter height from hillside, that spreads eastward of Takaokayama mountain at southeastern corner of former Hachiro-gata lake. 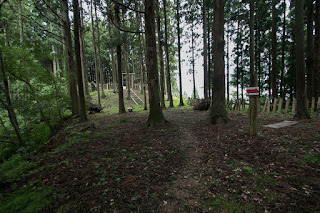 Hachirogata lake was formerly the second largest lake of Japan which is about 20 kilometer long and 10 kilometer wide, but most part of the lake disappeared by land reclamation in 1960’s. 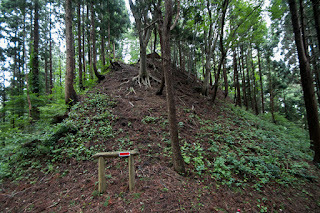 Castle site is at the middle of current Akita city and Noshiro city, and as huge lake existed only narrow lakeside road passed just beside castle area was an important communication route united both areas. 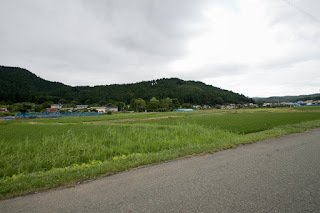 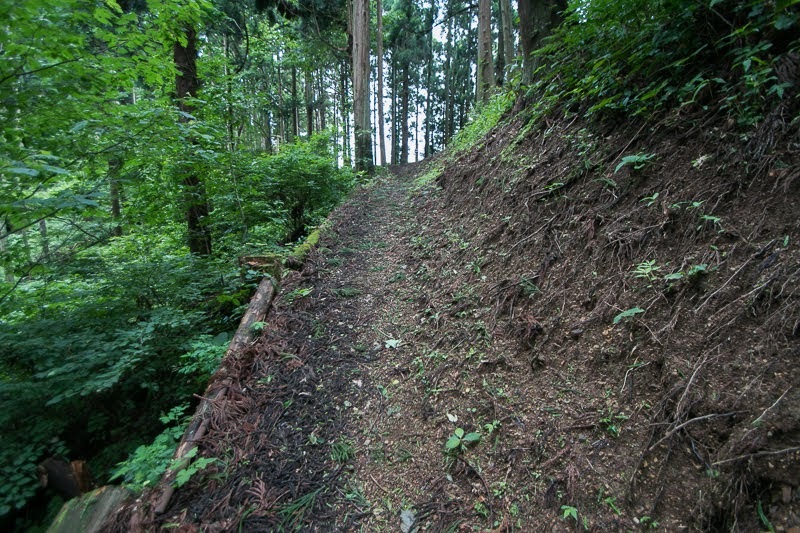 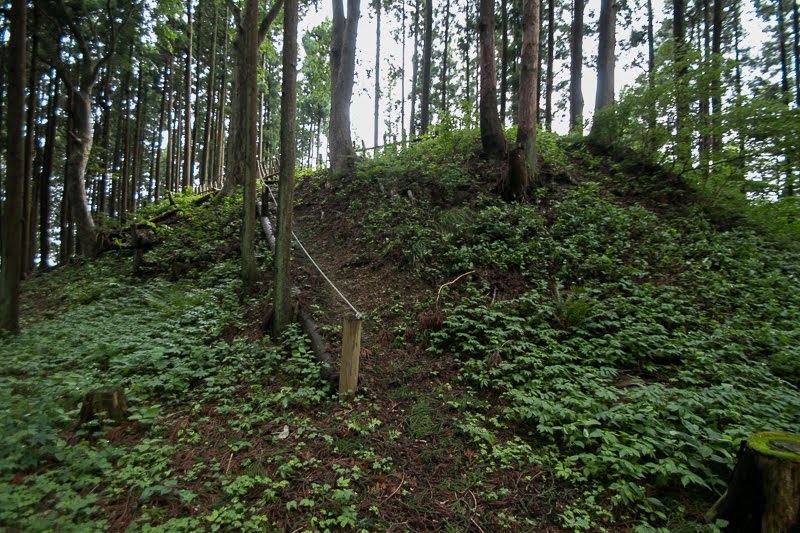 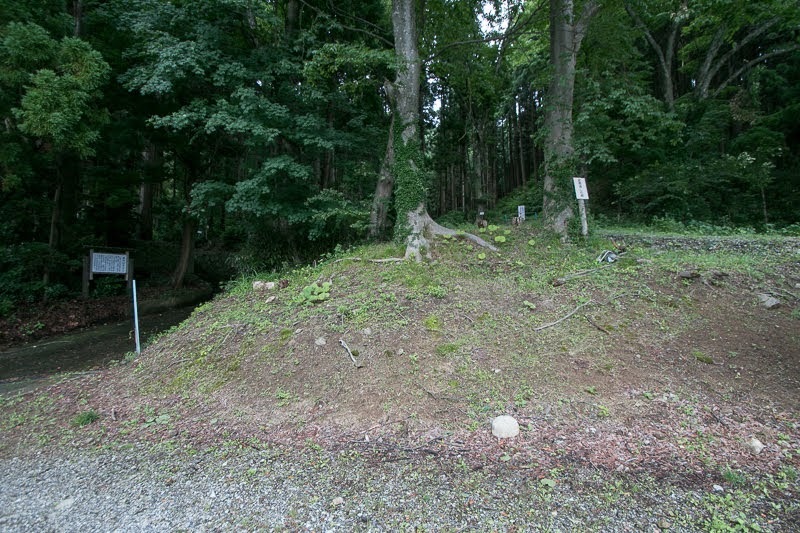 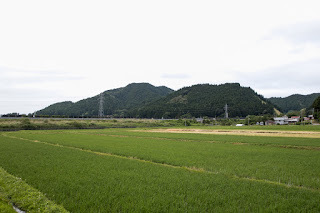 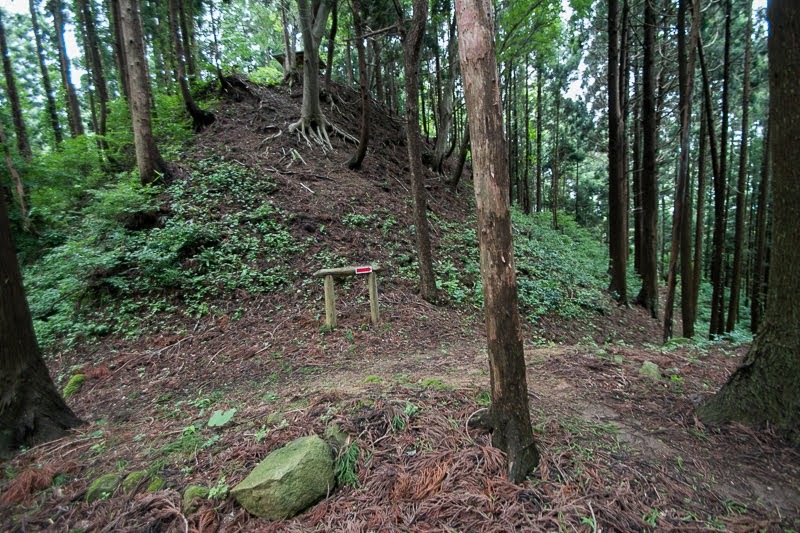 In addition to this, castle site is also a diverging point of eastward road, which passed Ani area then arrived at inland Kitaakita or Odate area. 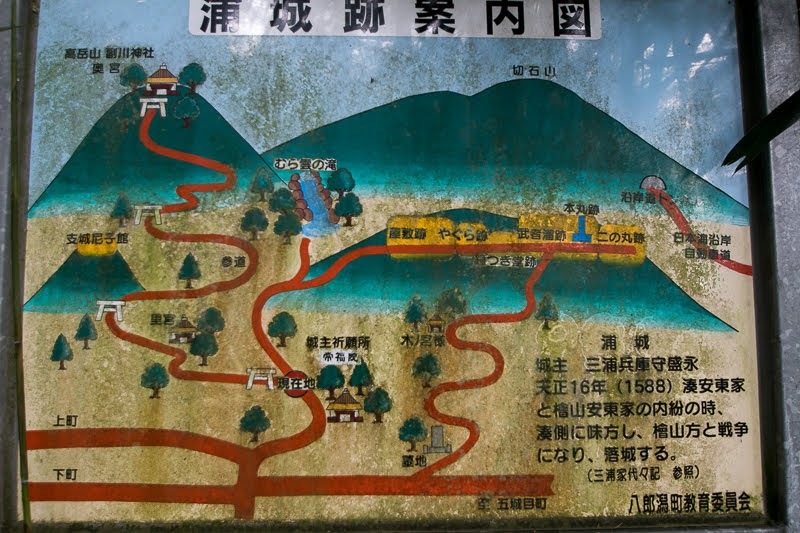 Adding lake shipping, this area was a connecting point of local transportations. 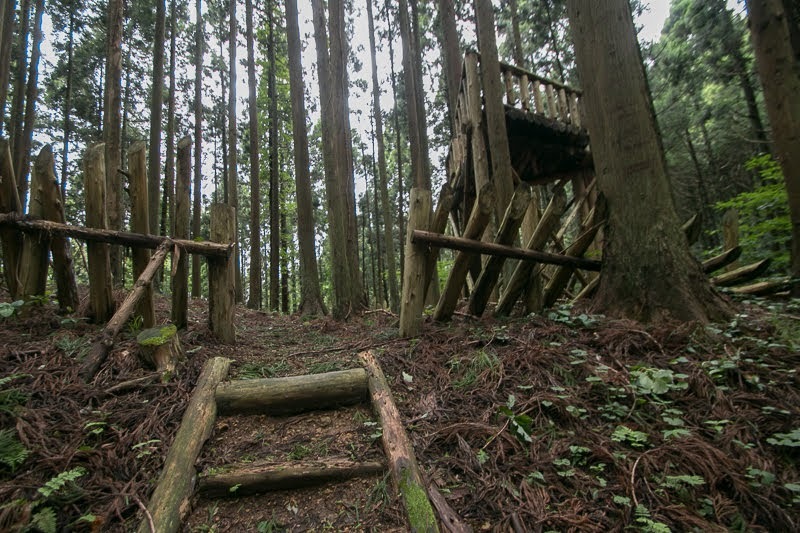 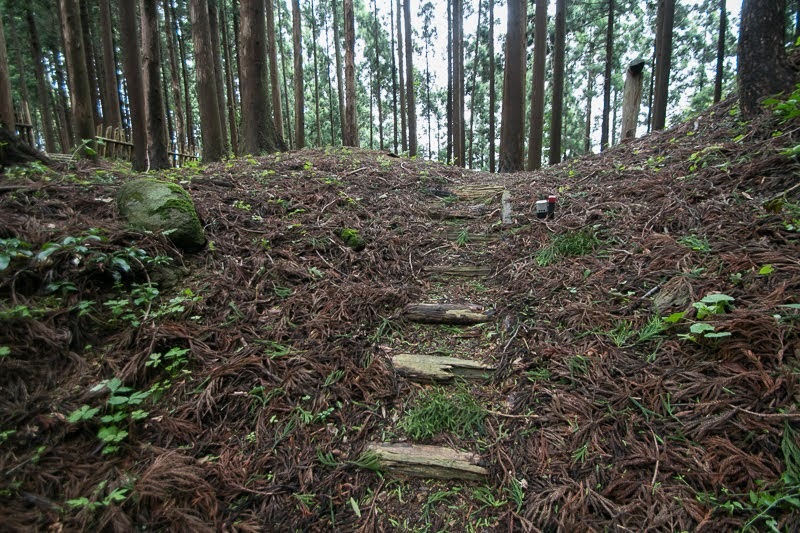 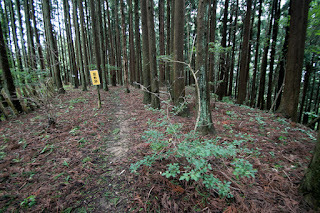 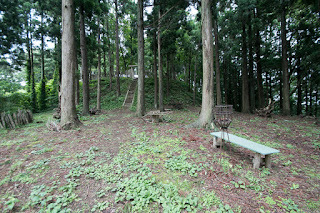 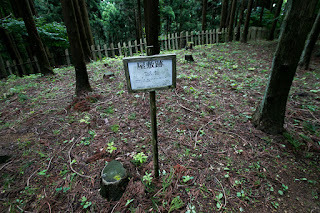 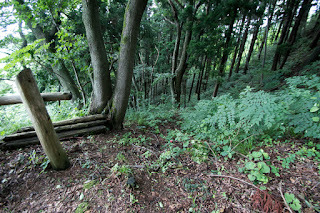 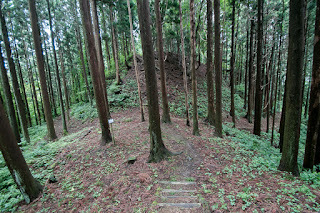 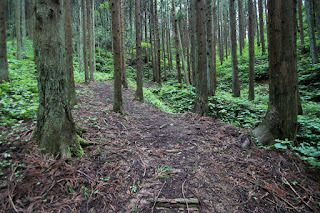 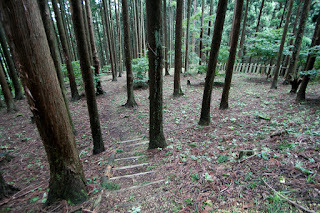 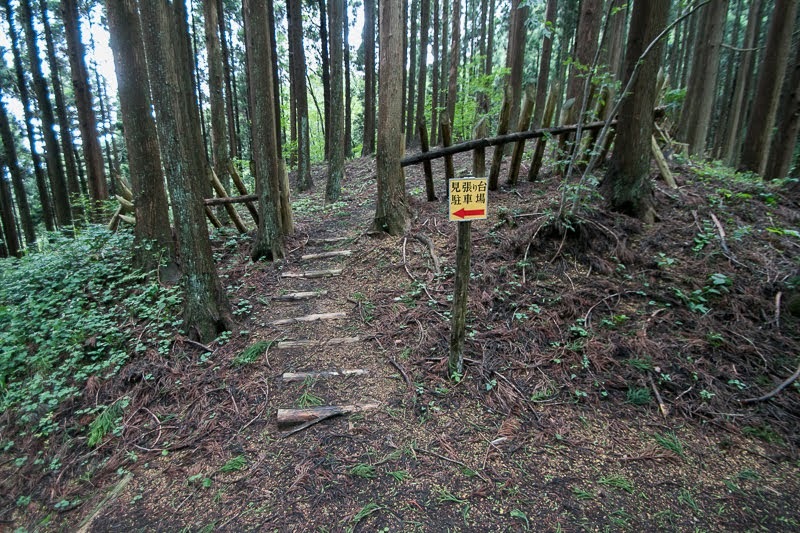 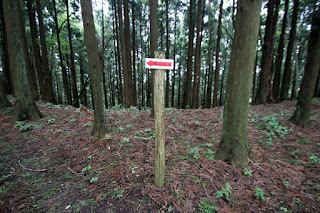 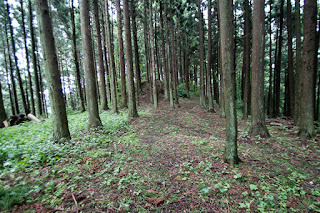 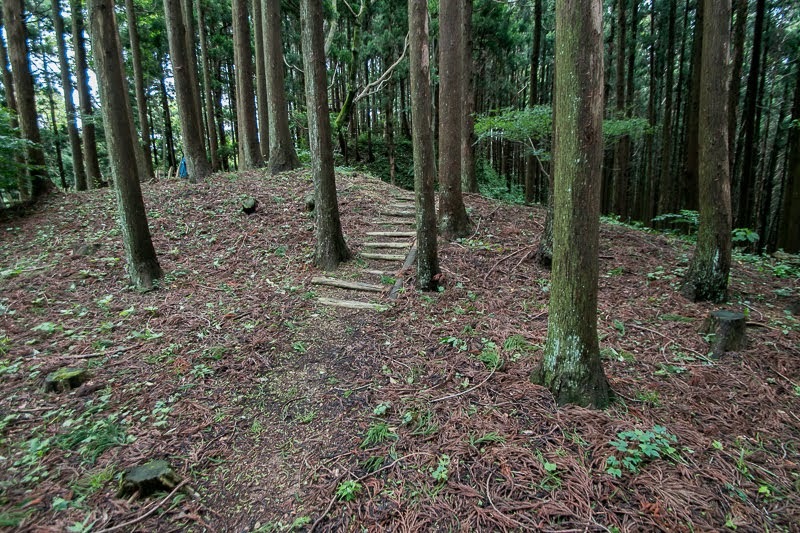 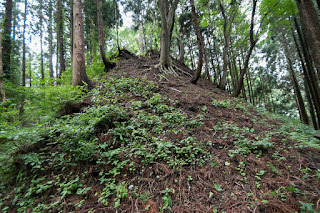 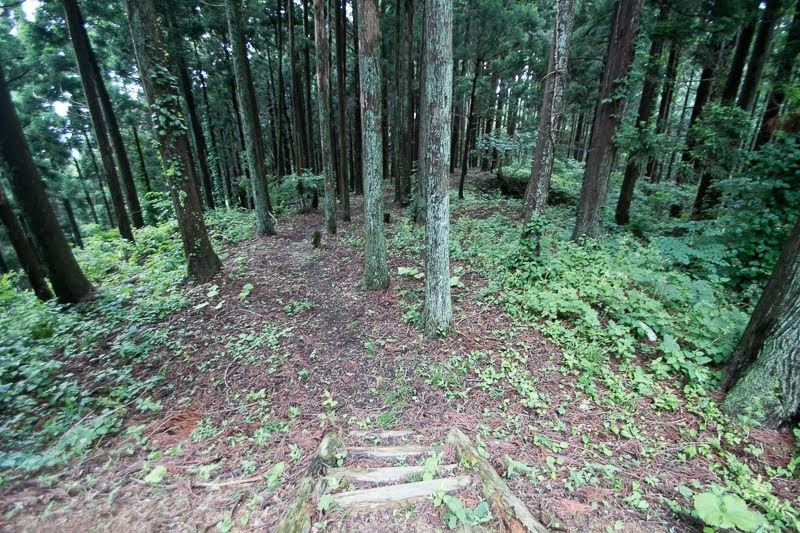 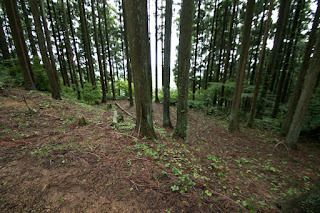 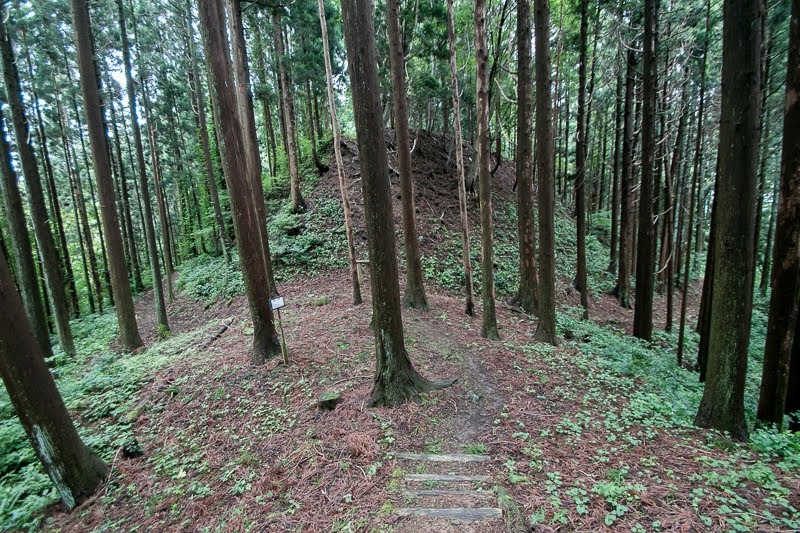 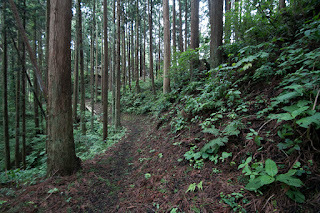 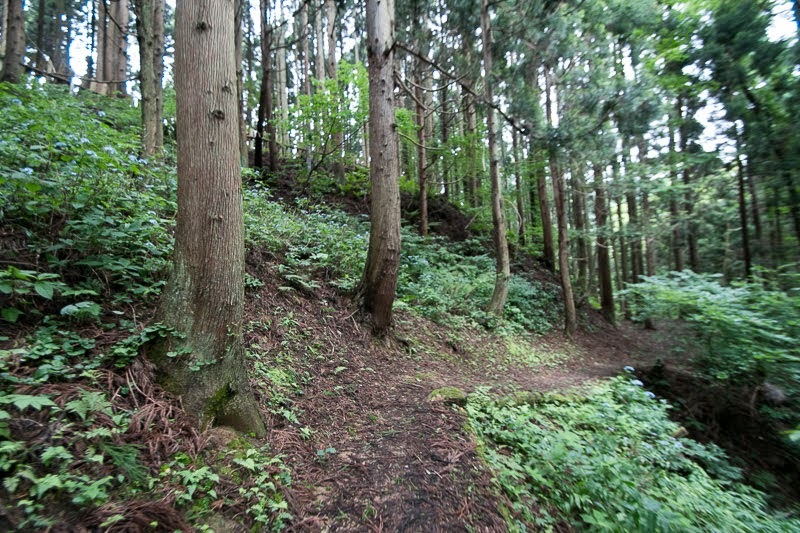 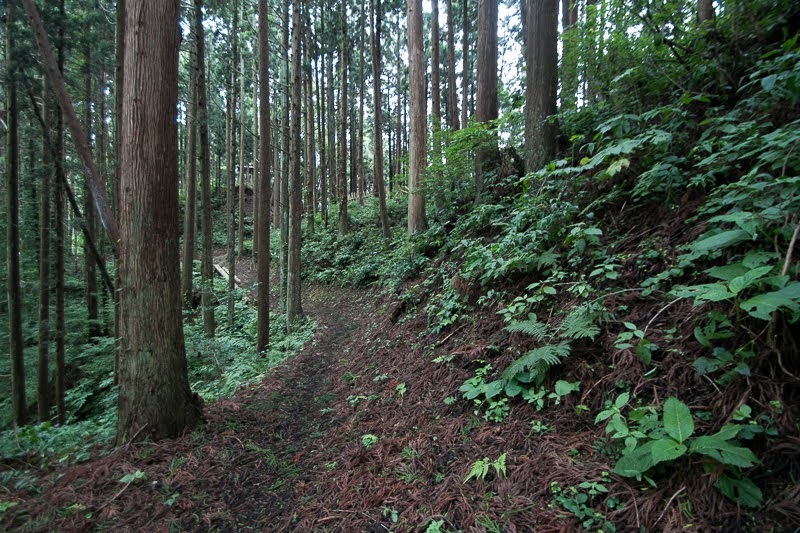 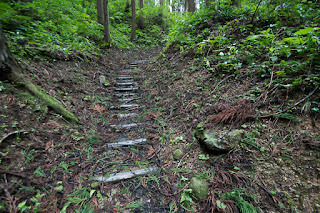 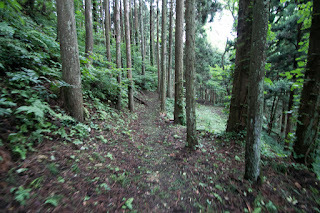 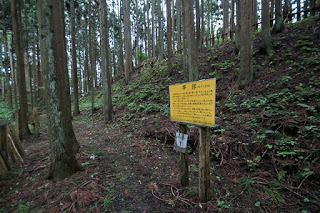 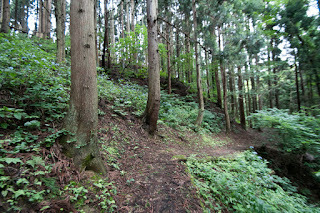 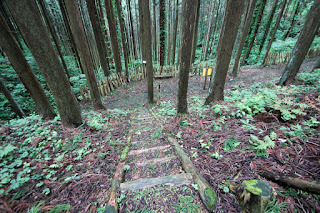 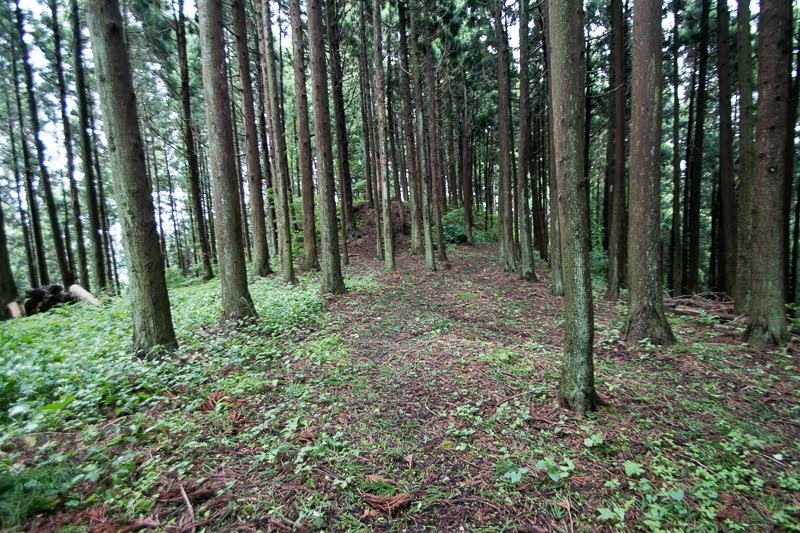 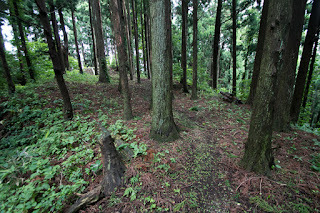 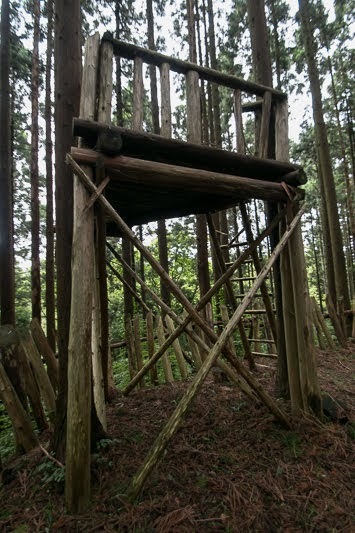 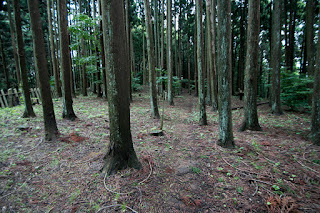 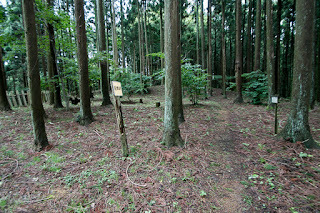 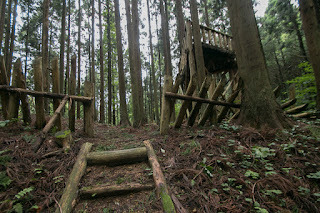 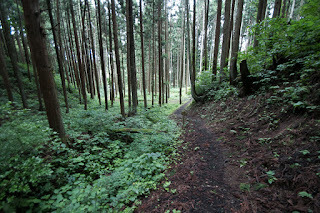 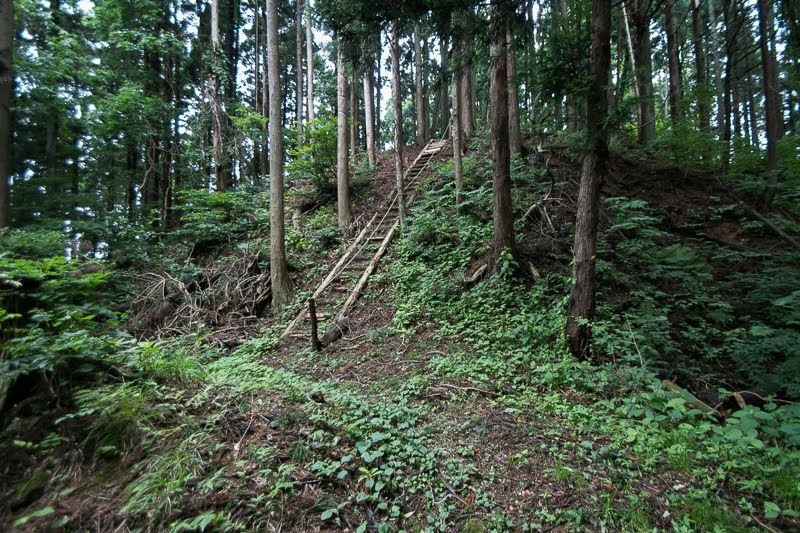 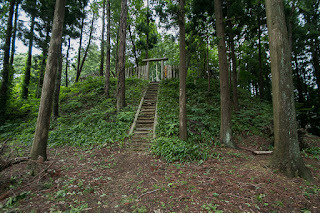 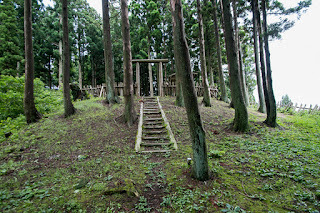 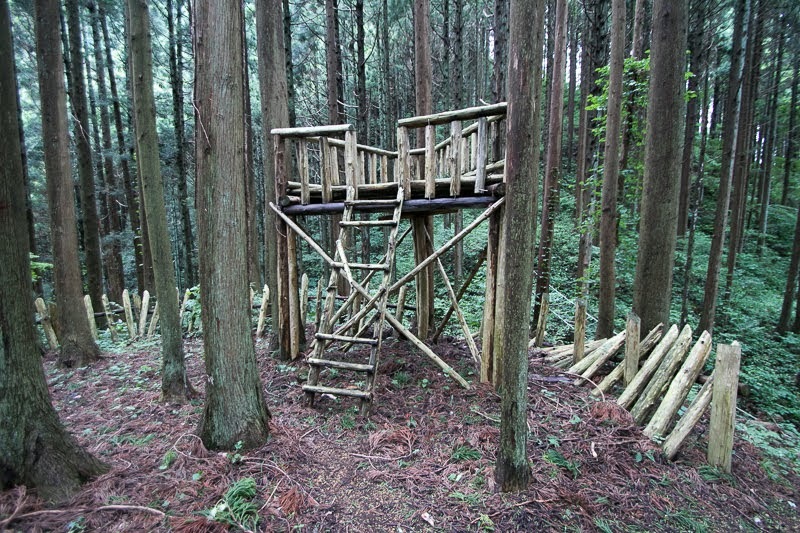 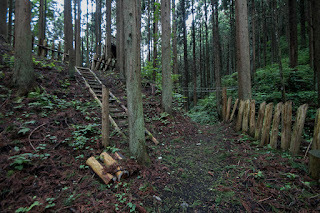 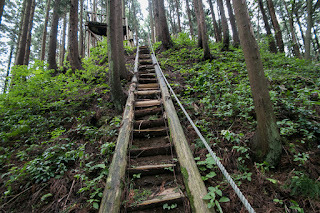 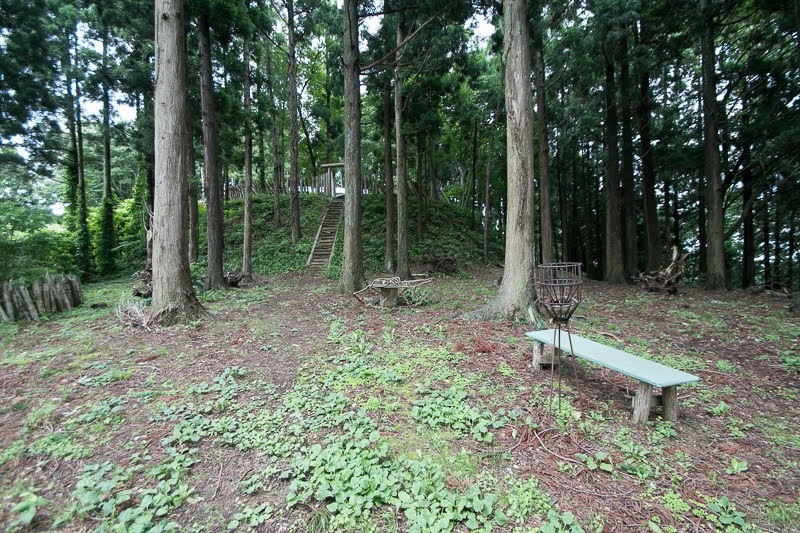 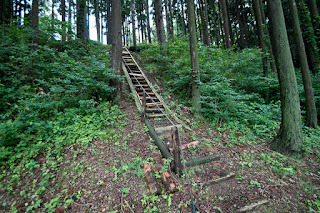 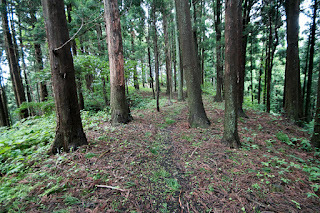 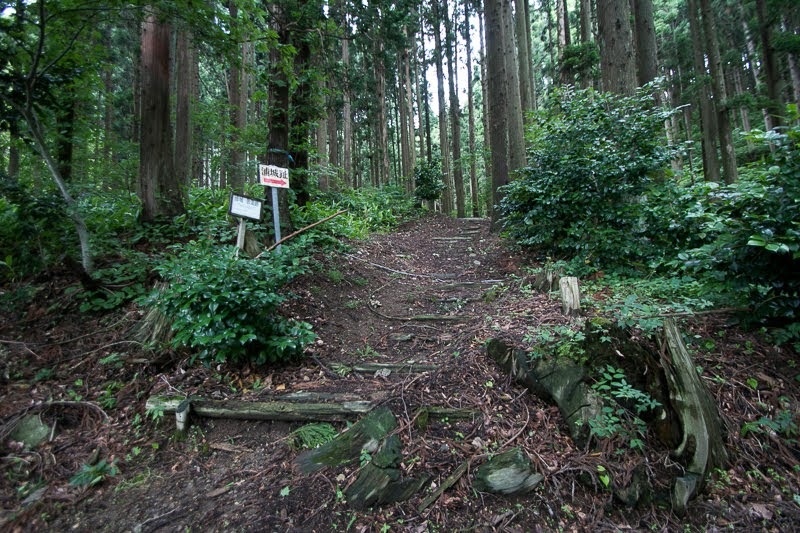 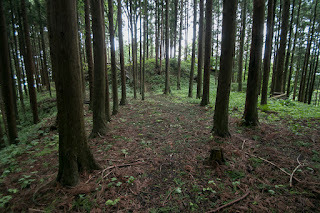 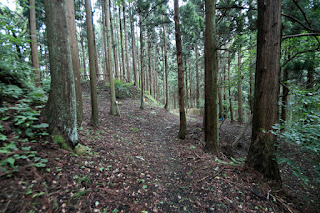 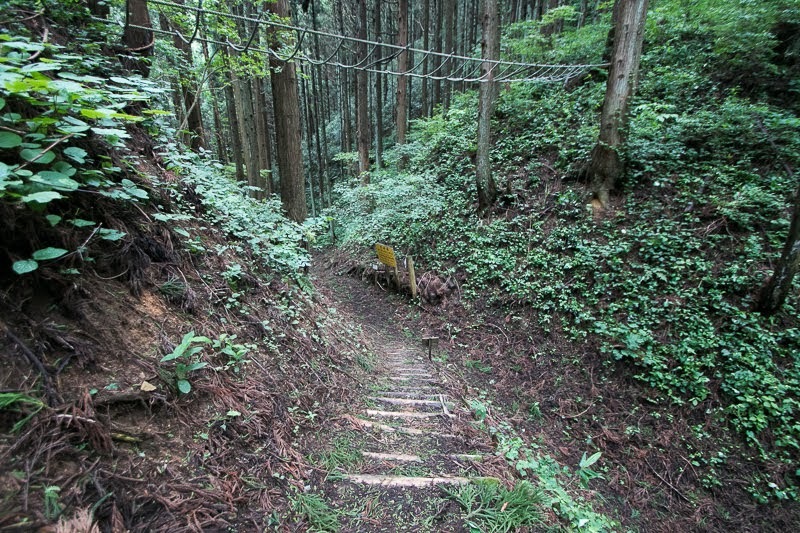 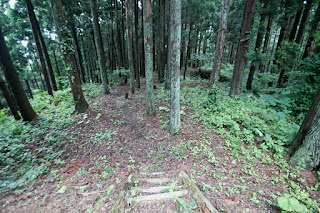 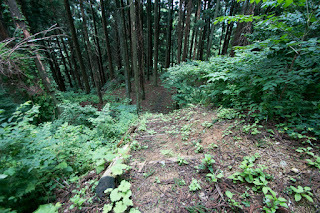 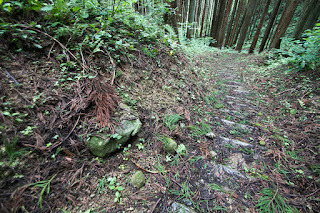 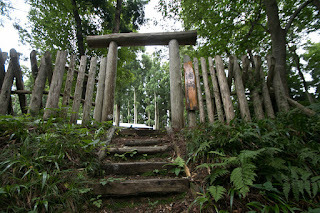 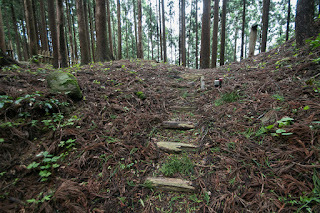 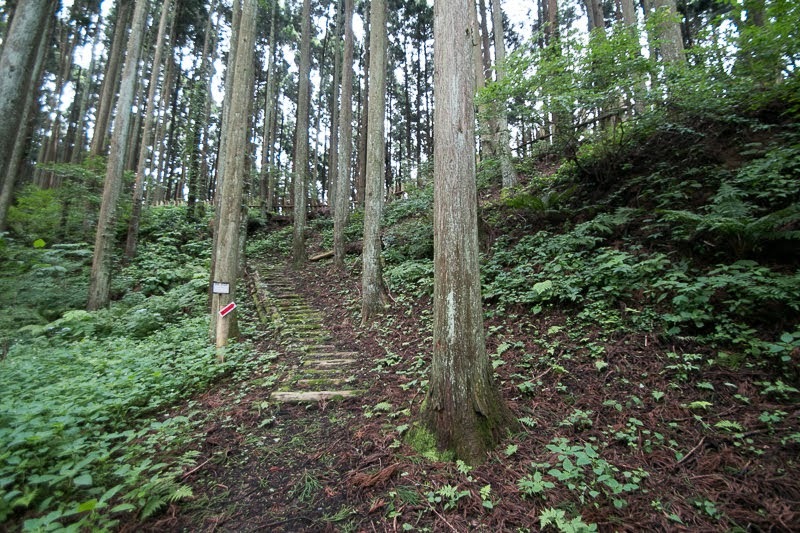 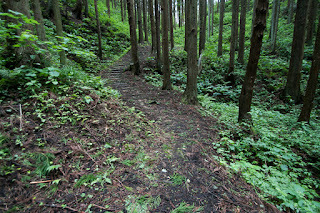 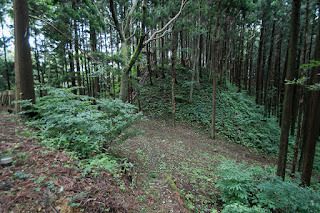 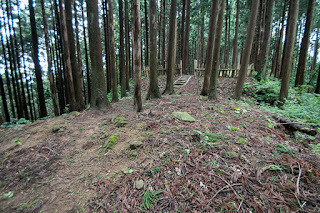 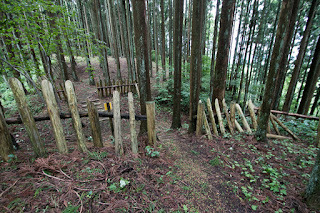 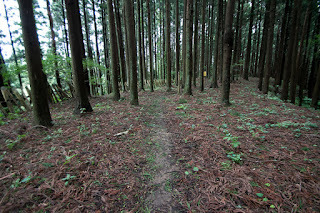 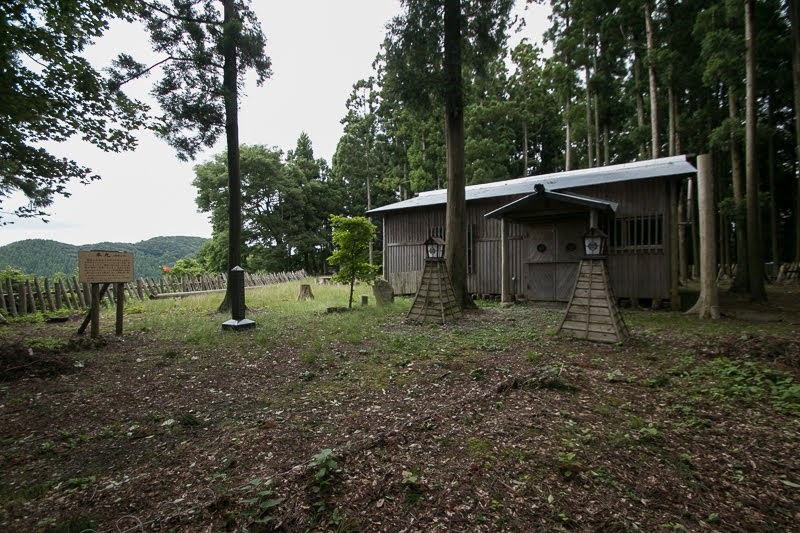 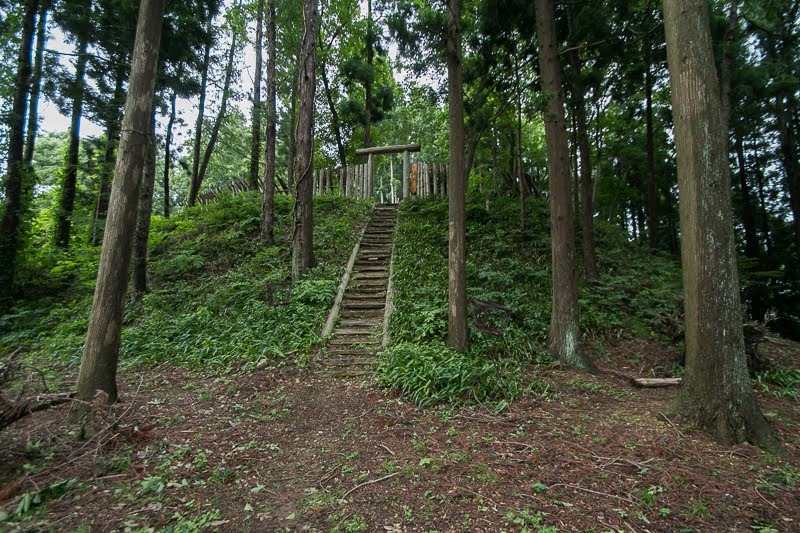 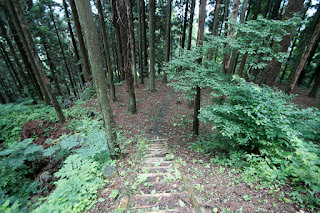 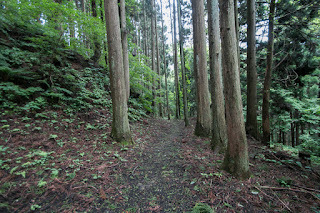 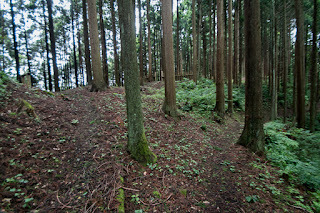 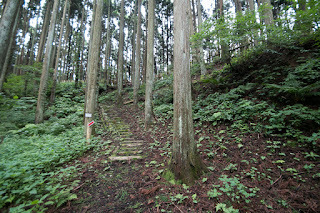 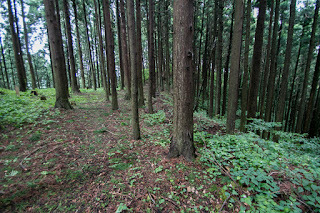 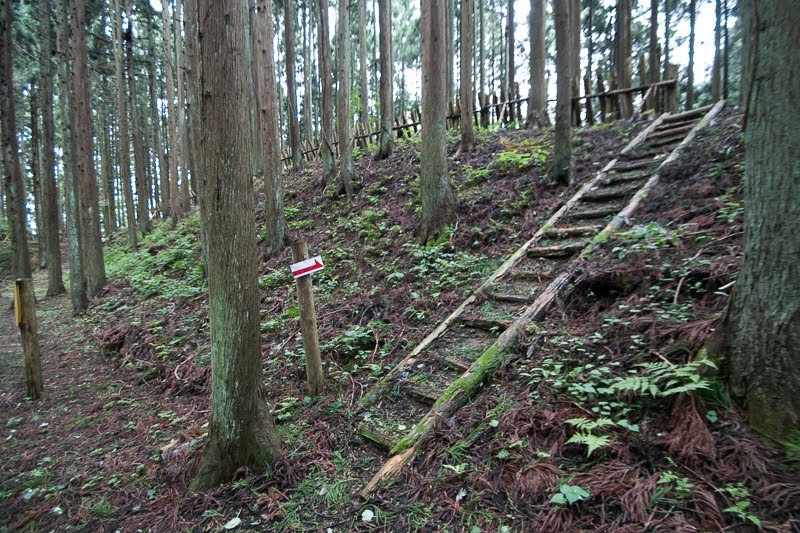 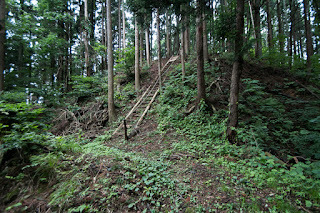 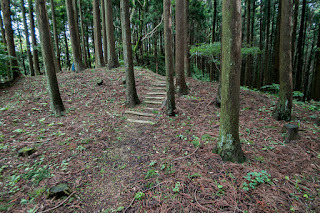 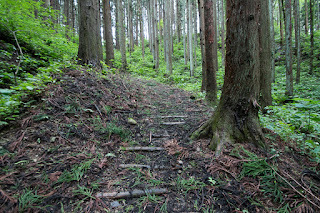 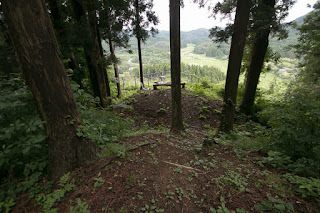 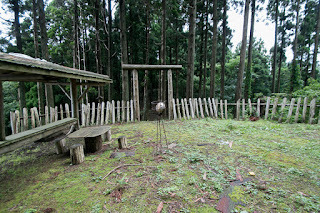 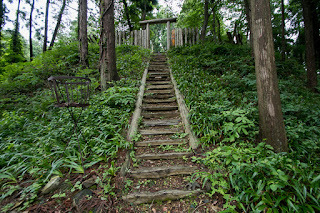 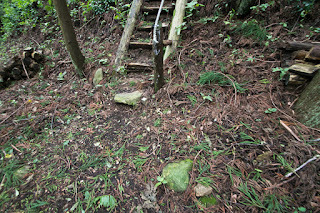 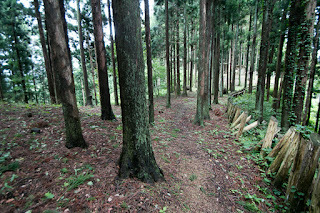 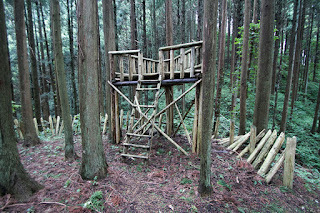 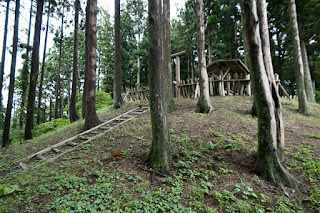 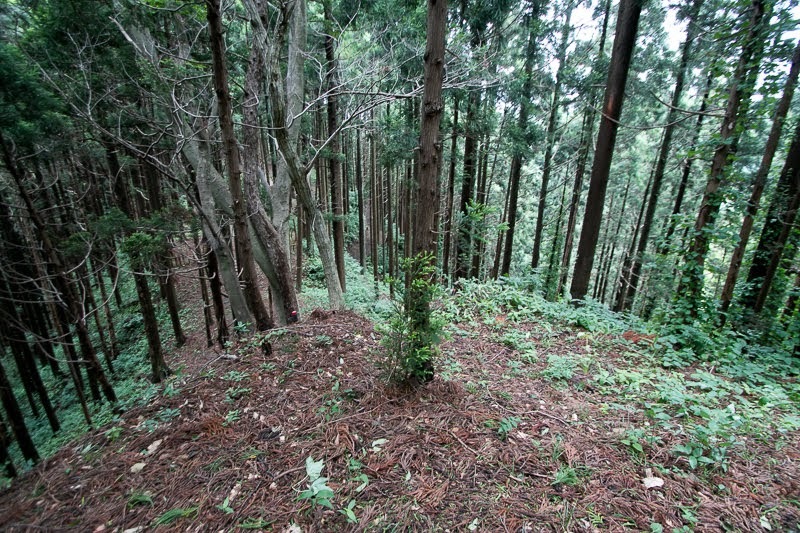 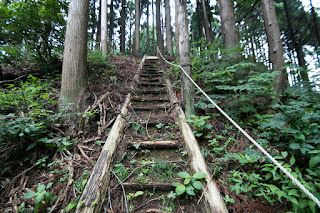 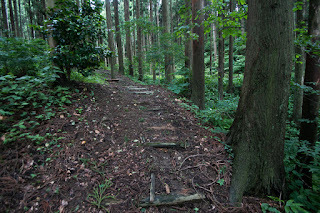 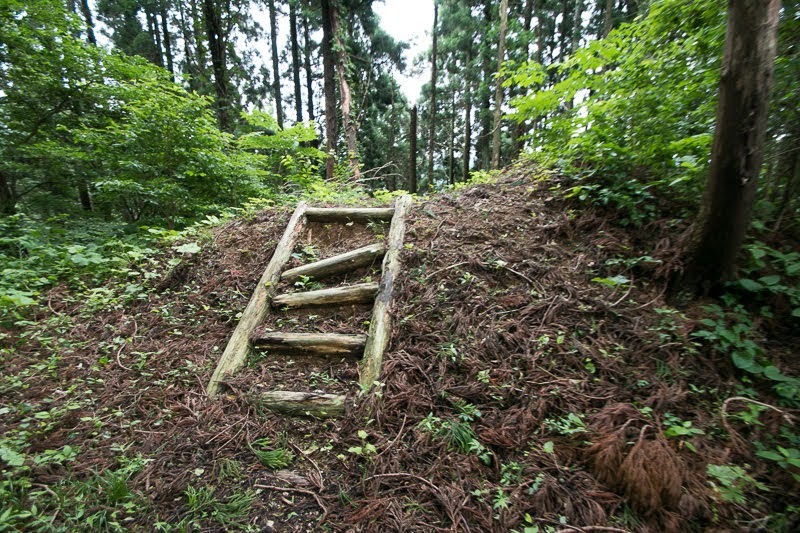 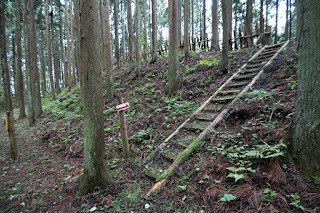 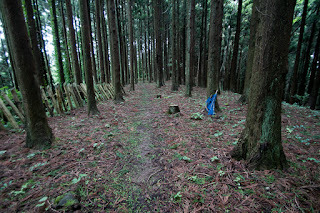 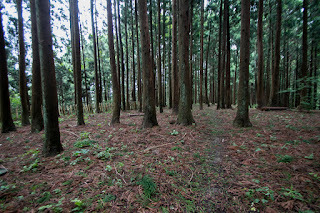 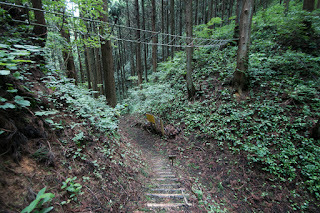 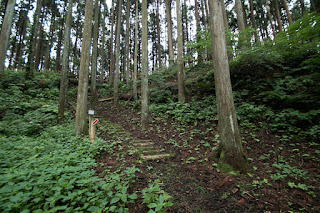 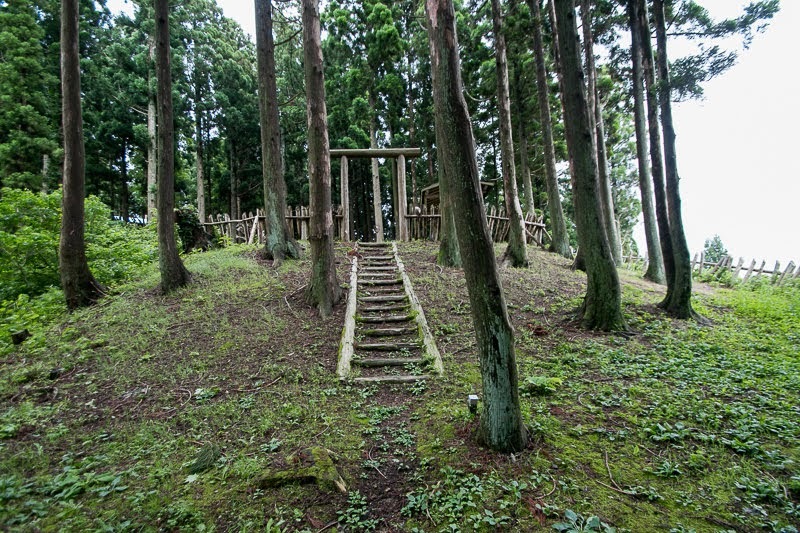 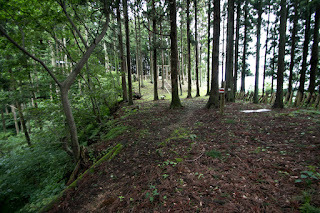 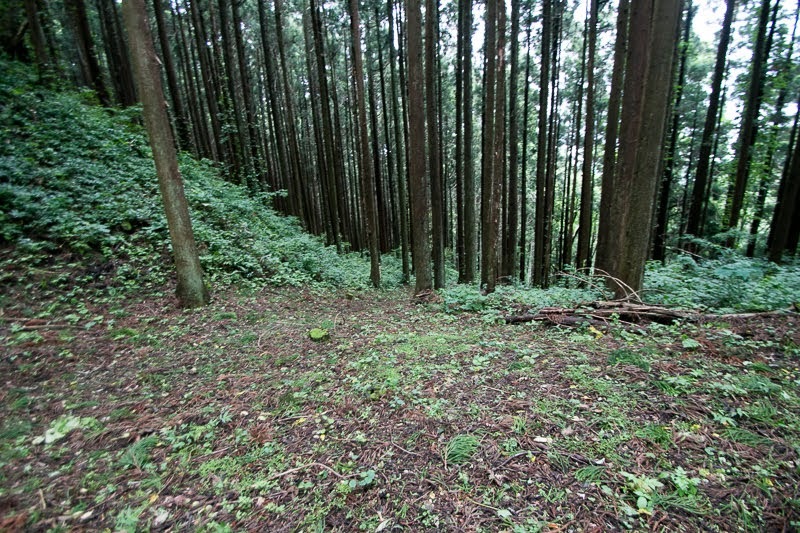 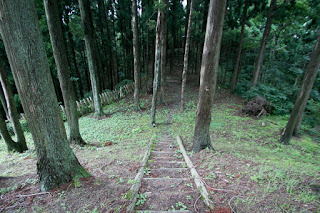 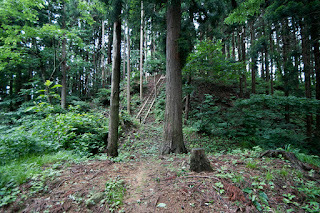 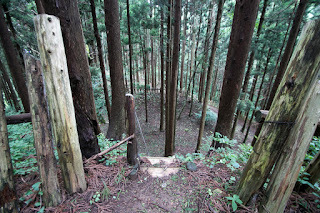 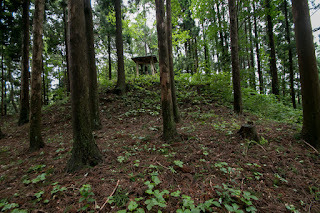 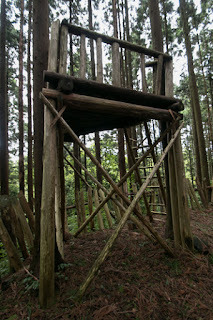 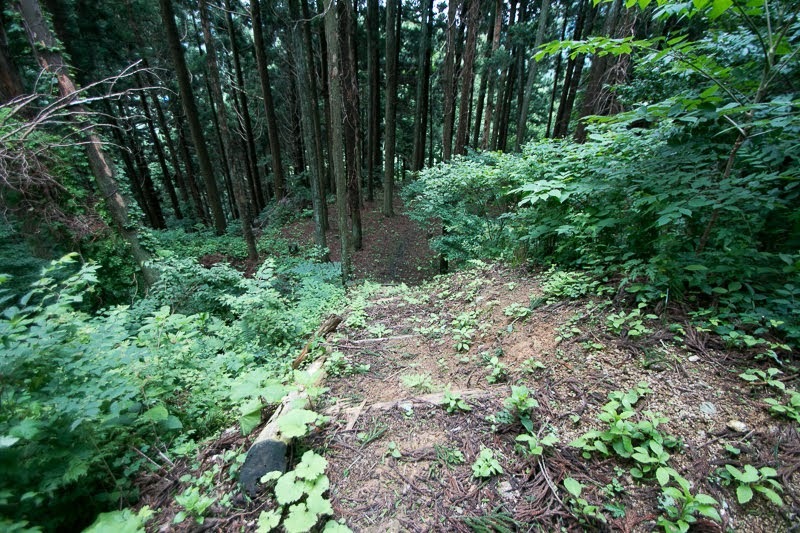 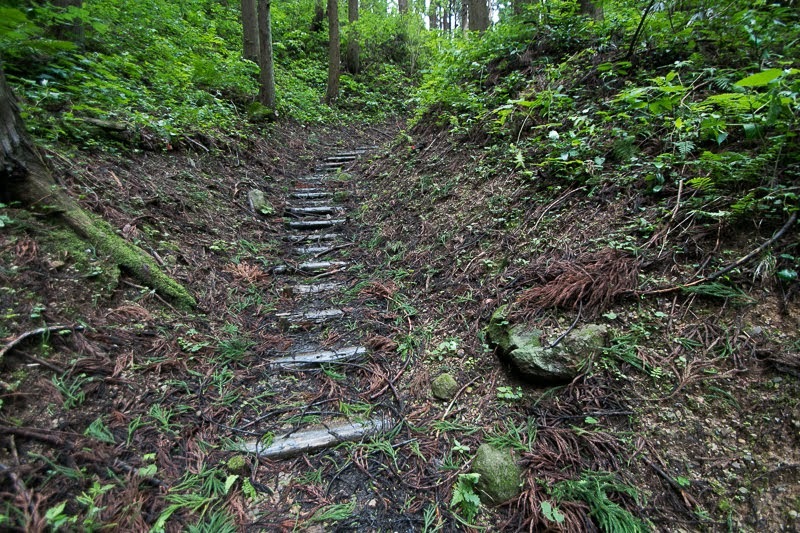 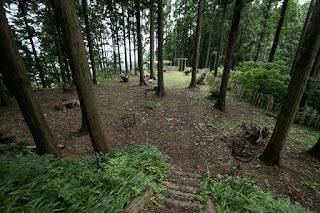 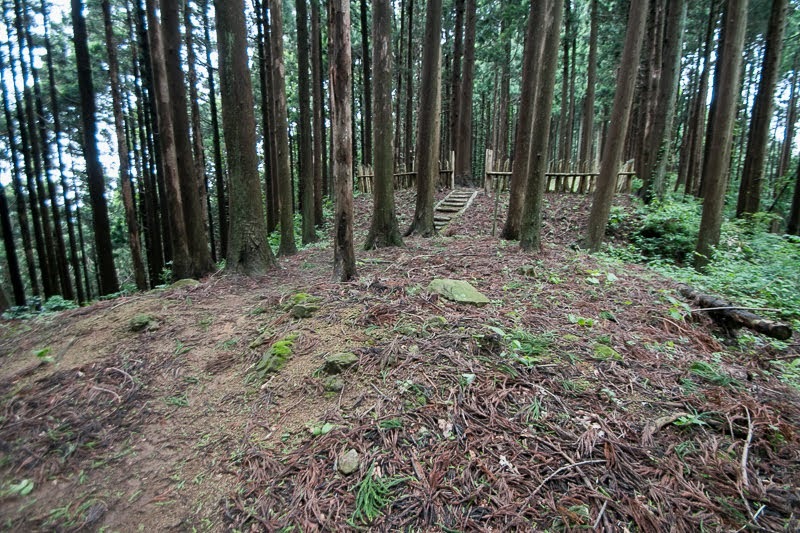 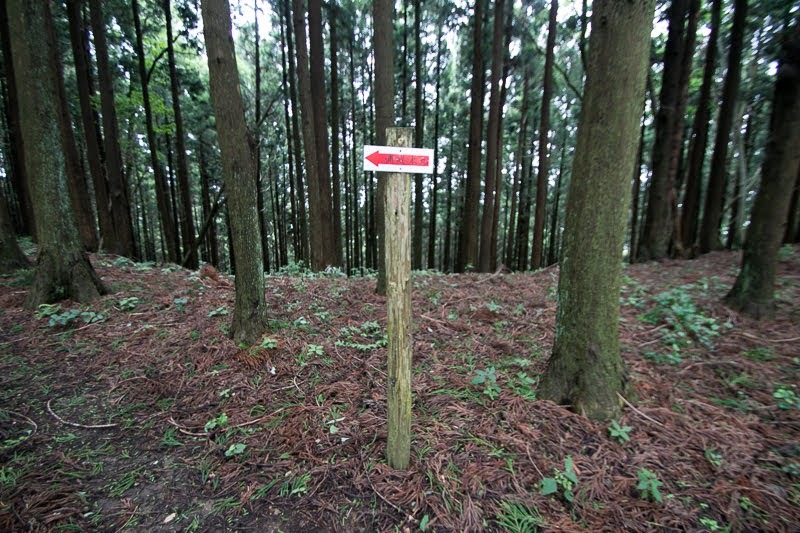 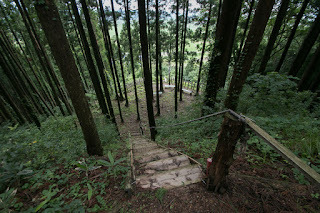 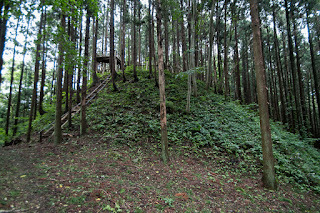 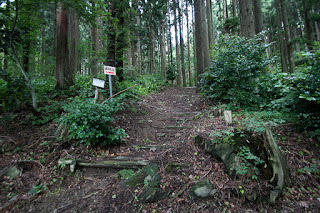 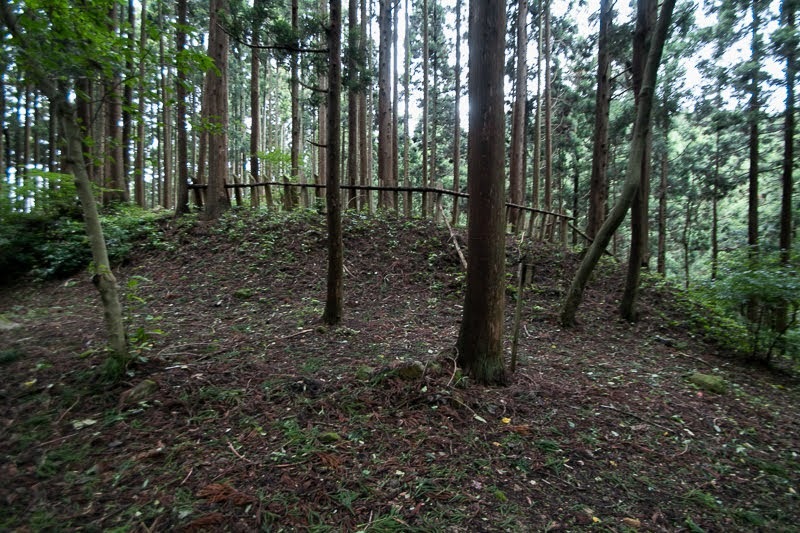 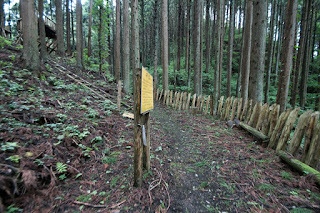 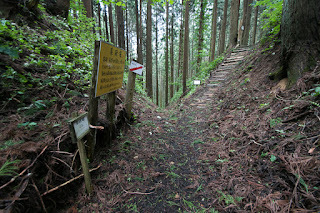 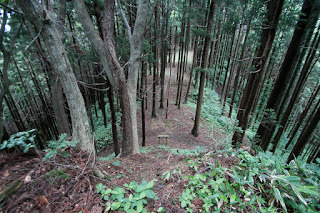 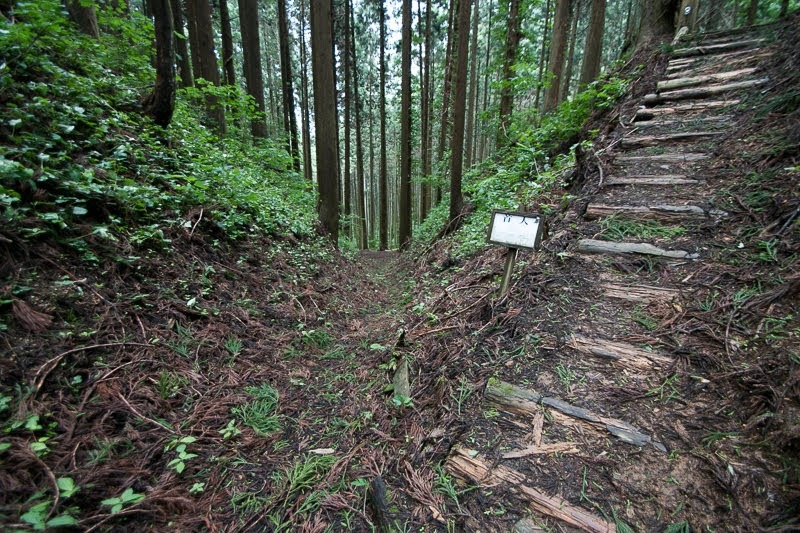 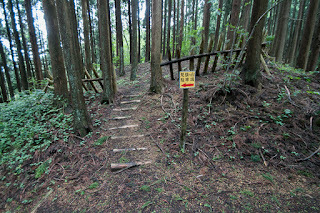 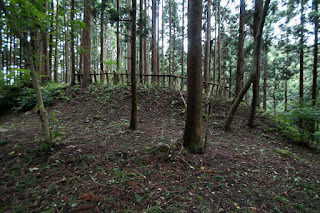 Origin of Ura castle is not clear but it might be built by local lord Miura clan. 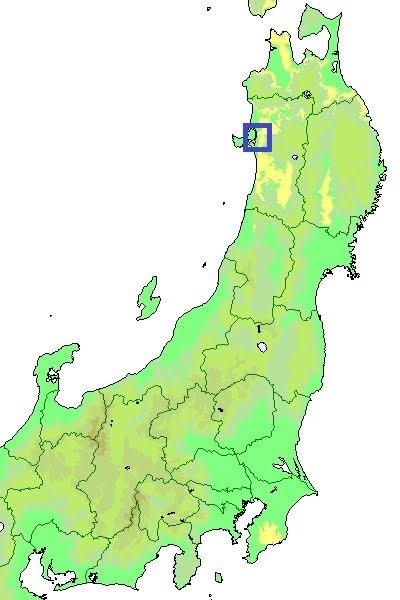 Miura clan was originally a descendant of Taira clan and held territories around current Kanagawa prefecture and Chiba prefecture. At the rise of Yoritomo Minamoto (1147-1199), Miura clan joined from its start and lost its leader but contributed to the foundation of Kamakura Shogunate by Yoritomo. 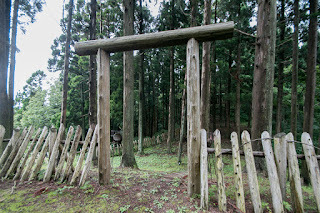 Because of their contribution Miura clan had authority at the first stage of Kamakura Shogunate, but facing the plot of Hojo clan which was a wife’s home of Yoritomo, Miura clan and its branch family Wada clan were ruined in the former half of 13th century separately. Distant relative survived these crisis continued as a local lord of Miura peninsula to the beginning of 16th century, but was finally ruined by Soun Hojo (1432-1519) in 1513. 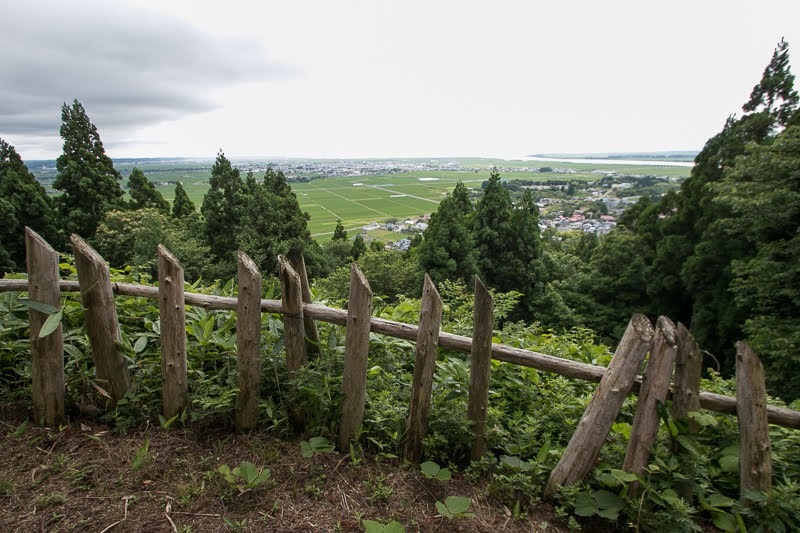 Facing these crisises, people of Miura clan spread to various area of eastern Japan and became the origin of local lords such as Ashina clan or Sakuma clan. 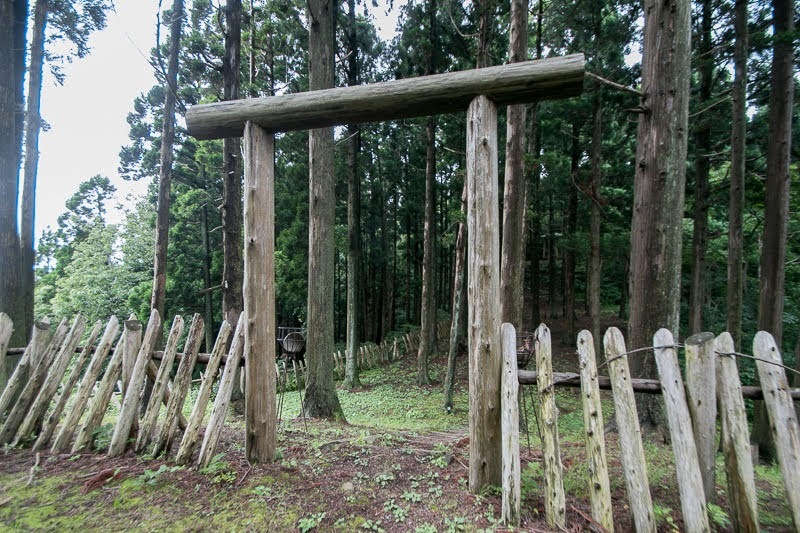 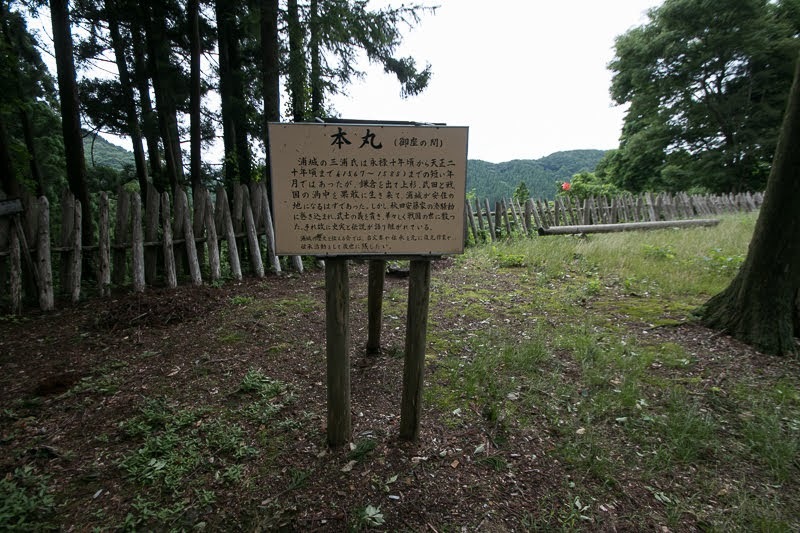 It is not clear how Miura clan moved to distant area of Ugo province (Akita prefecture) but is said to use the relationship of Takeda clan of Kai province (Yamanashi prefecture) or Uesugi clan of Echigo province (Niigata prefecture). 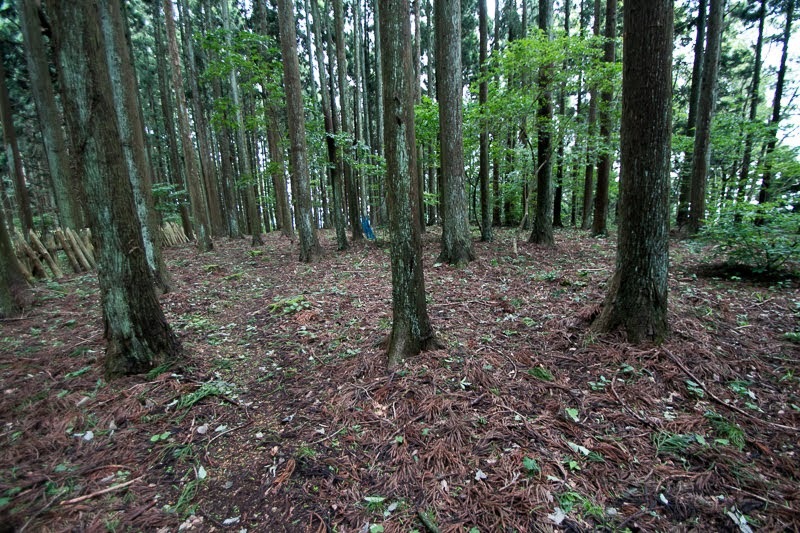 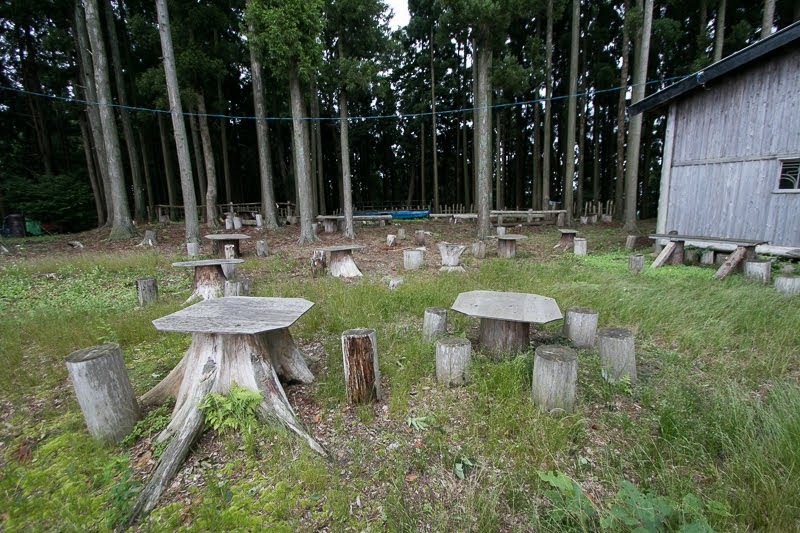 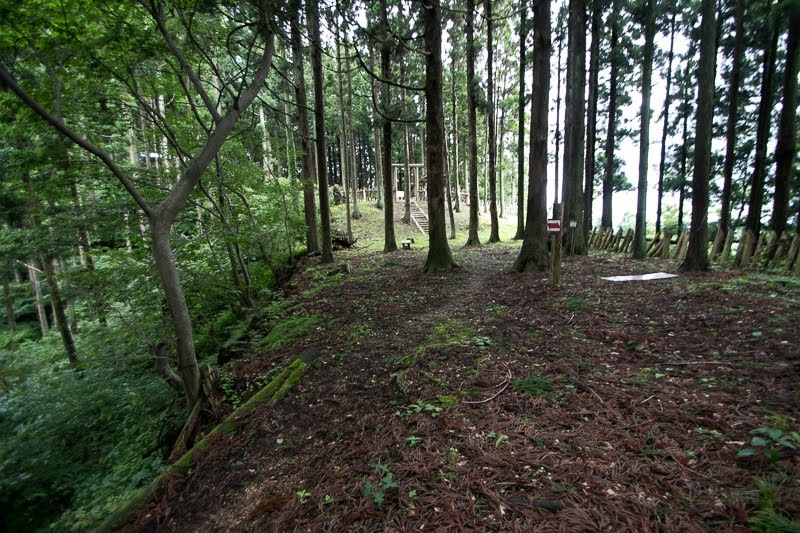 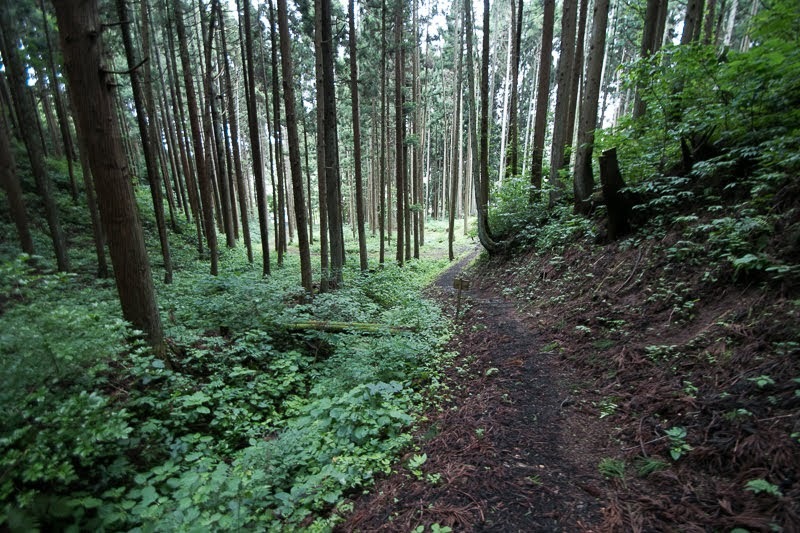 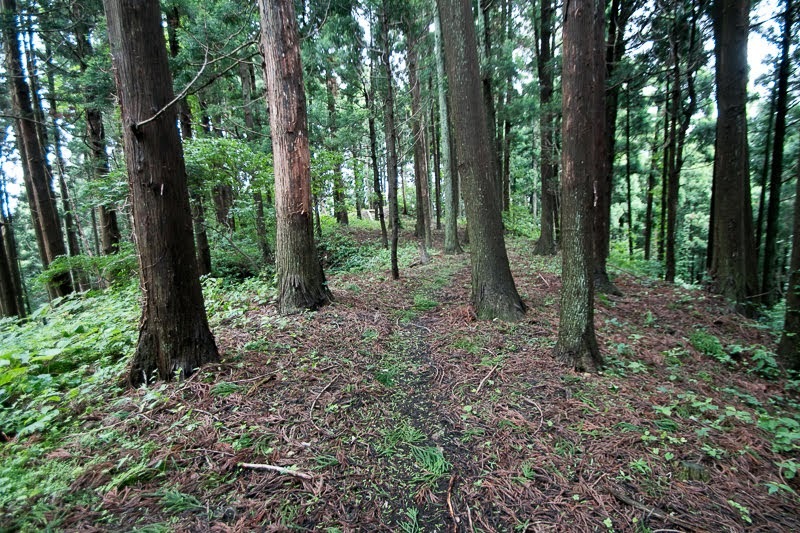 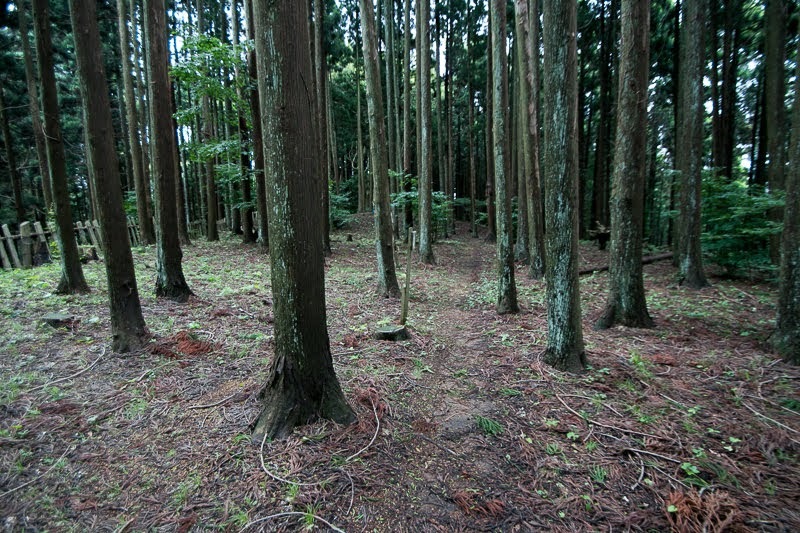 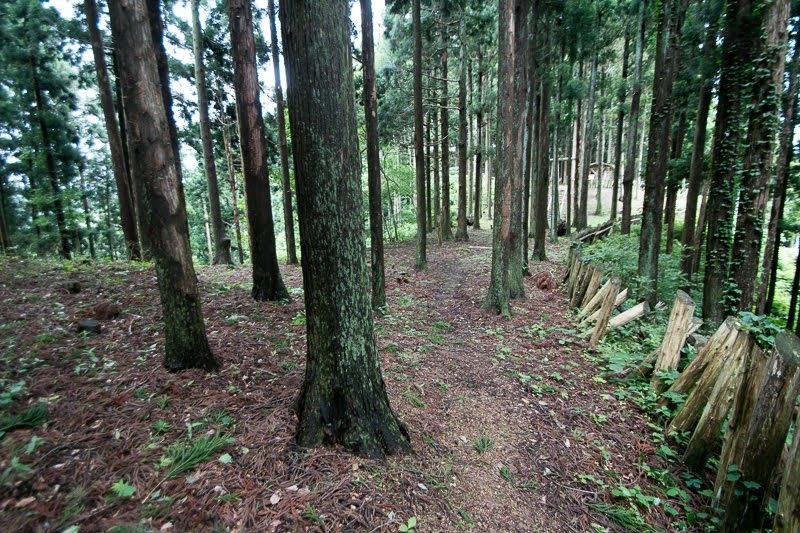 Anyway people of Miura clan moved to the side of Hachirogata lake and became the local lord of the area. 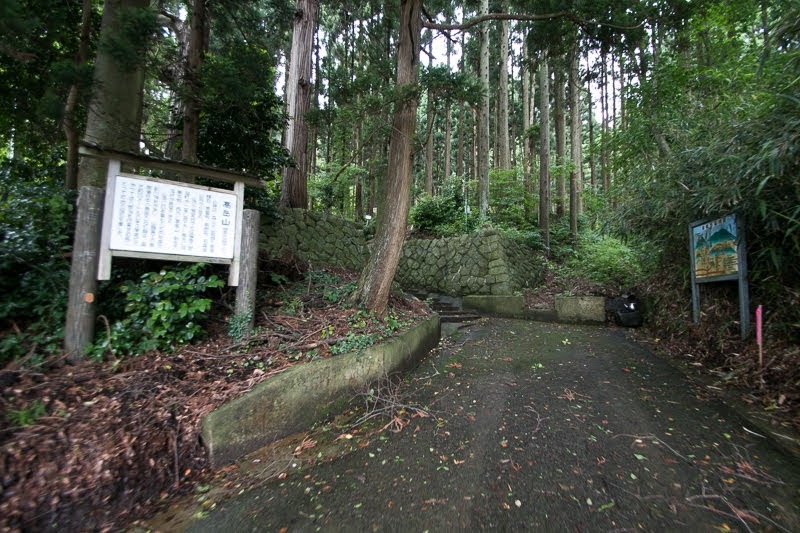 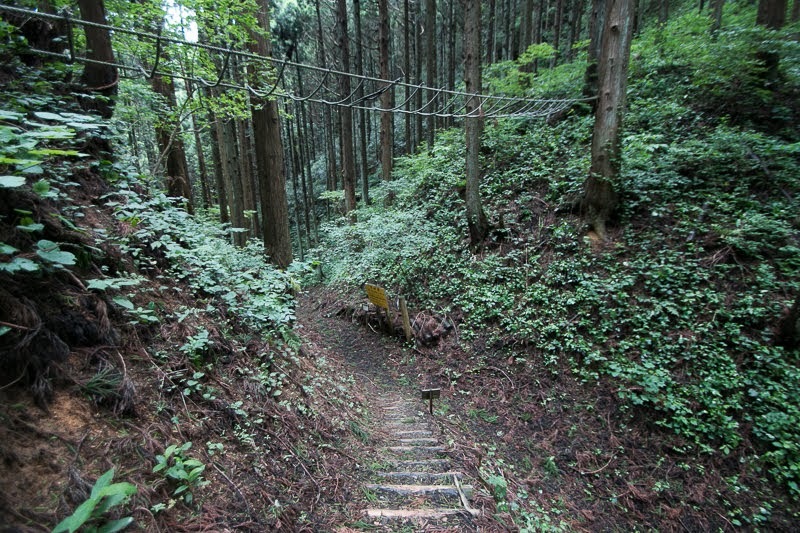 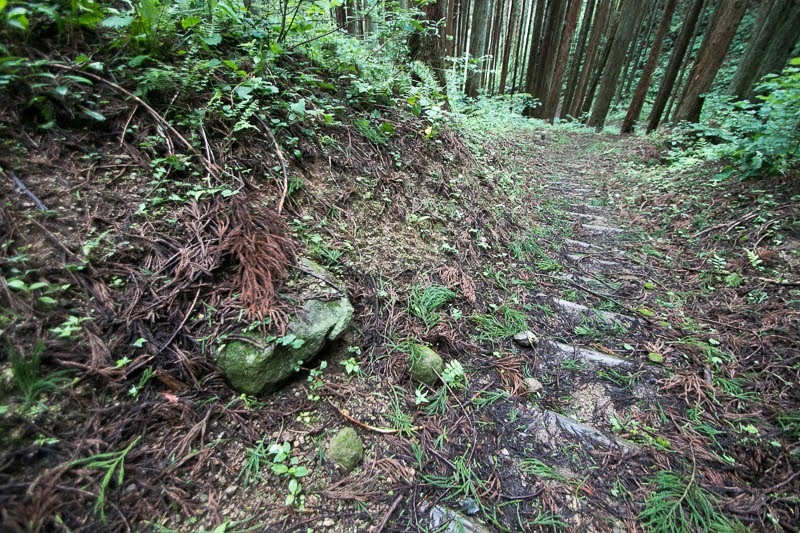 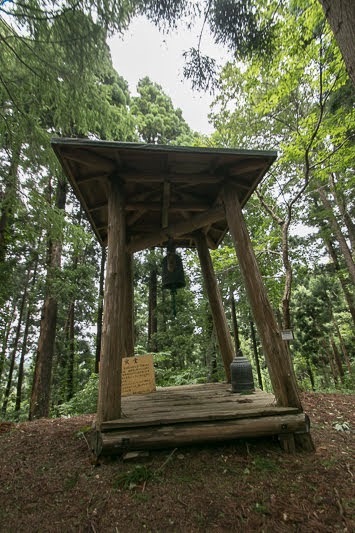 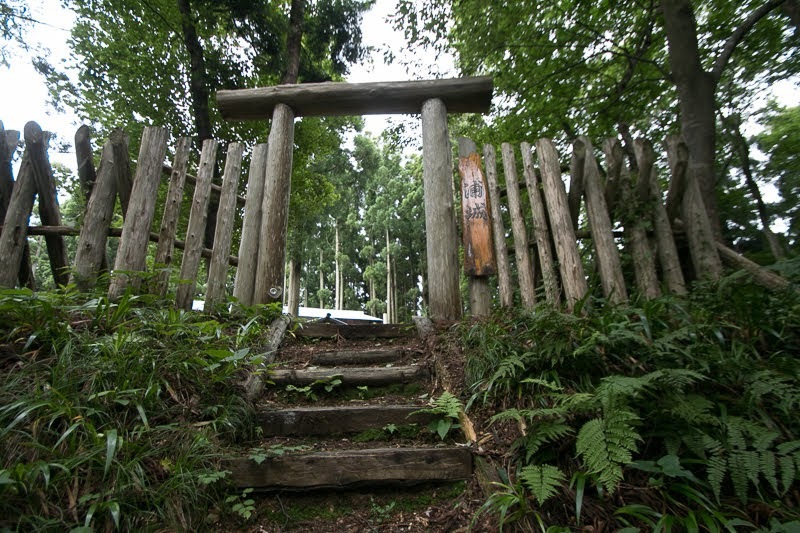 Utilizing the condition of the center of communication, Miura clan prospered as the lord of Hachiro-gata area. 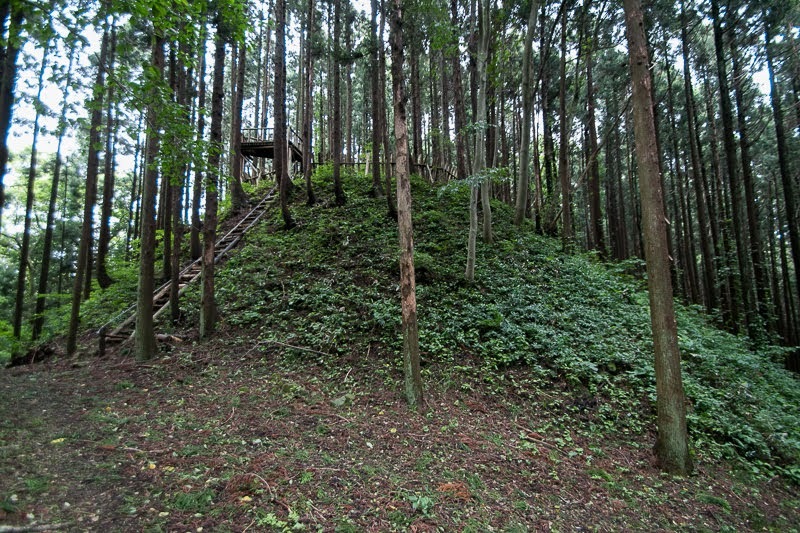 They built Ura castle as a main base of the clan, and also made branch castles surrounding Ura castle. 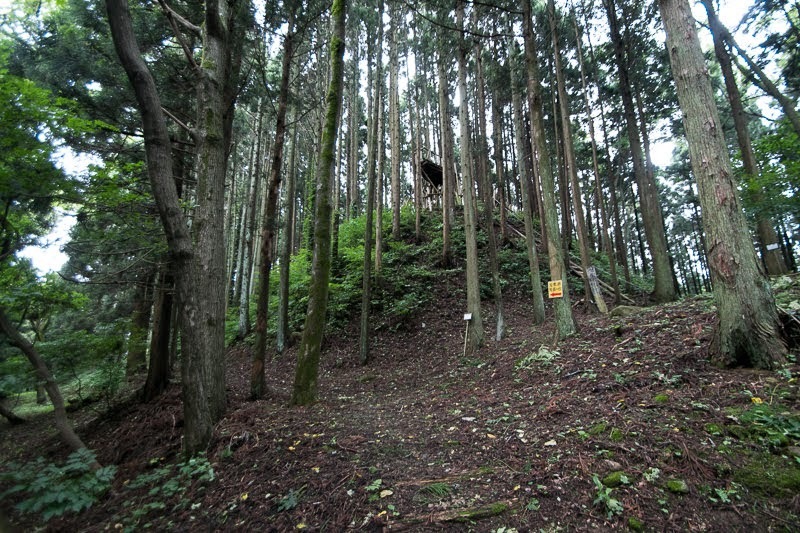 Ura castle is built over a long and narrow ridge of nearly 600 meter long. Looking at a ground view, the line of the ridge slightly curves like a 90 degree rotated S letter. 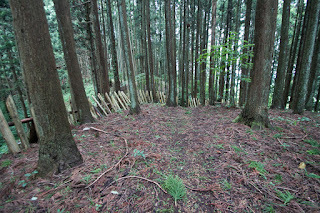 Also looking from side several terraces separated by dry moats are placed over flat basement, and it is also looks like waves on water surface. 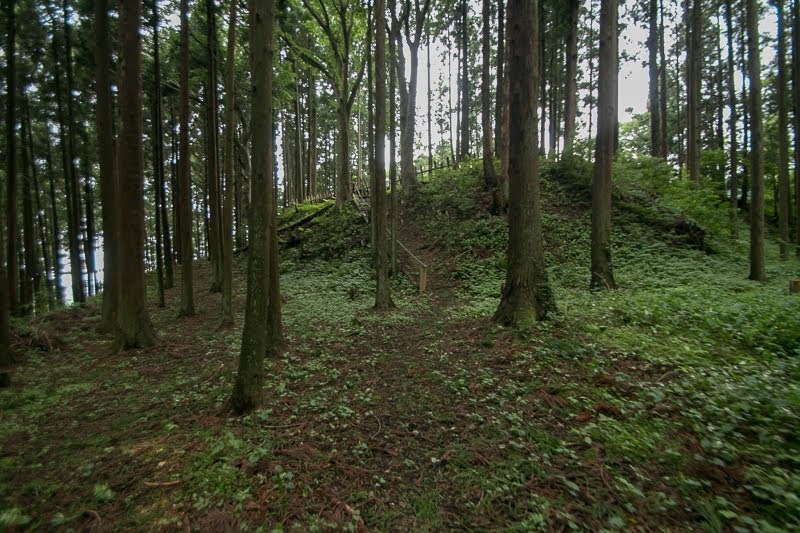 Central area of the castle is an oblong shaped area of about 60 meter long and 30 meter wide, which has a main gate at its western side. 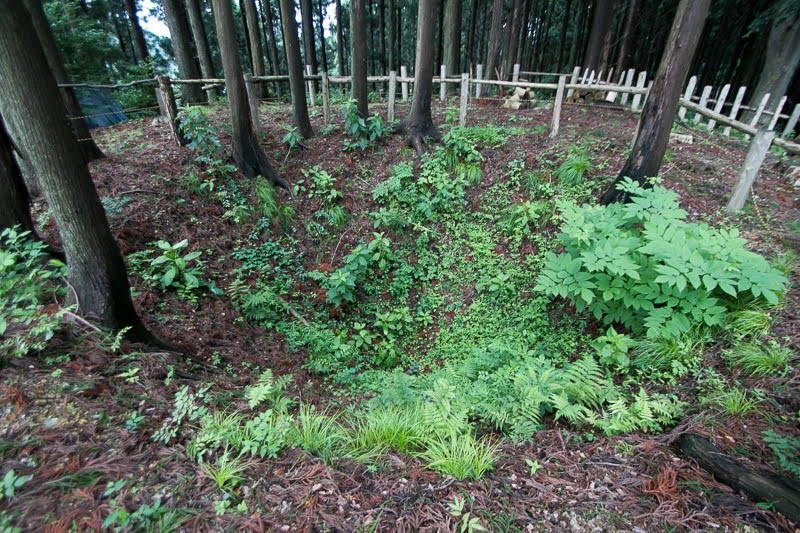 Huge hole of about 5 meter diameter which was a ruin of a well exists at this area. 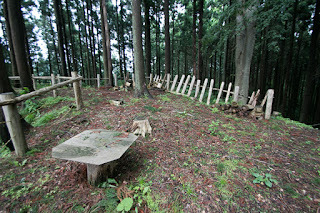 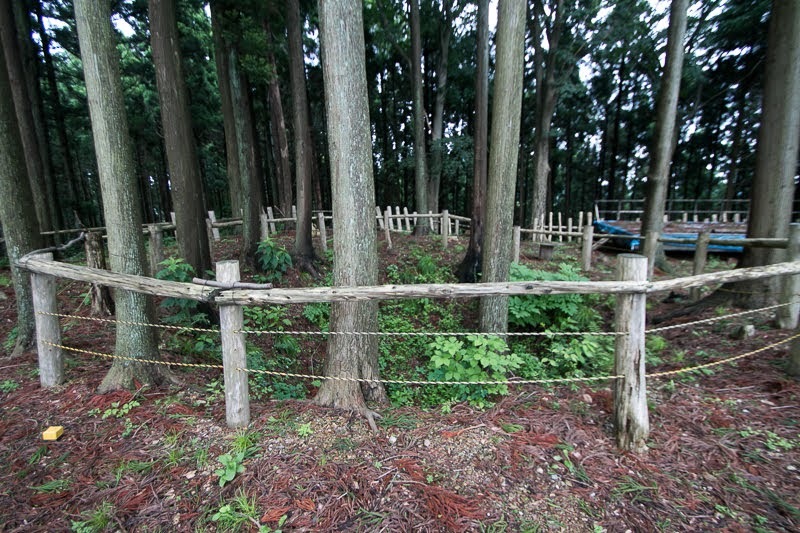 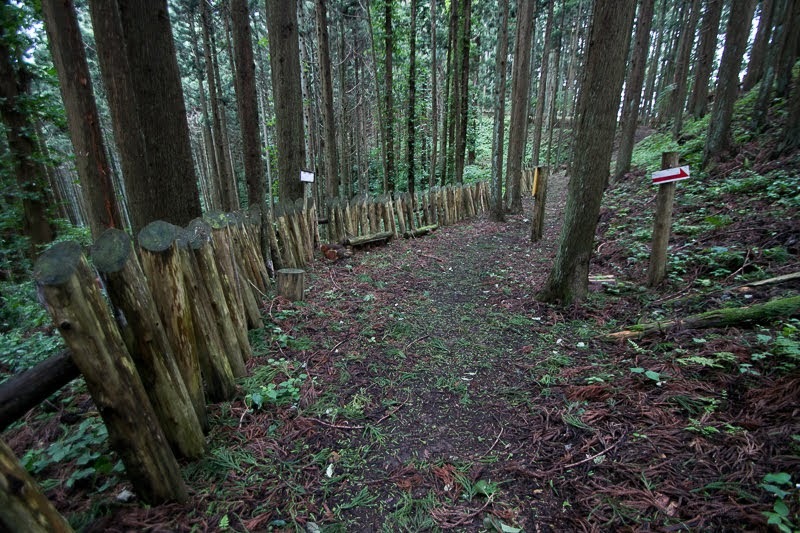 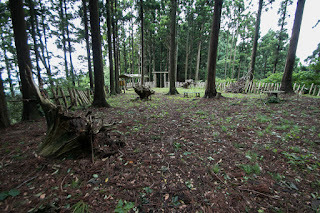 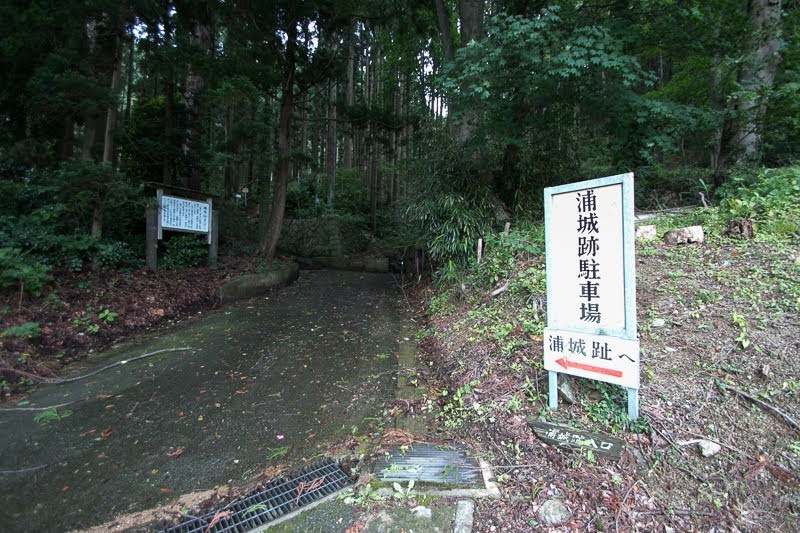 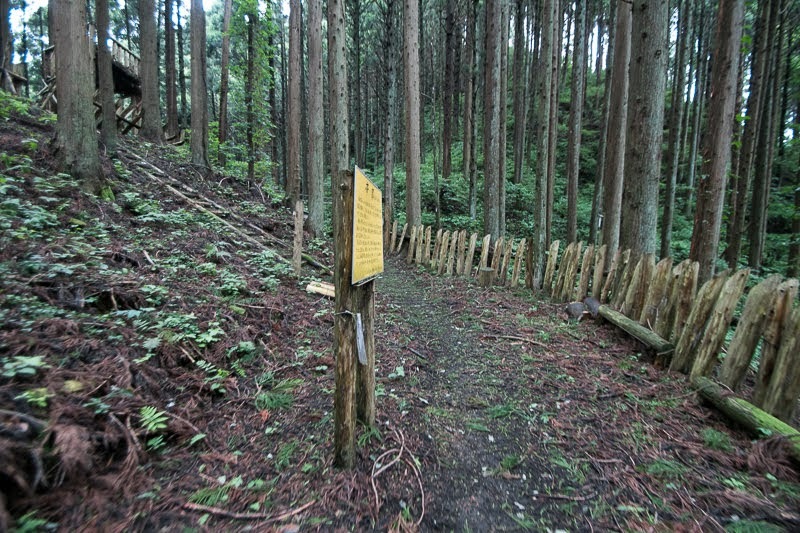 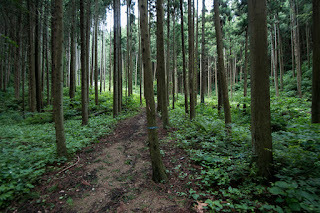 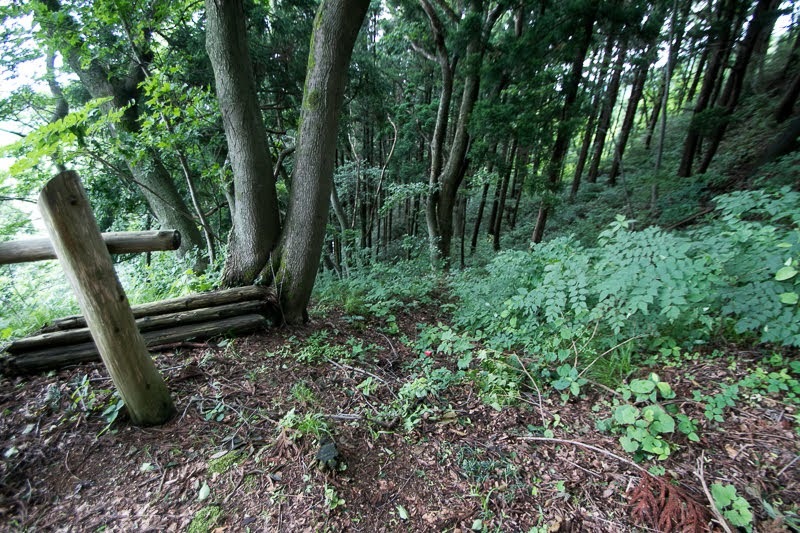 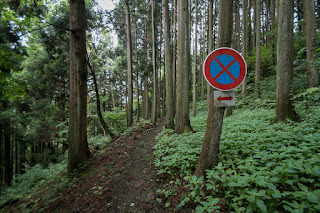 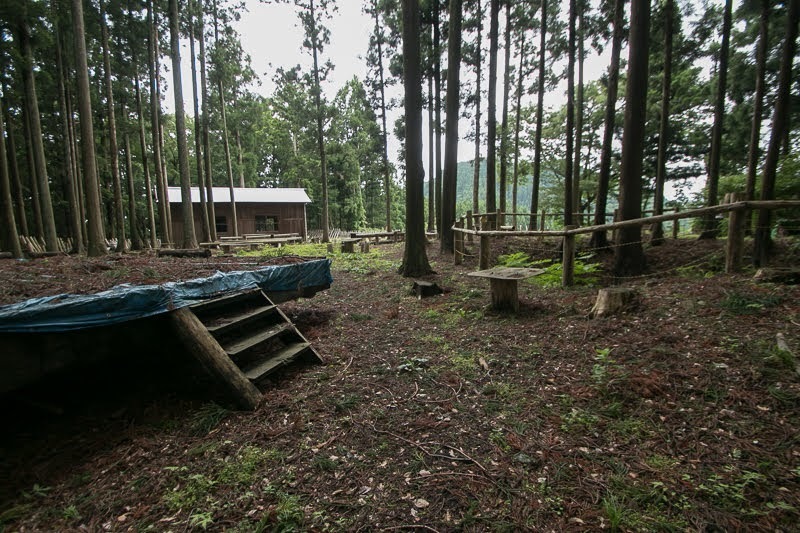 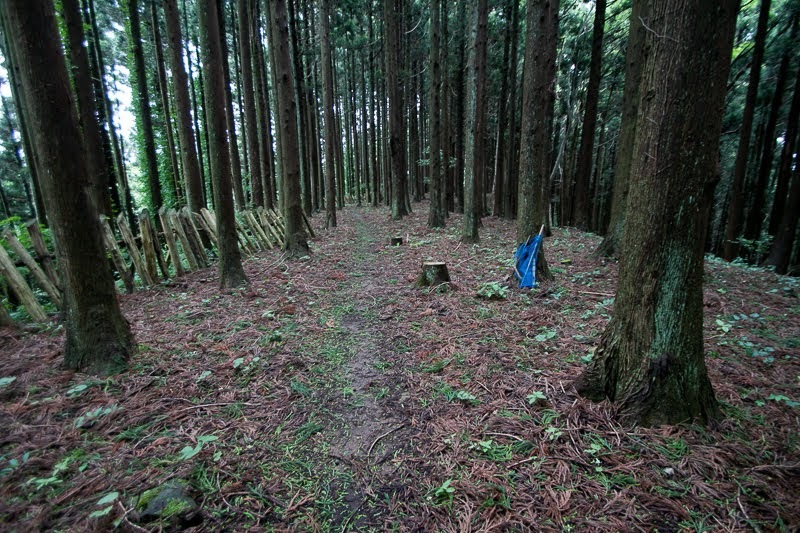 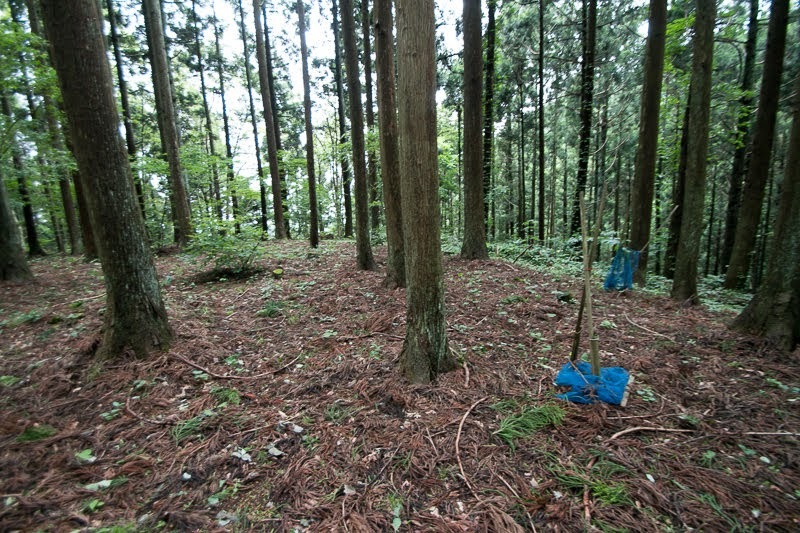 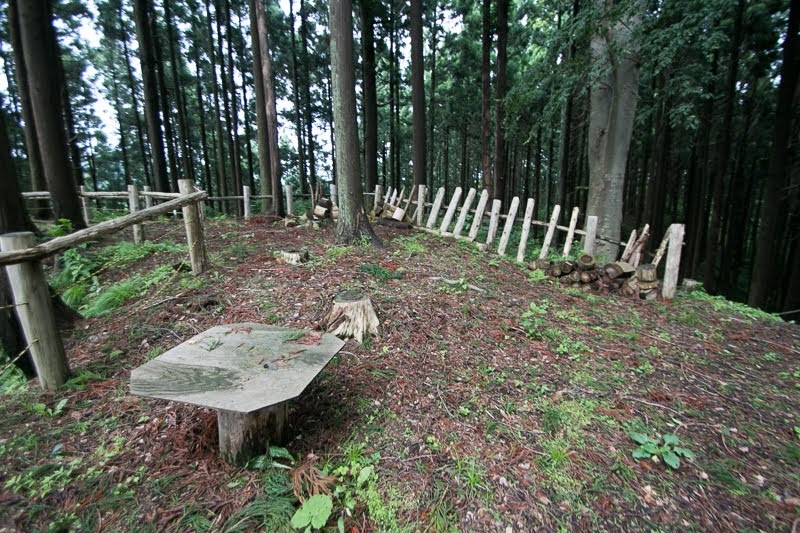 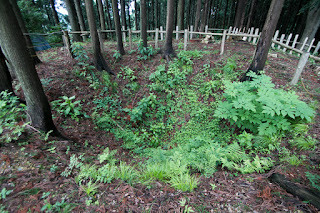 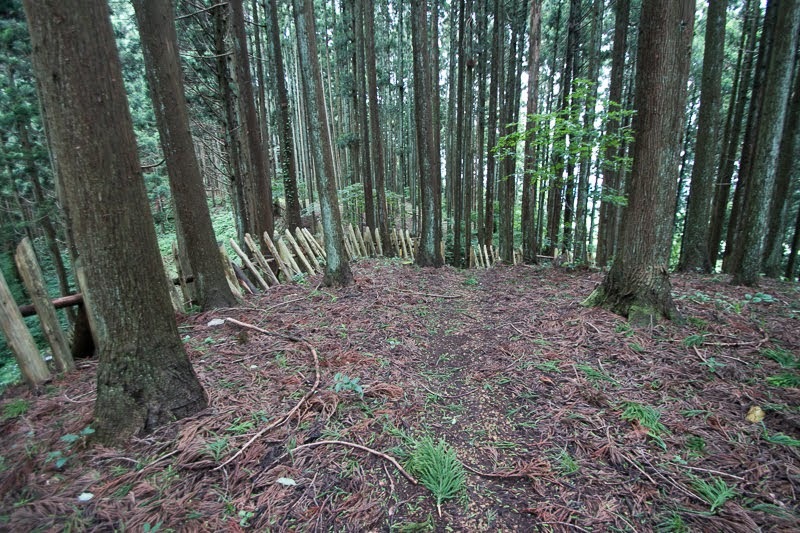 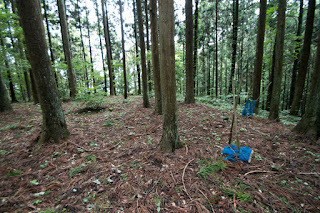 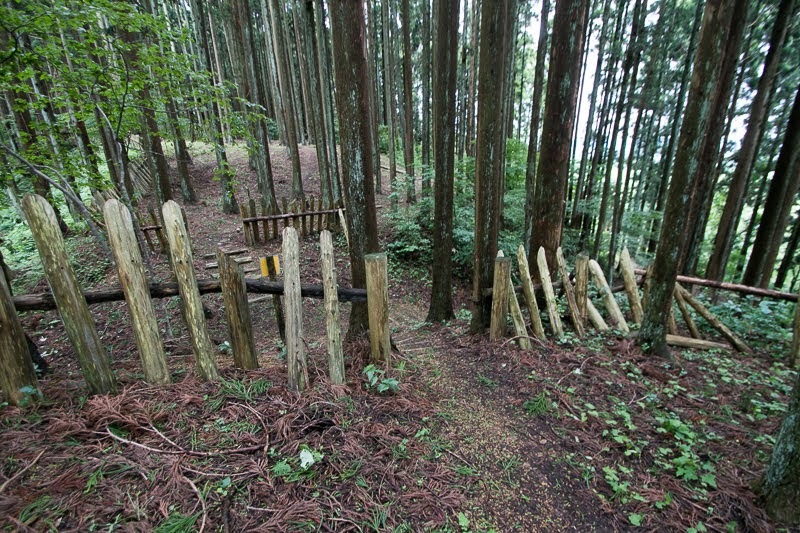 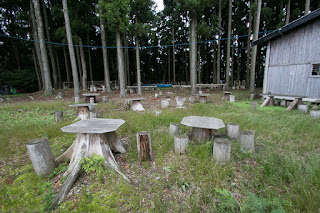 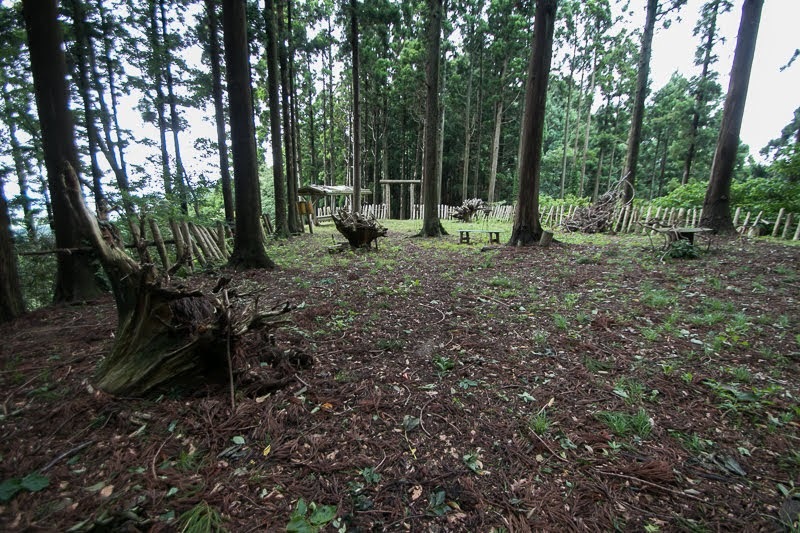 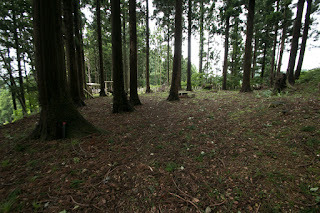 Just before central area, there is a secondary area which is called for Musha-Damari (soldiers waiting area) is built. 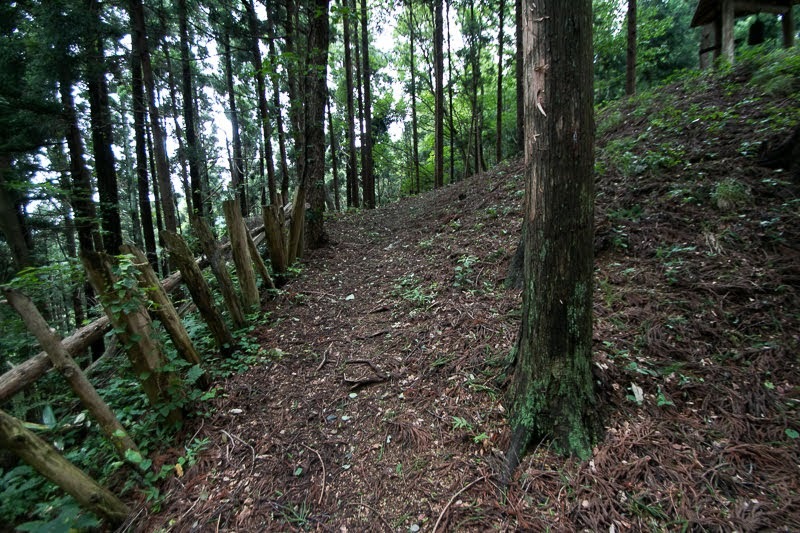 Before central areas, there are two long area of over 100 meter long which are called as grounds for residence. 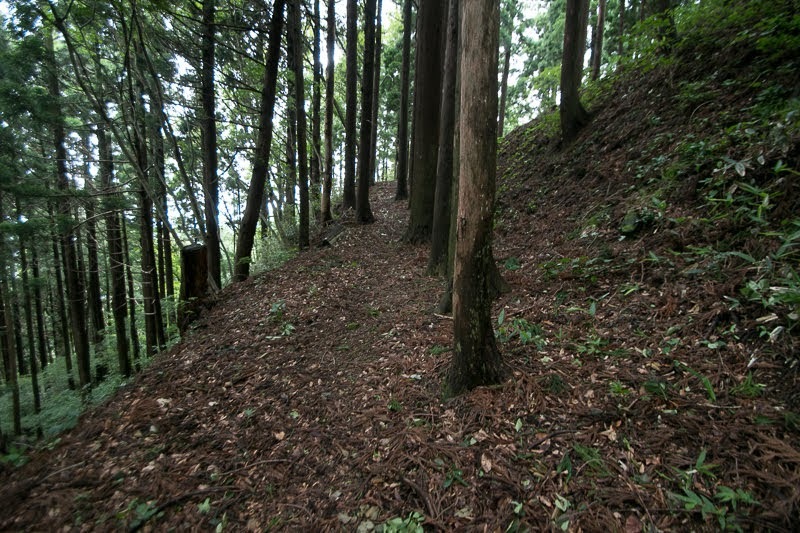 Both edge of these area are separated by wide dry moat, some part is built as a complex of small moats. 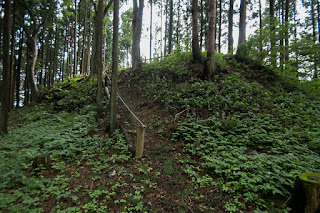 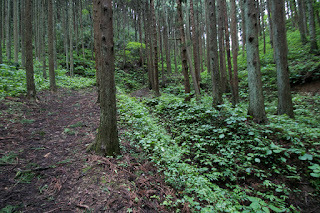 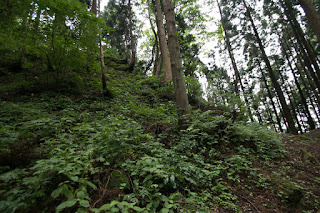 Northwestern edge of the castle connected to Takaokayama mountain is securely separated by V like deep moats. 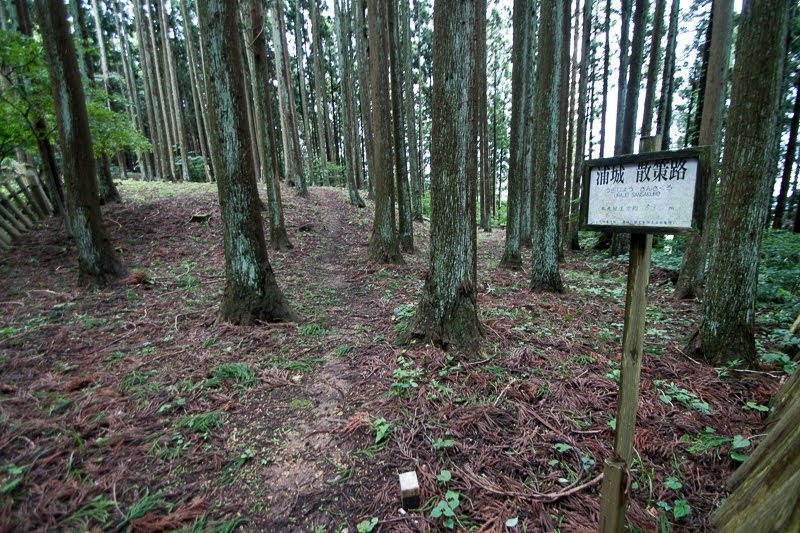 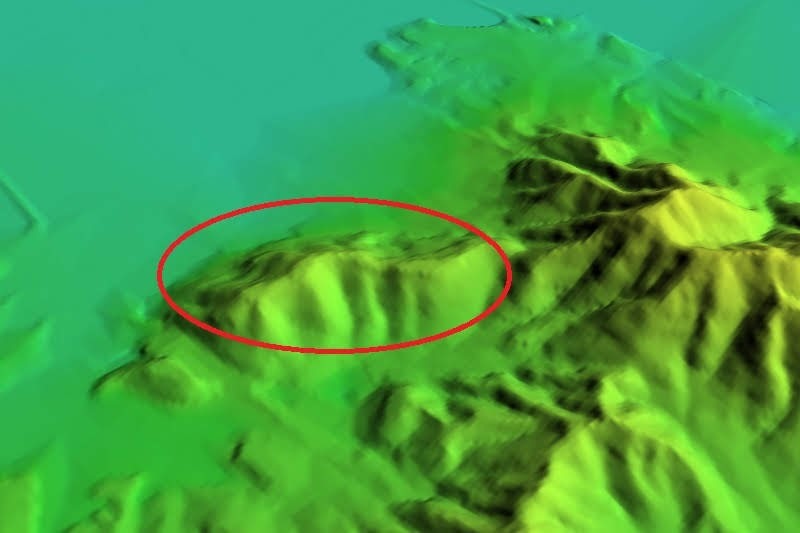 Line of these areas are wholly surrounded by lower corridor area, the total length is about 1.5 kilometer. 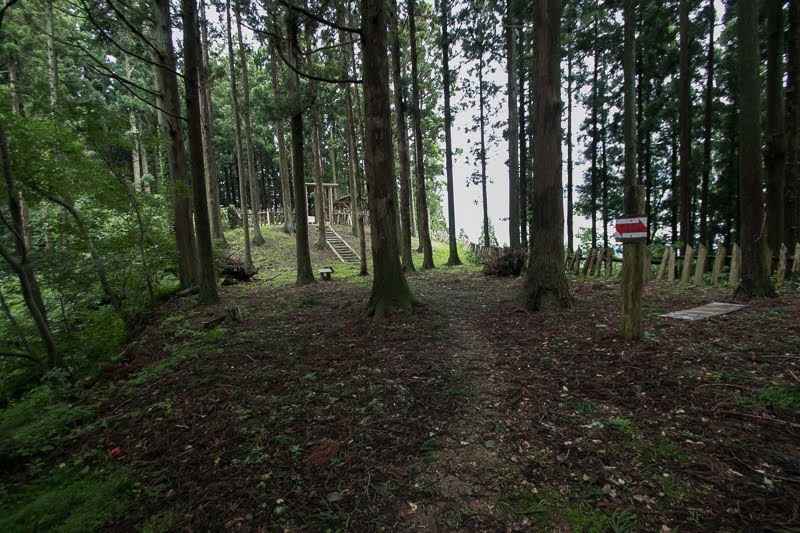 After a turbulent period, Miura clan originally started from seaside of Sagami province now achieved their haven and sea after long wandering. 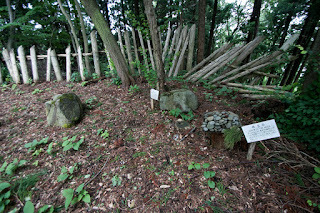 But their fortune did not last long, as this place was at the middle of two houses of Akita clan which were Hiyama Ando clan at Hiyama castle (Akita prefecture) and Minato Ando clan at Minato castle (Akita prefecture) of current Akita city. 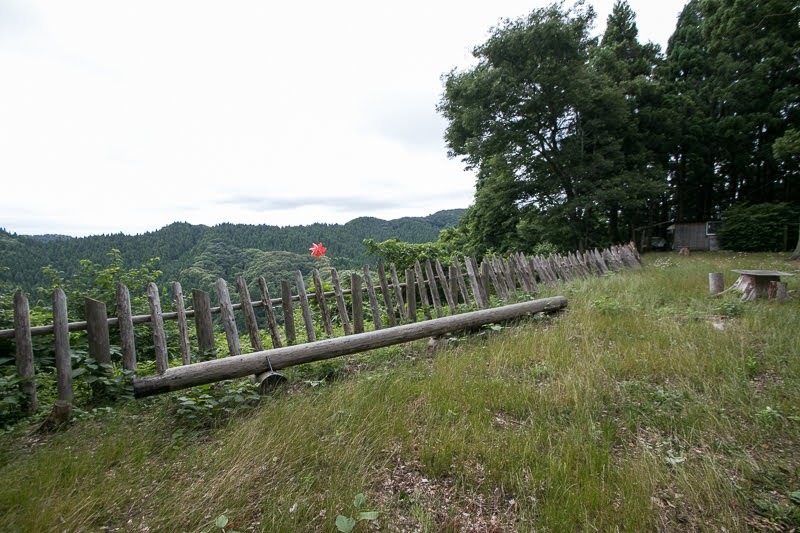 Akita clan was originally named as Ando clan and a lord of marginal area spreads around current Tsugaru straight. 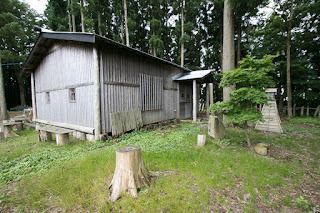 But facing the pressure of Nanbu clan which advanced into Tsugaru area, Ando clan separated into two houses and resided each area. 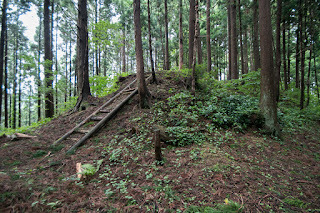 In the middle of 16th century, Chikasue Ando (1539-1587) who was the lord of Hiyama Ando clan united both houses and expanded their territory around north half of current Akita prefecture. 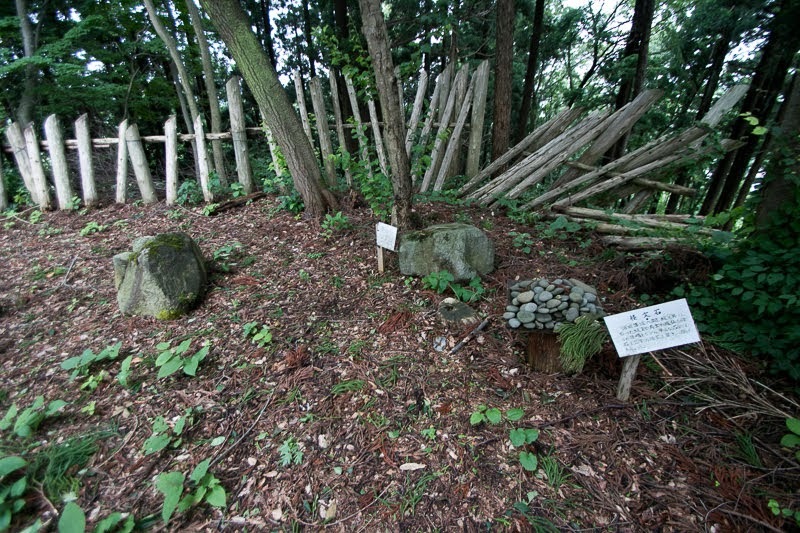 However, after the death of Chikasue, looking at the succession by Sanesue Ando (1576-1660), son of Chikasue, his uncle Michisue Ando (1564-?) 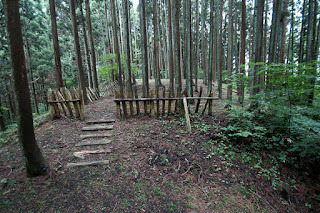 raised his army being supported by retainers of Minato Ando clan who hoped the independence of Minato Ando clan from Hiyama Ando clan in 1589. 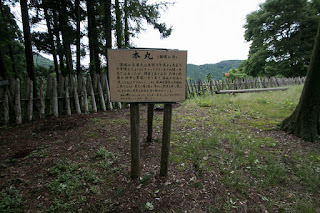 Morinaga Miura (?-1589), the leader of Miura clan, participated in this battle belonged to Minato Ando army. 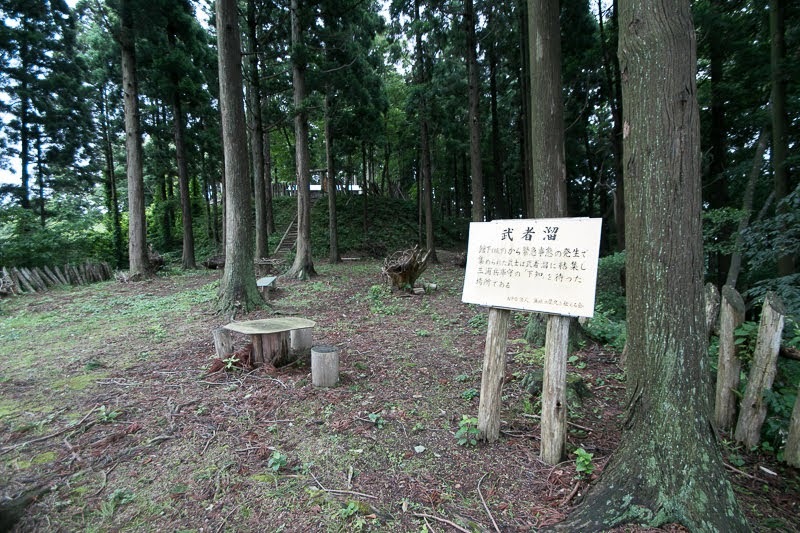 Minato Ando army being supported by neighbor warlords such as Tozawa clan, Onodera clan or Nanbu clan at first fell Wakimoto castle (Akita prefecture), former main base of Chikasue, and encircled Sanesue Ando at his main base Hiyama castle. 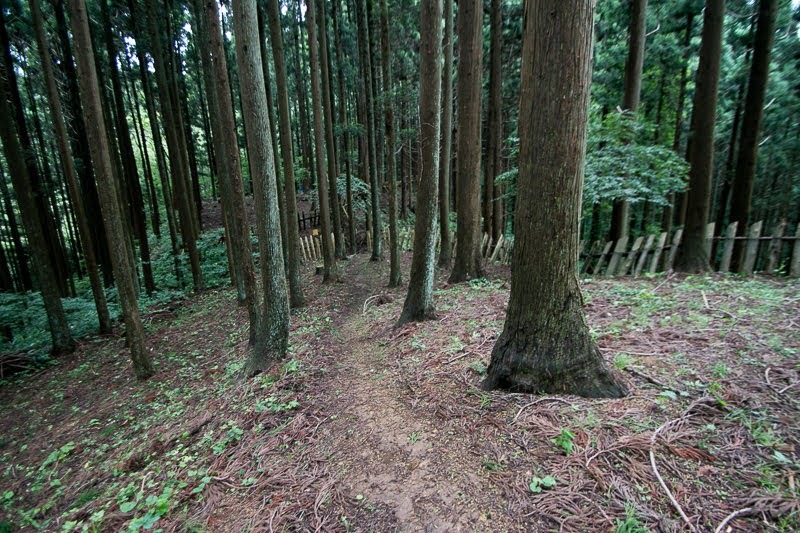 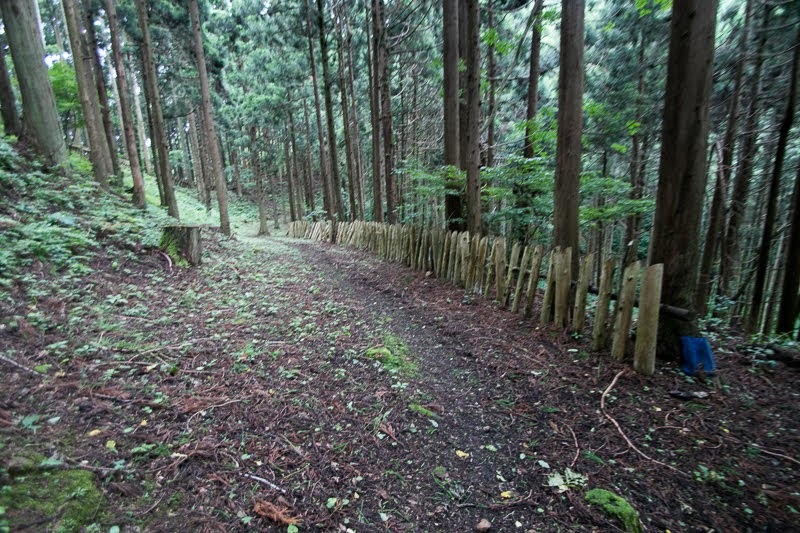 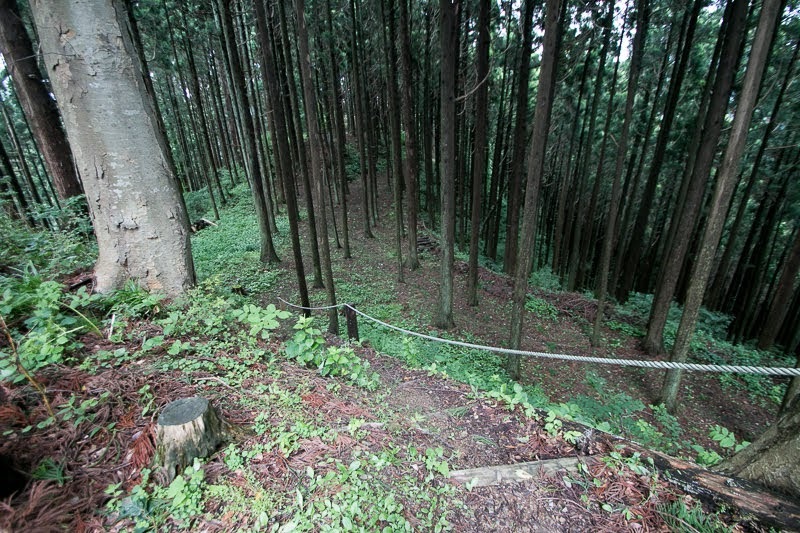 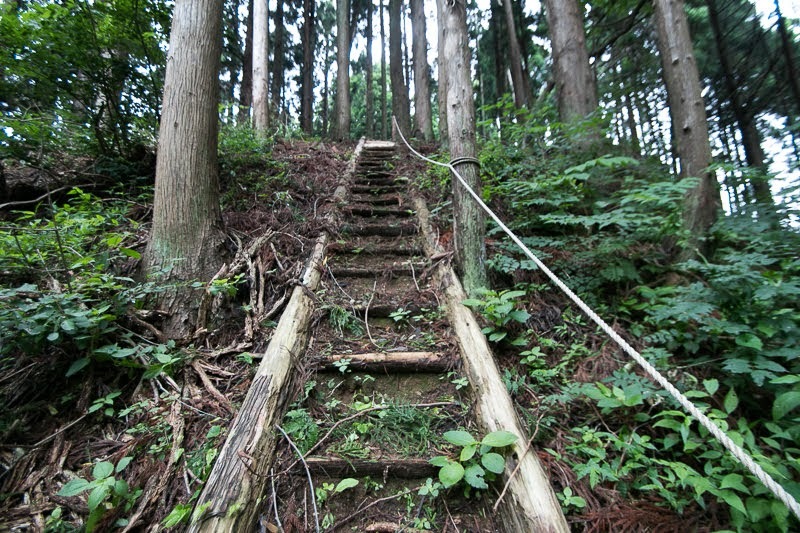 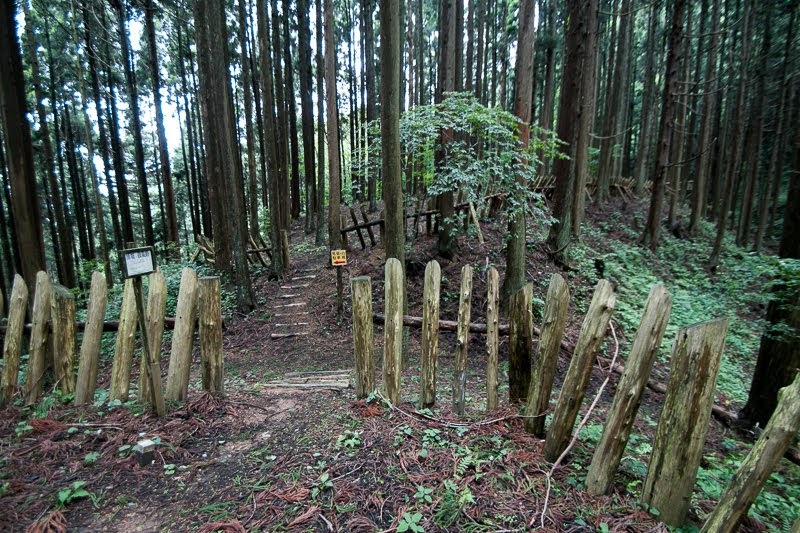 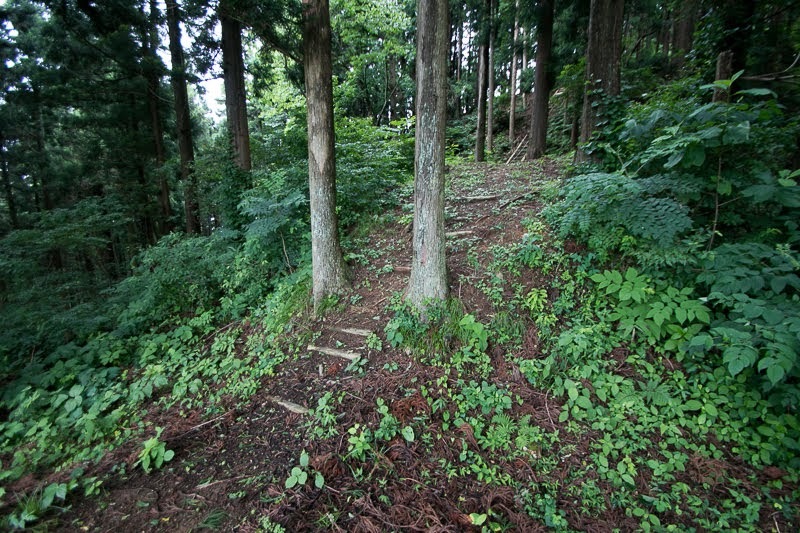 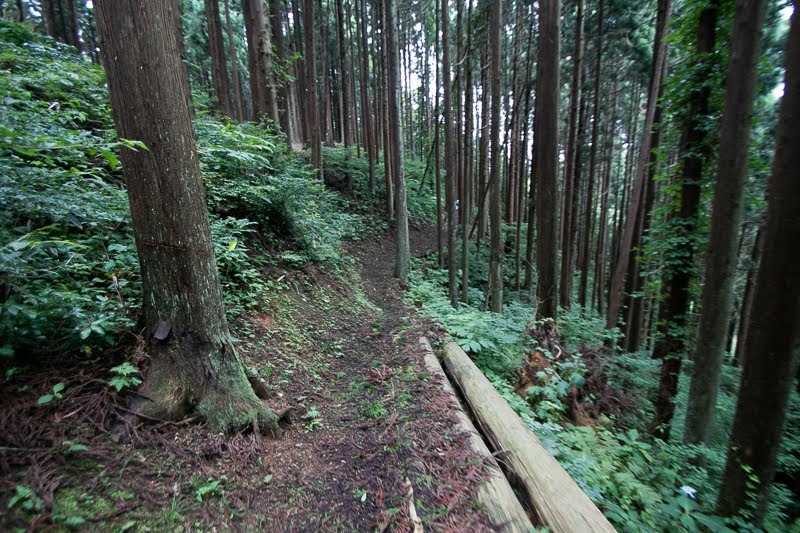 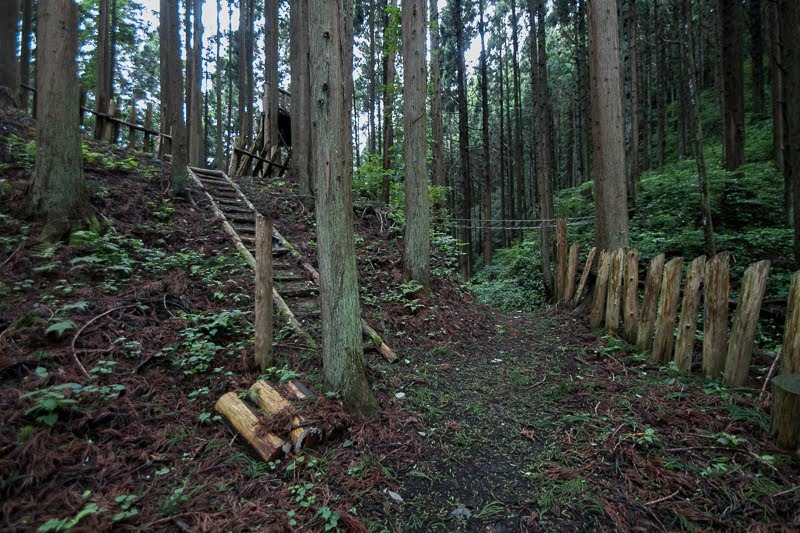 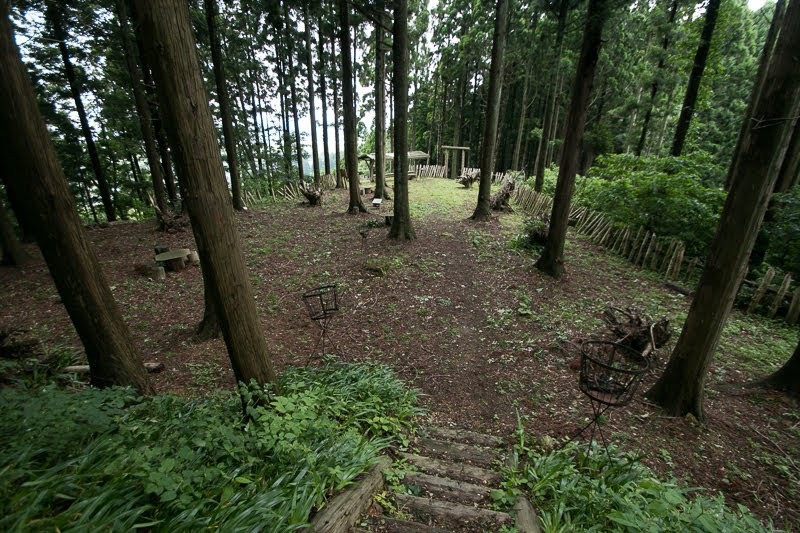 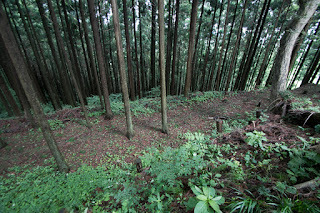 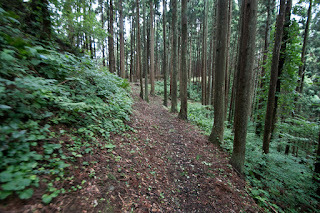 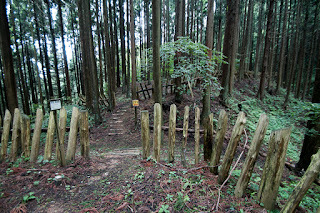 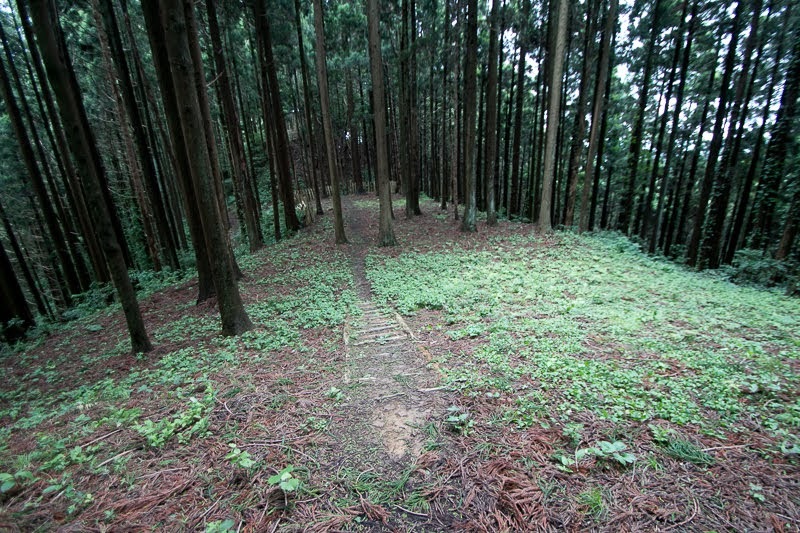 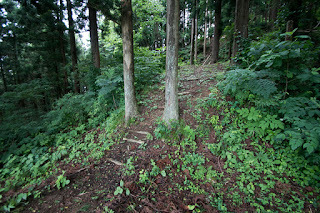 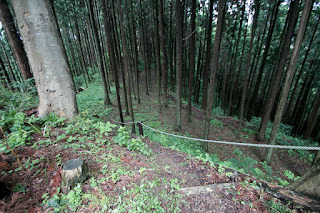 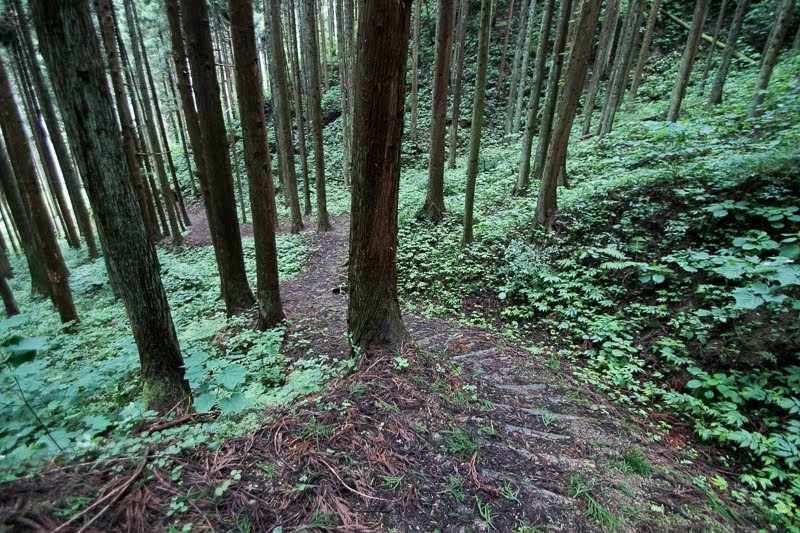 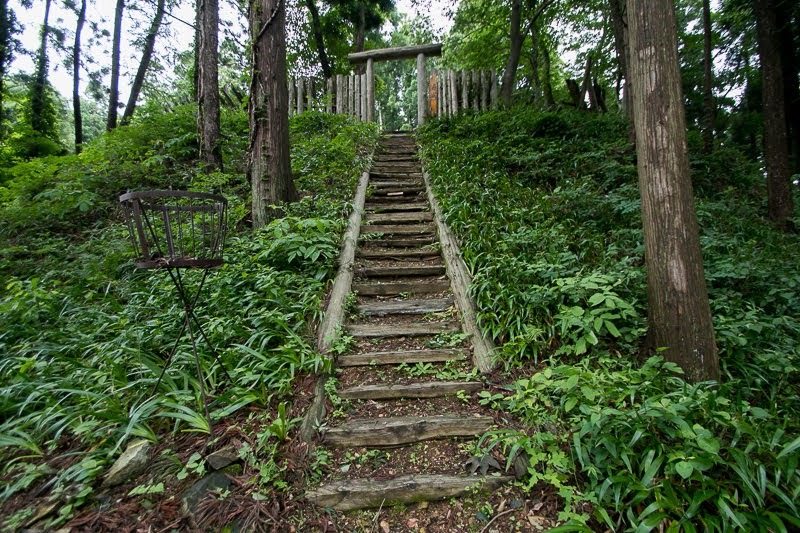 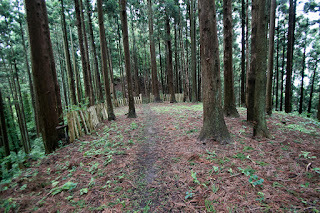 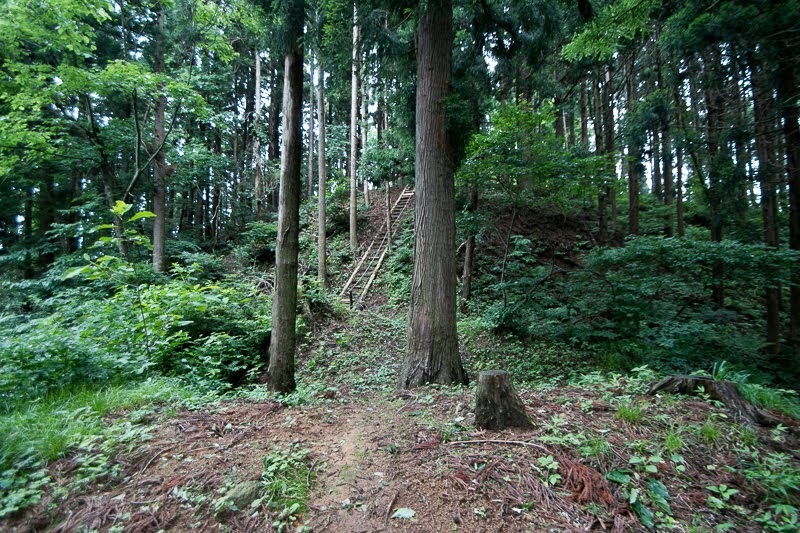 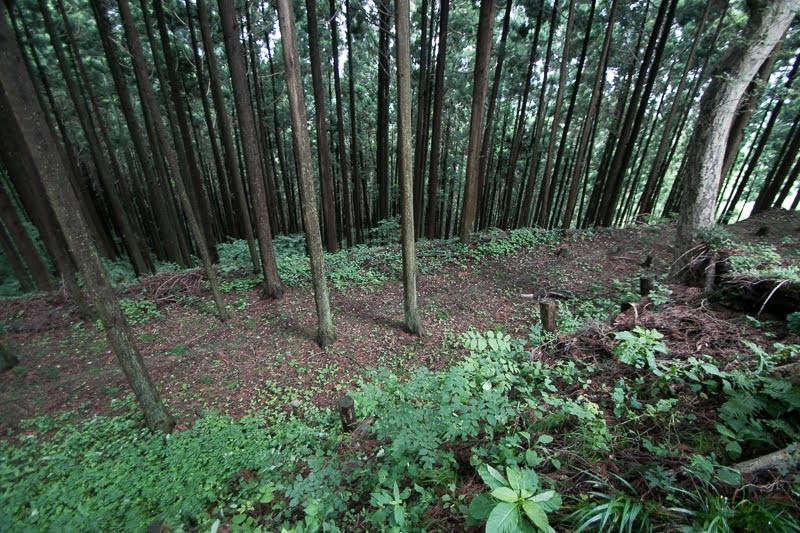 Because of the closeness to Hiyama castle, Morinaga Miura lead Minato Ando army to Hiyama castle and attacked it. 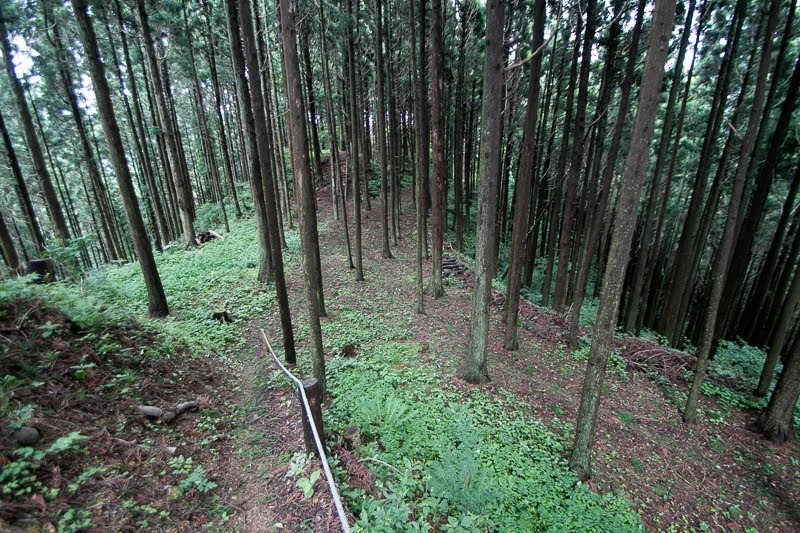 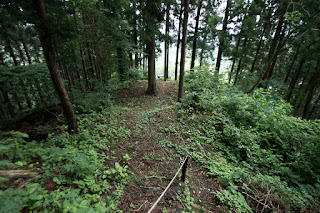 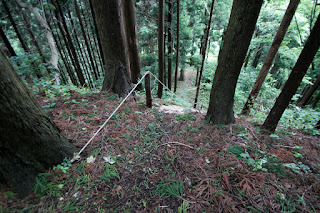 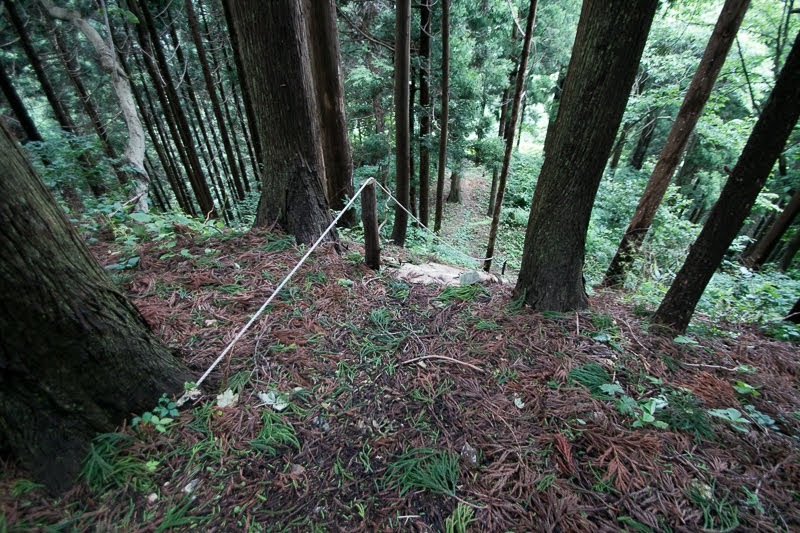 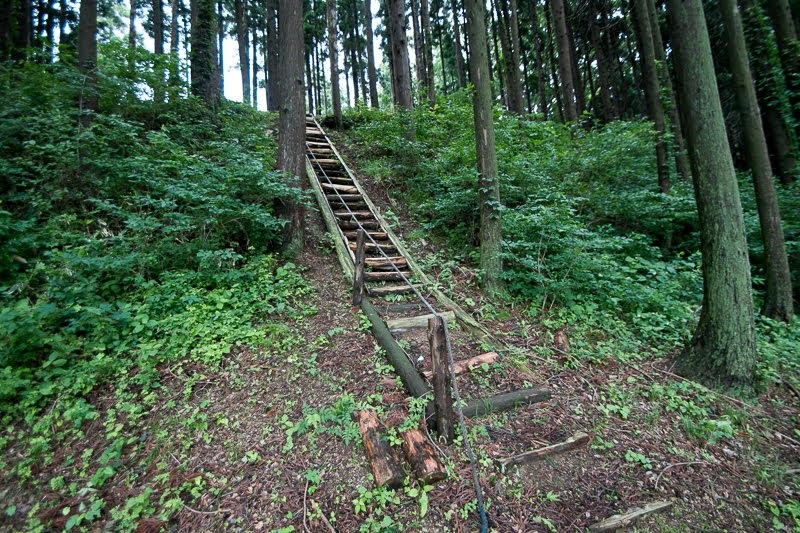 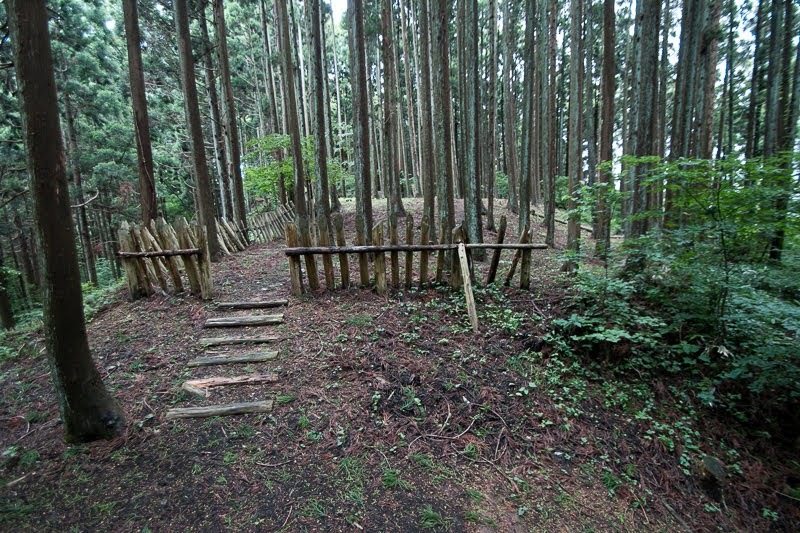 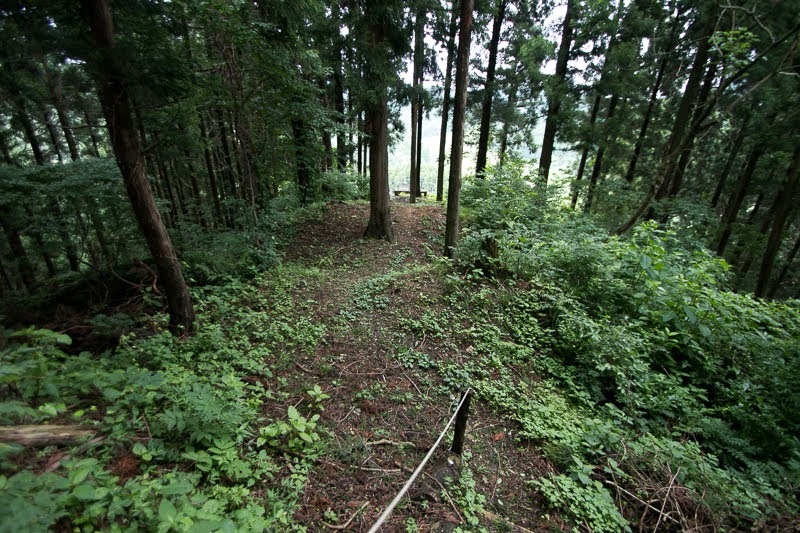 However, Hiyama castle was a huge mountain castle and Chikasue well protected it utilizing a troop of matchlock gunners. 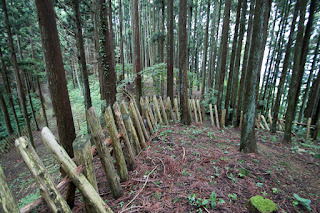 Chikasue also allied backside lords such as Oura clan then finally reversed the situation. 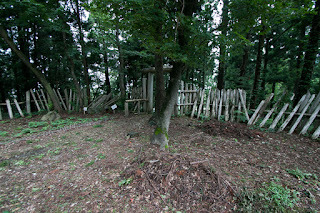 Hiyama Ando army broke Minato Ando army then Michisue Ando left to Nanbu clan. 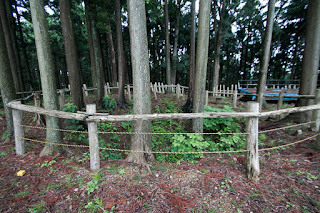 Chikasue Ando captured Minato castle and united both clans again. 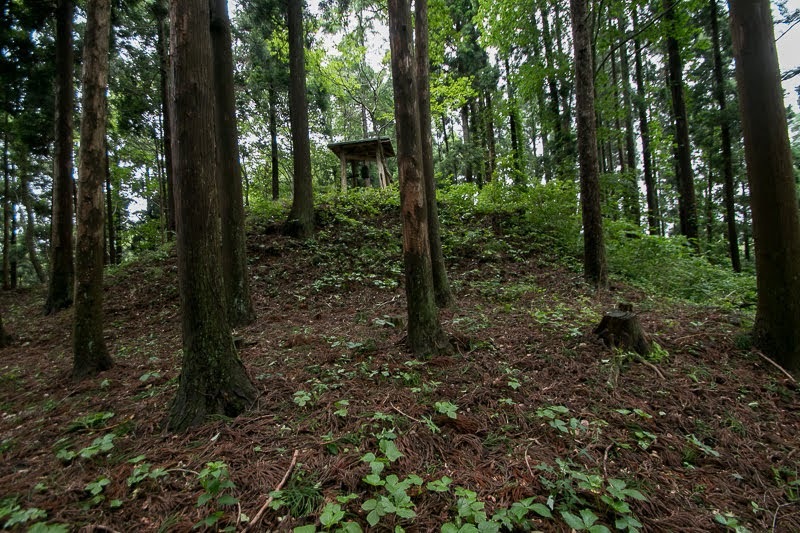 After the leave of Michisue Ando, Miura clan became the next target of Chikasue considering the lead of Minato Ando army to Hiyama castle, and its geographical condition at the middle of Hiyama castle and Minato castle. Chikasue sent his general Munenori Ishioka (?-?) 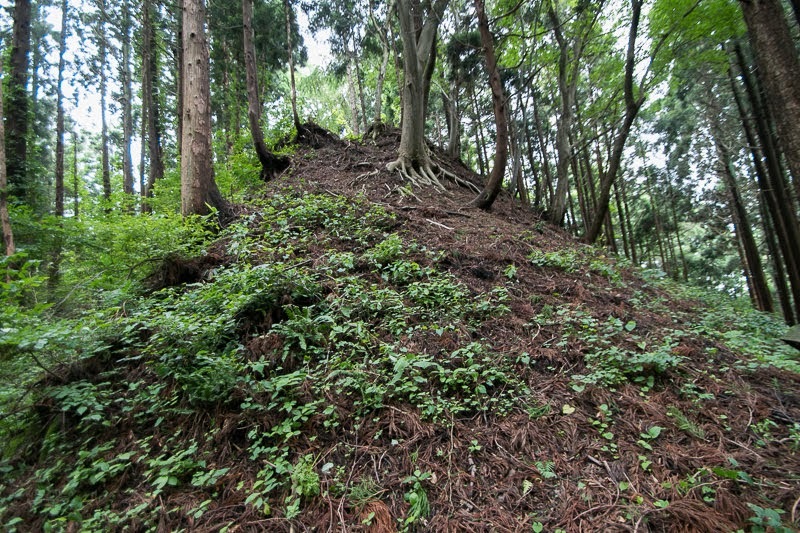 to ruin Mura clan. 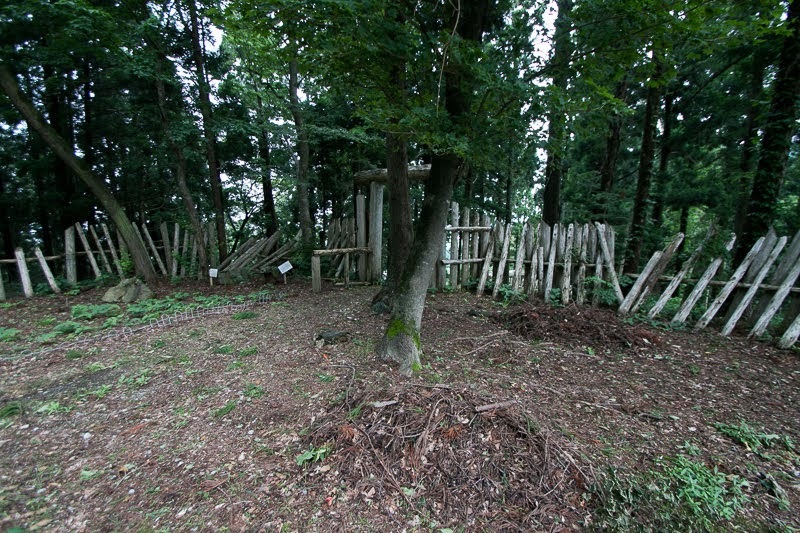 In spite of severe damage at former battle, Miura army well fought against overwhelming Hiyama Ando army. 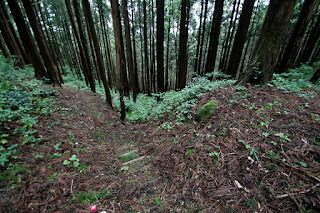 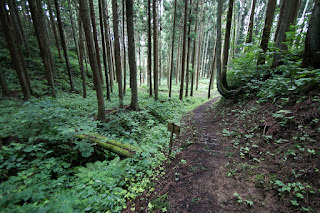 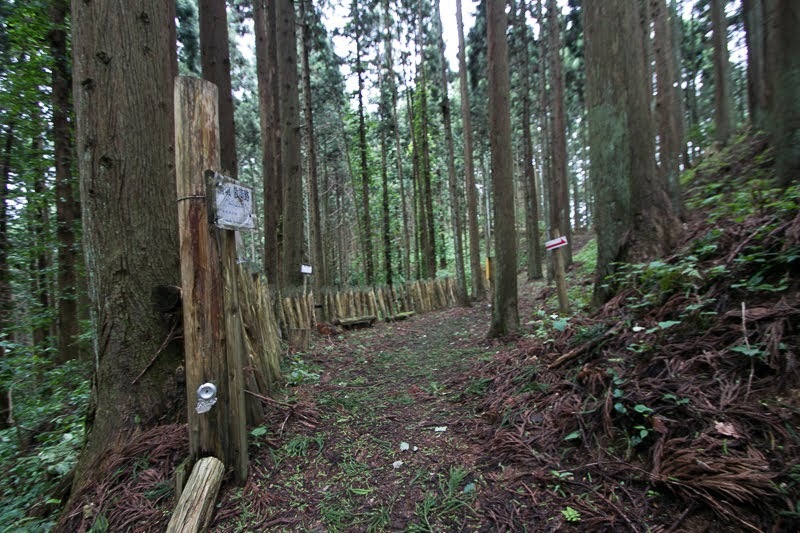 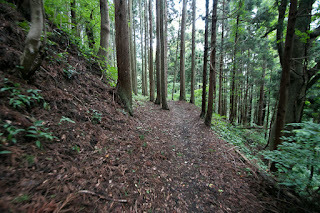 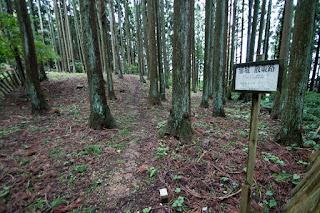 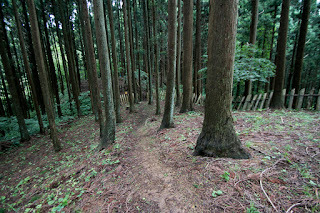 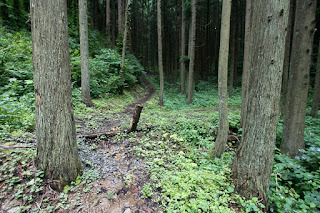 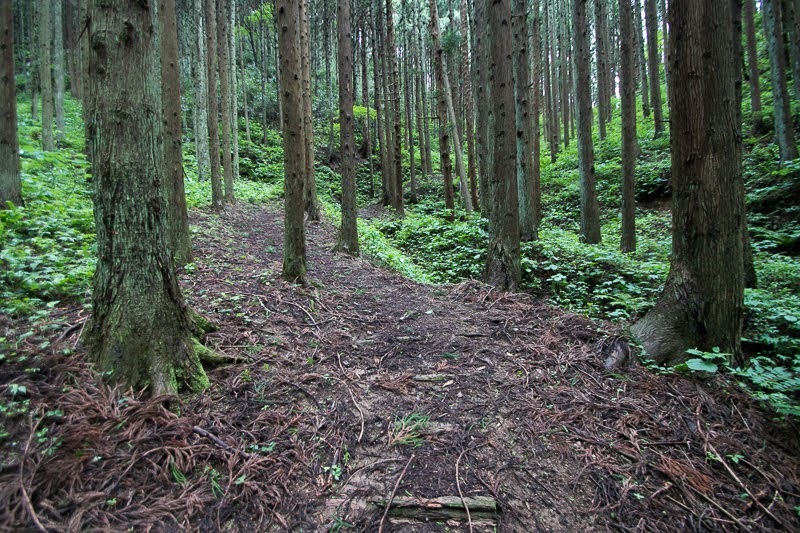 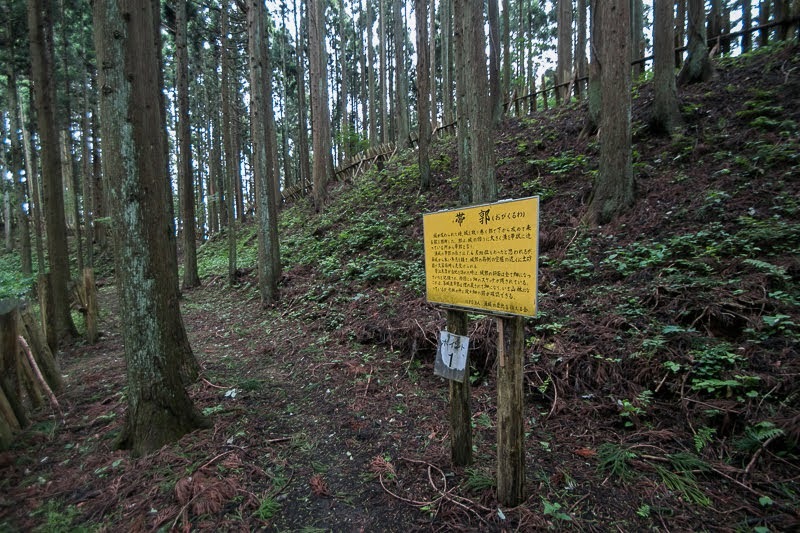 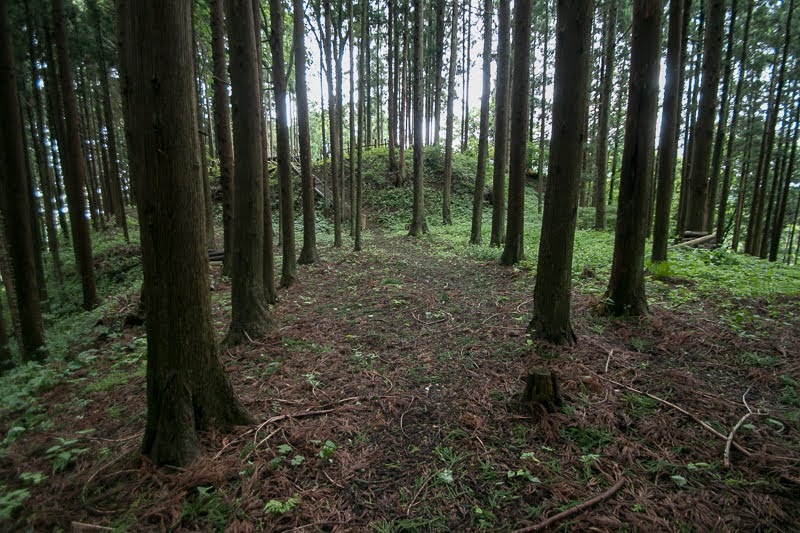 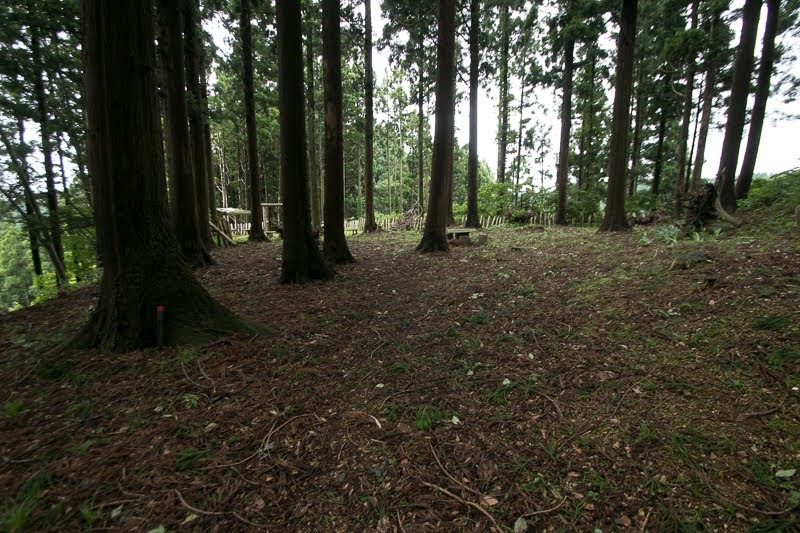 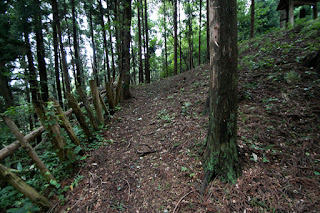 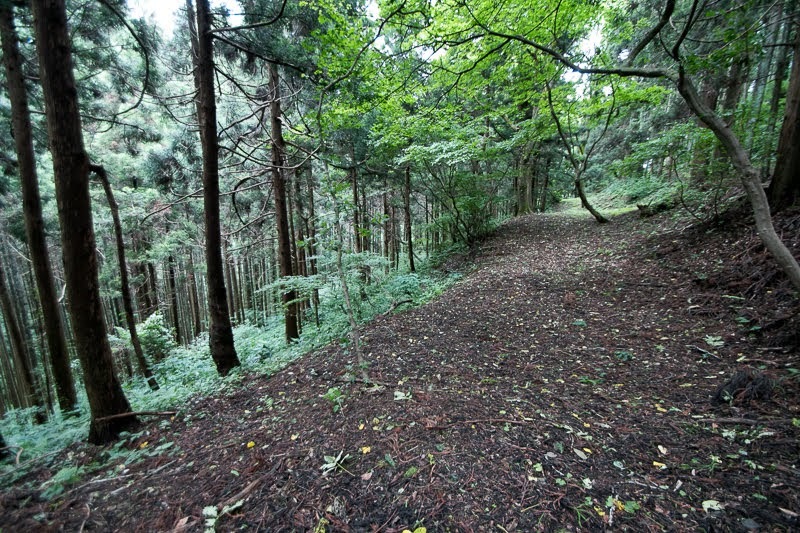 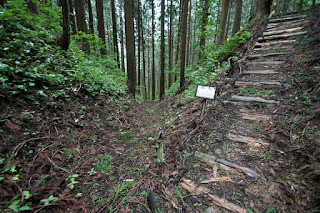 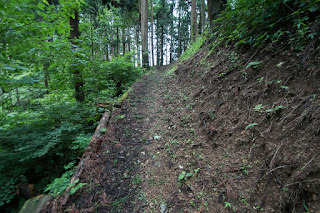 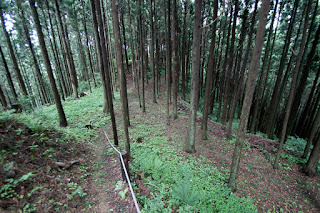 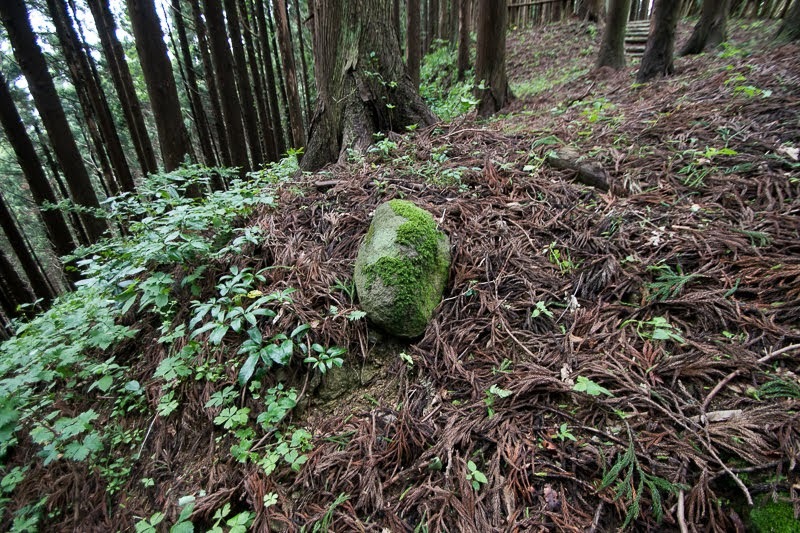 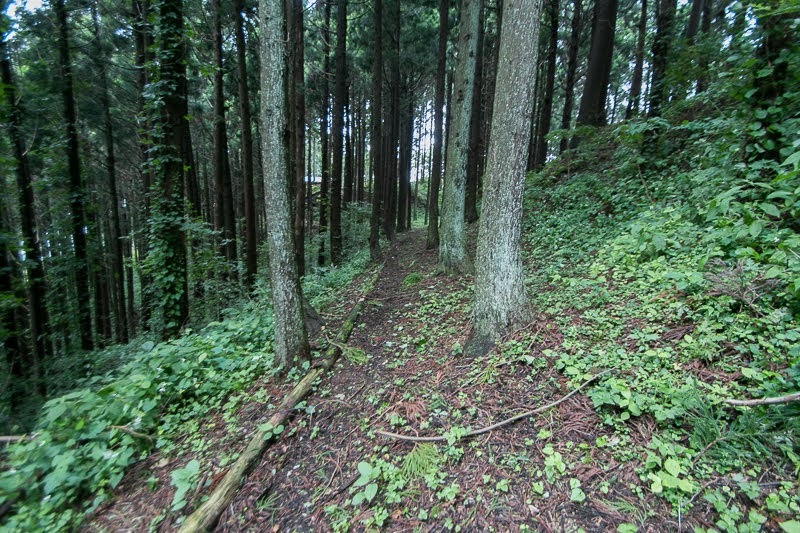 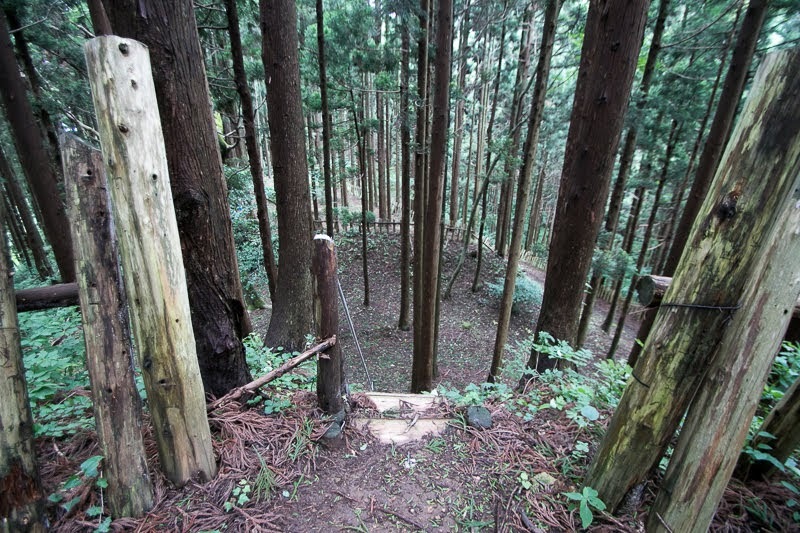 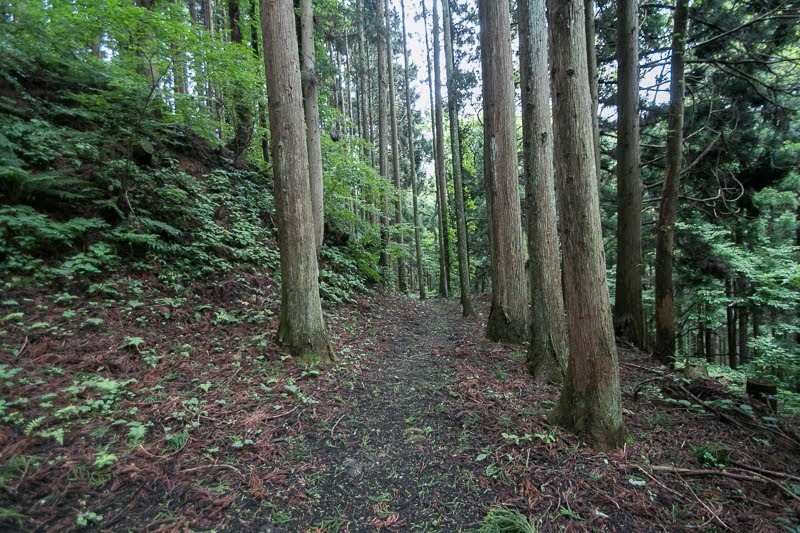 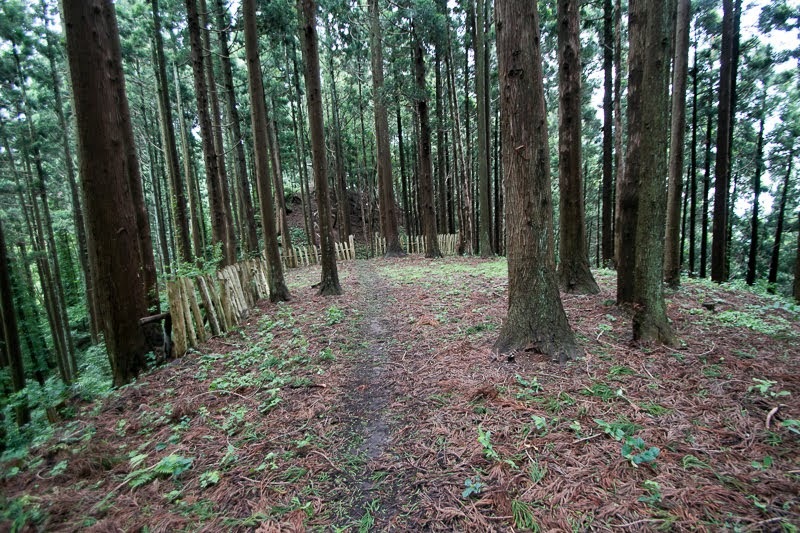 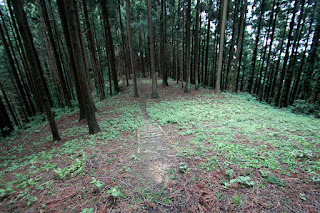 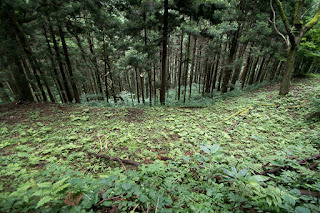 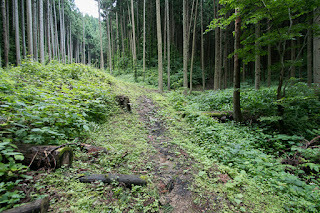 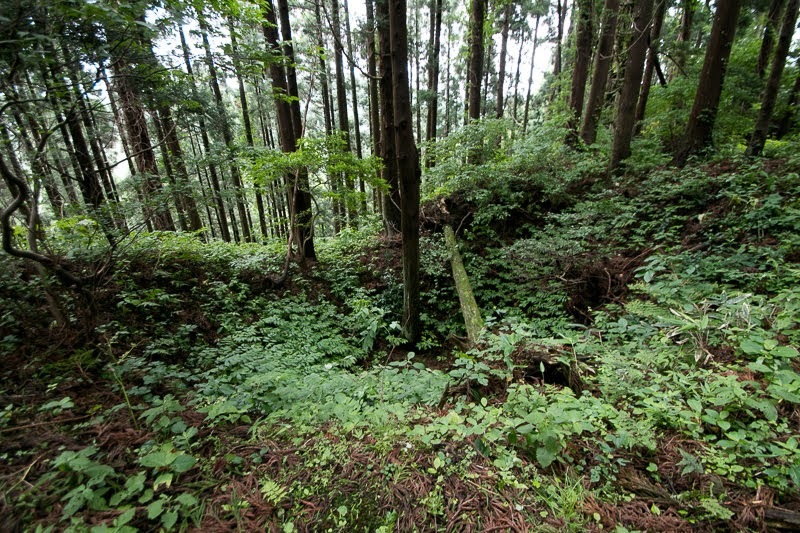 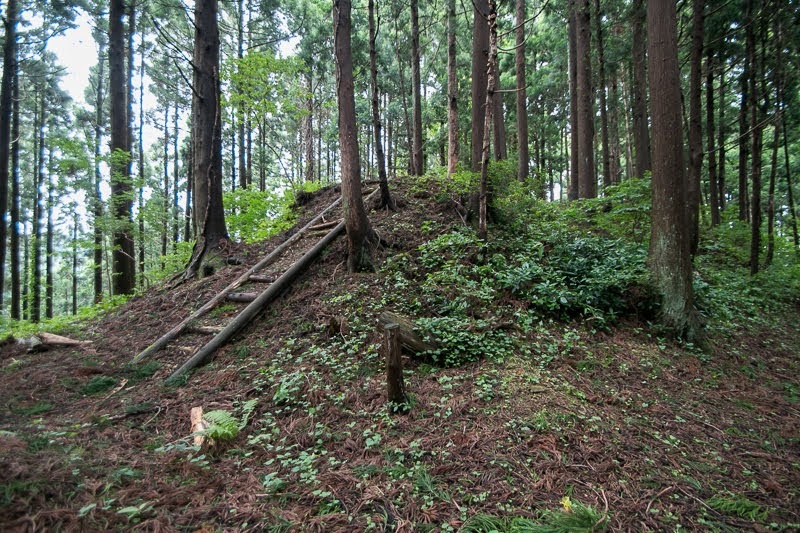 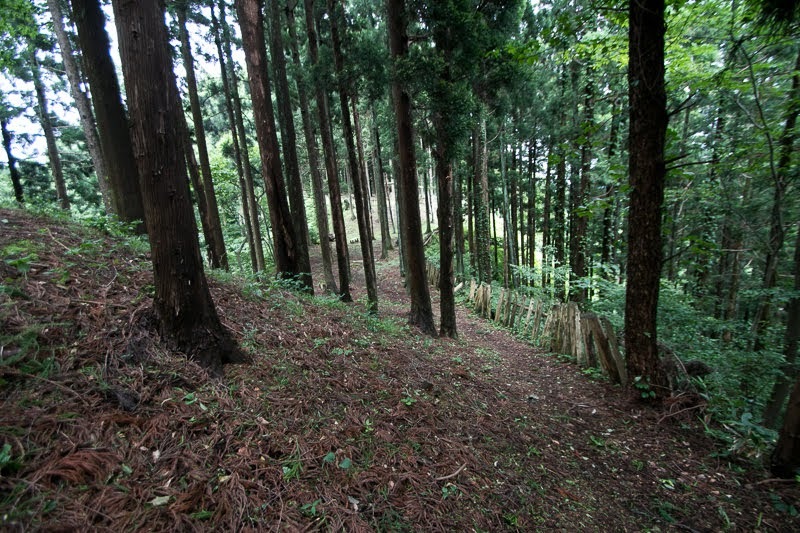 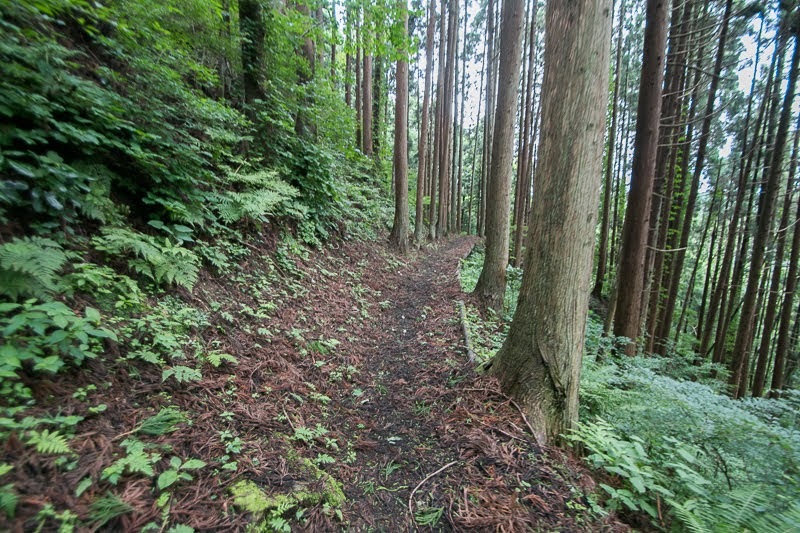 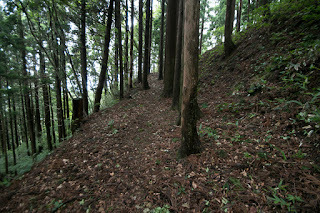 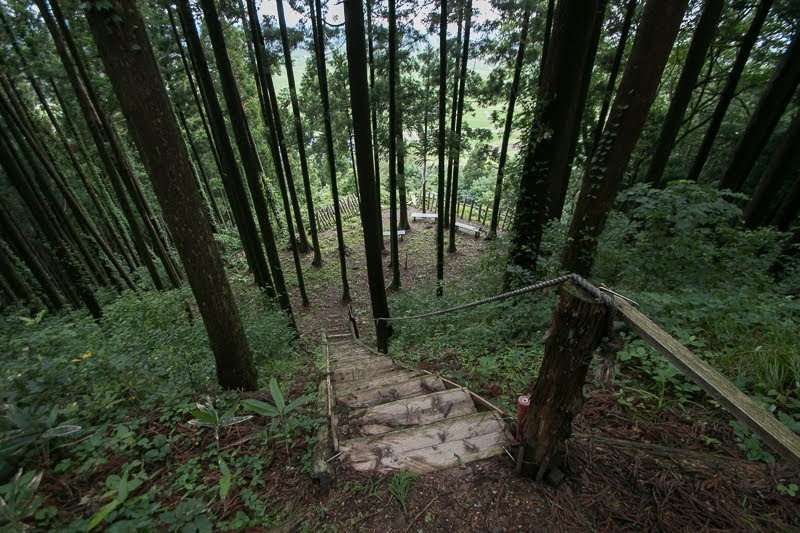 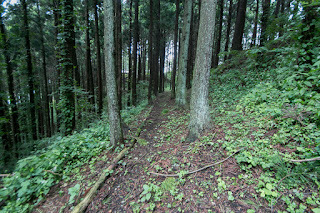 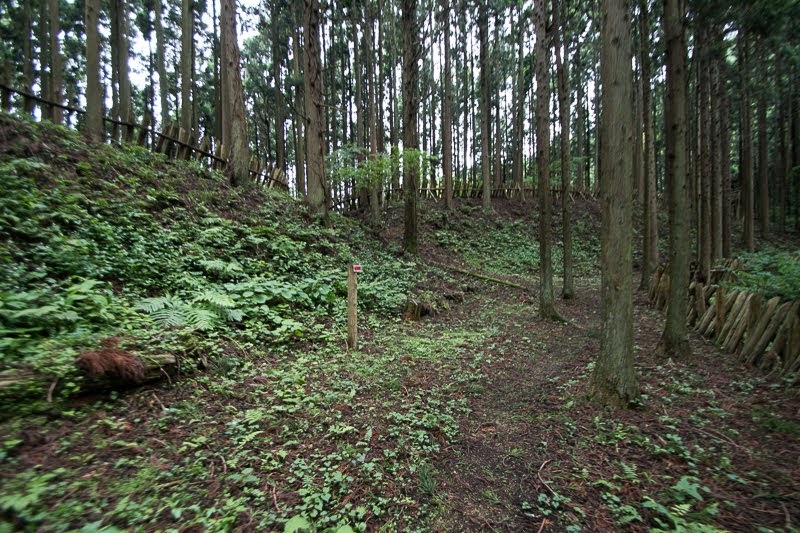 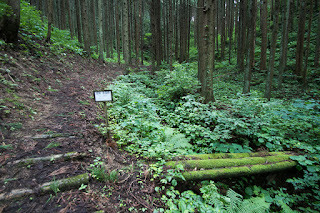 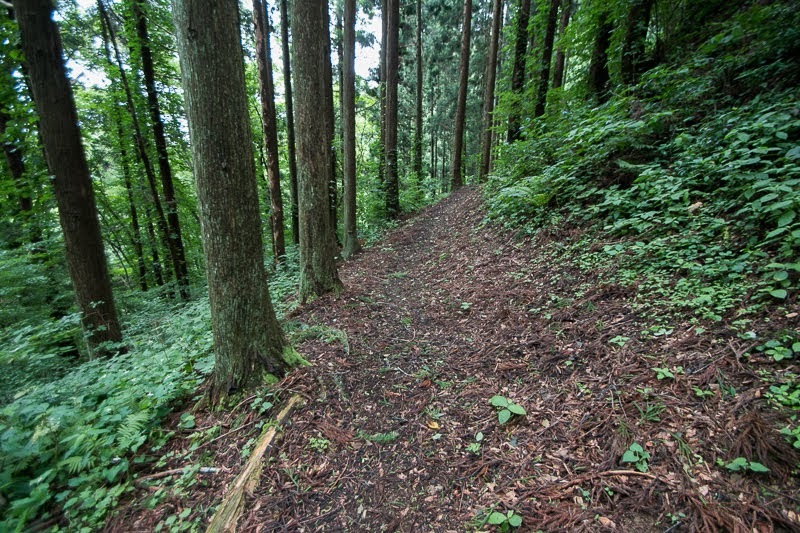 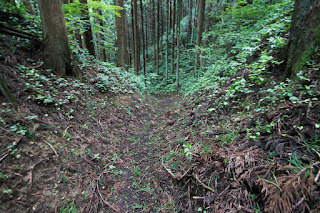 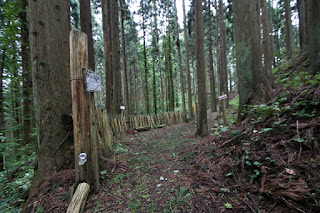 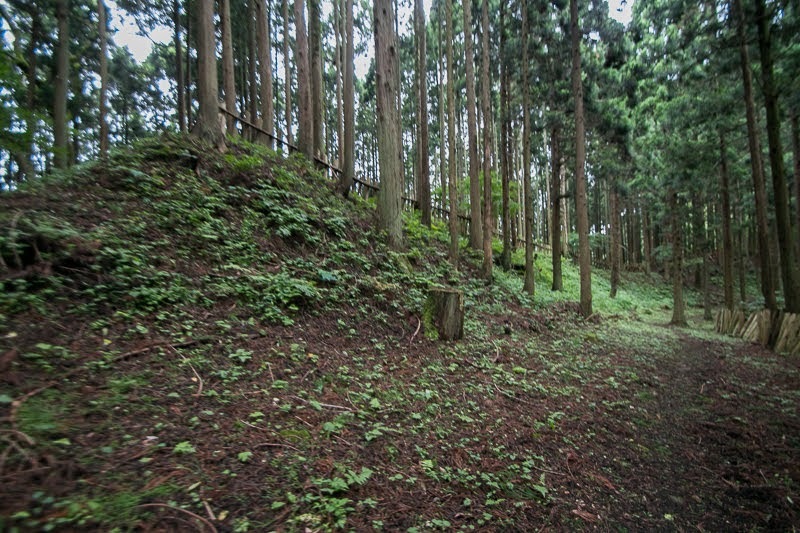 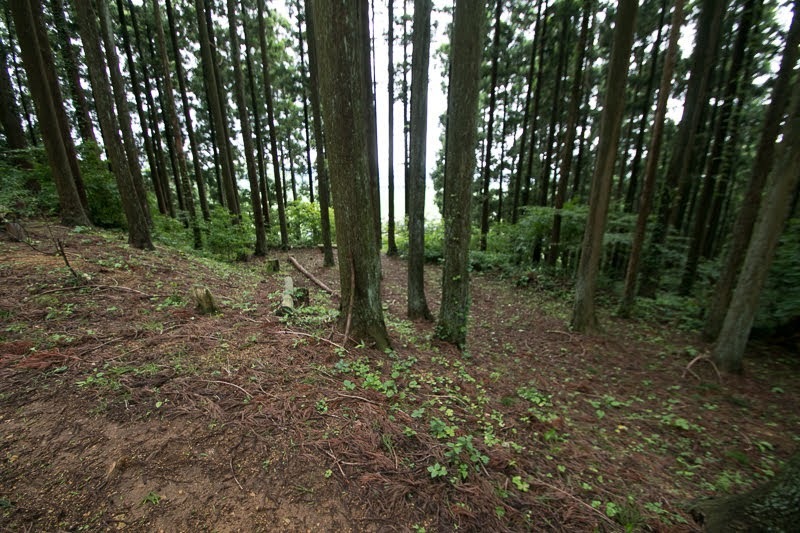 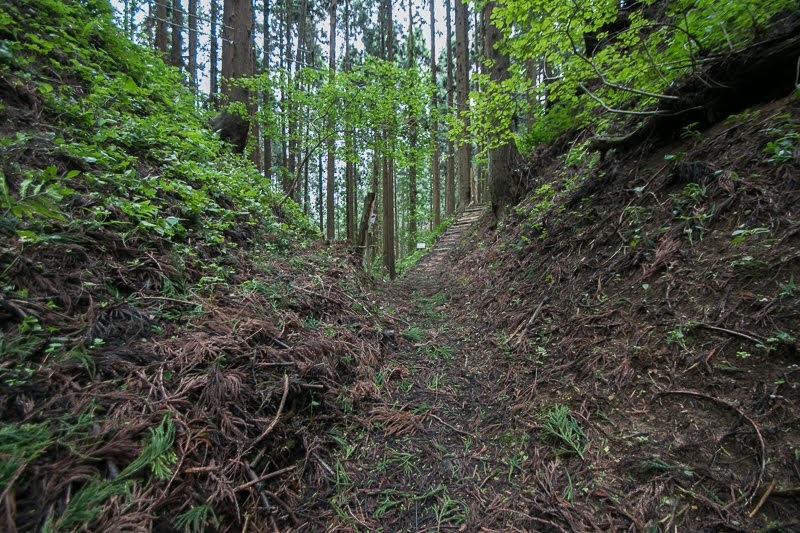 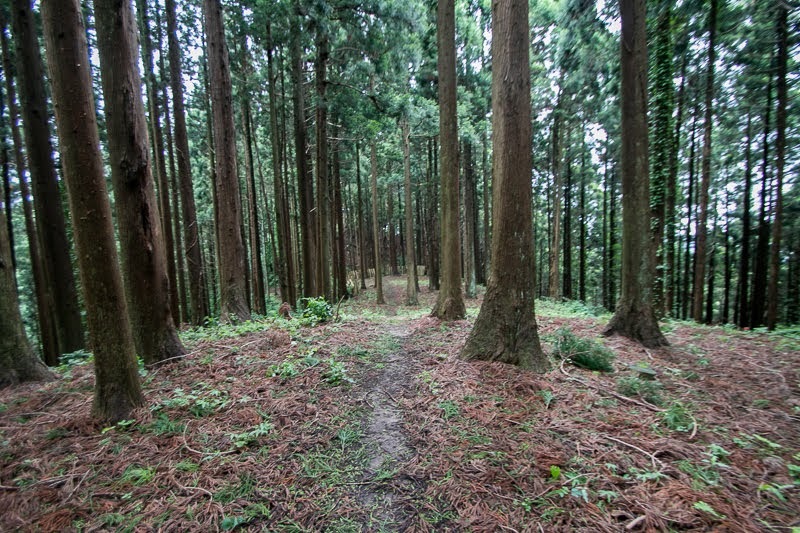 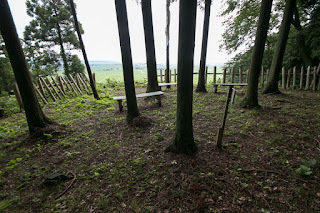 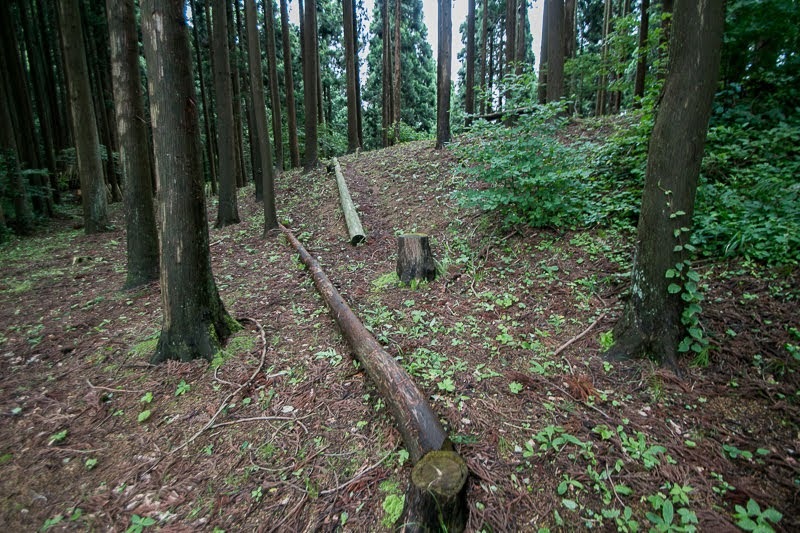 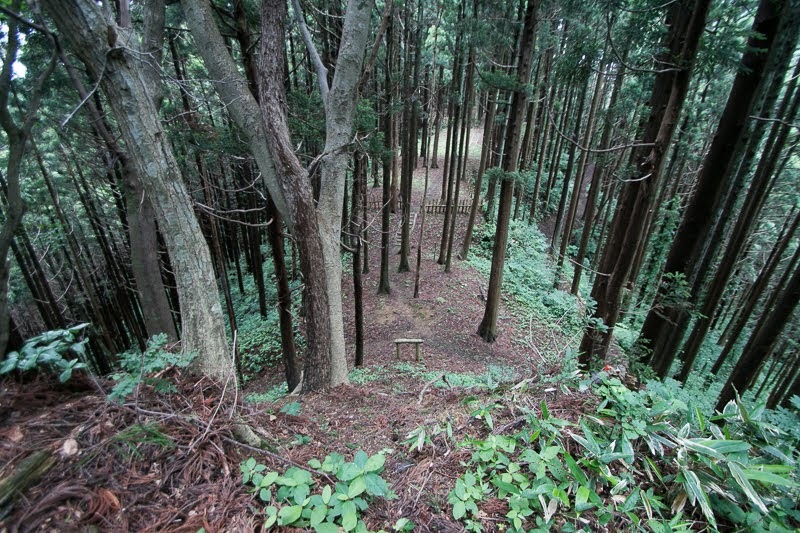 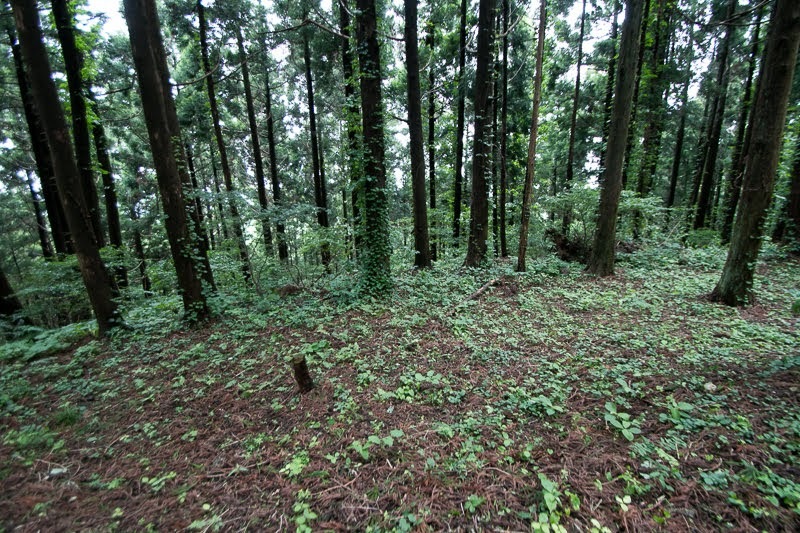 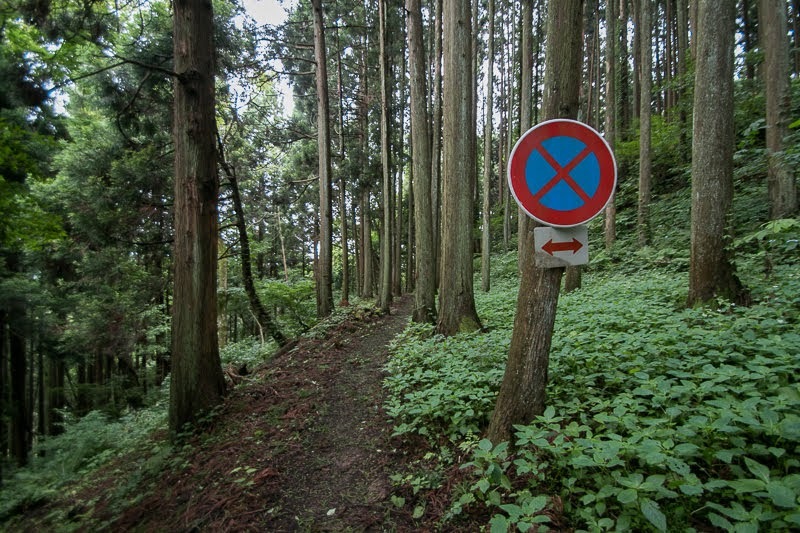 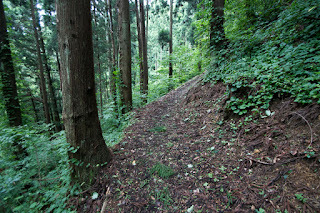 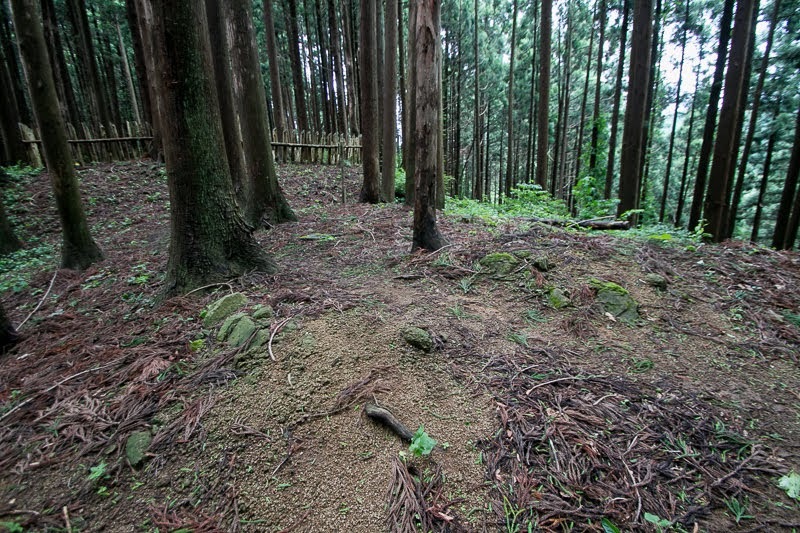 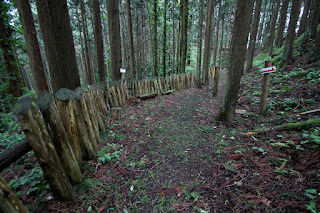 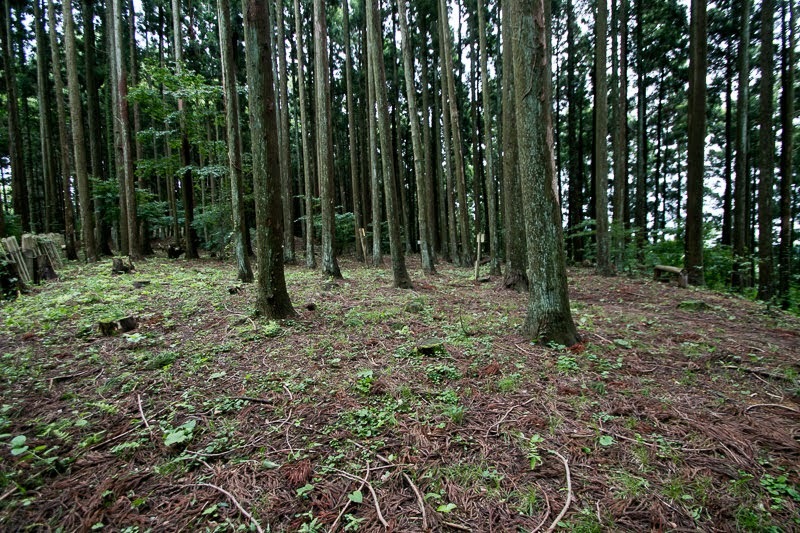 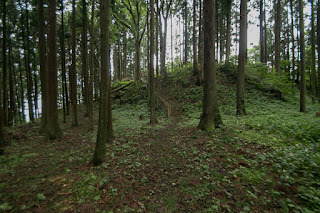 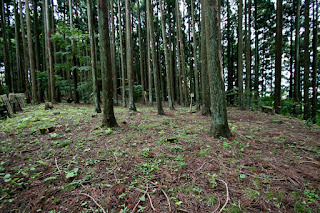 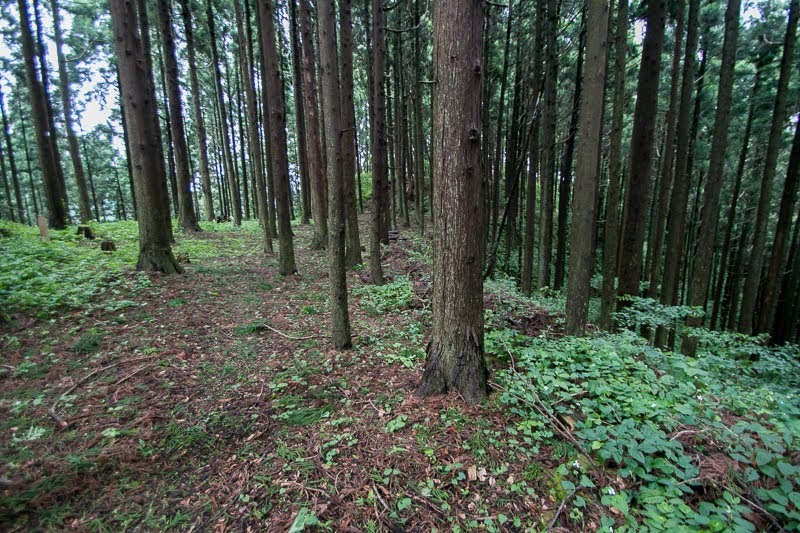 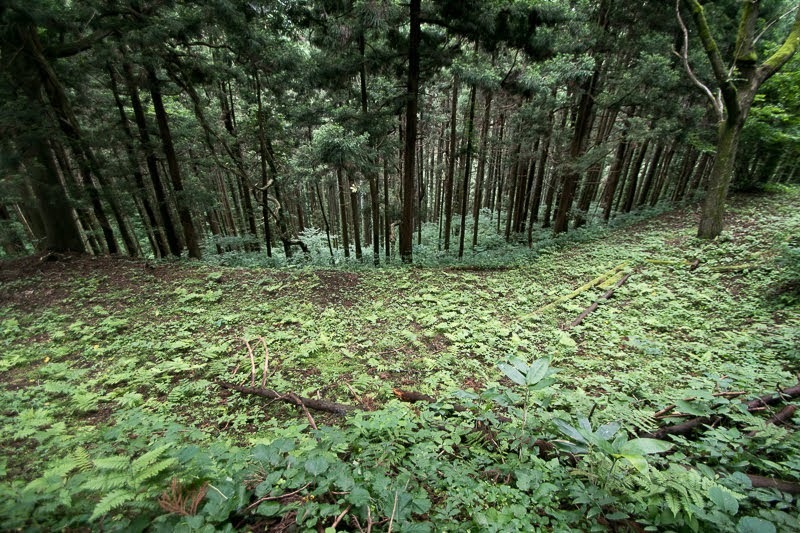 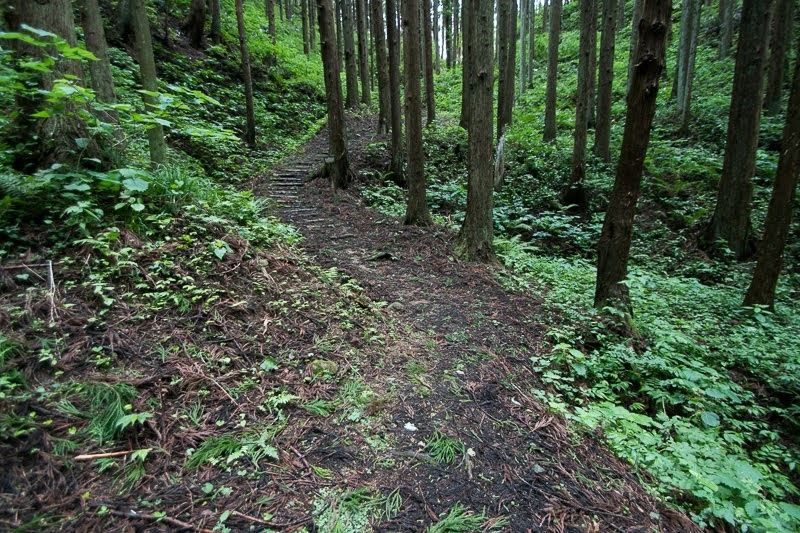 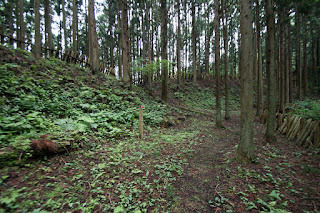 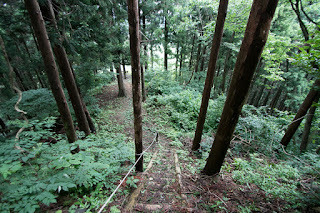 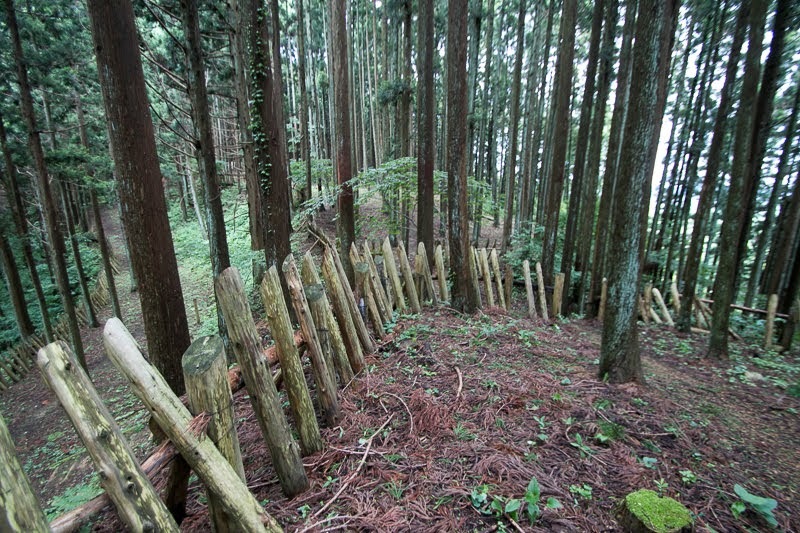 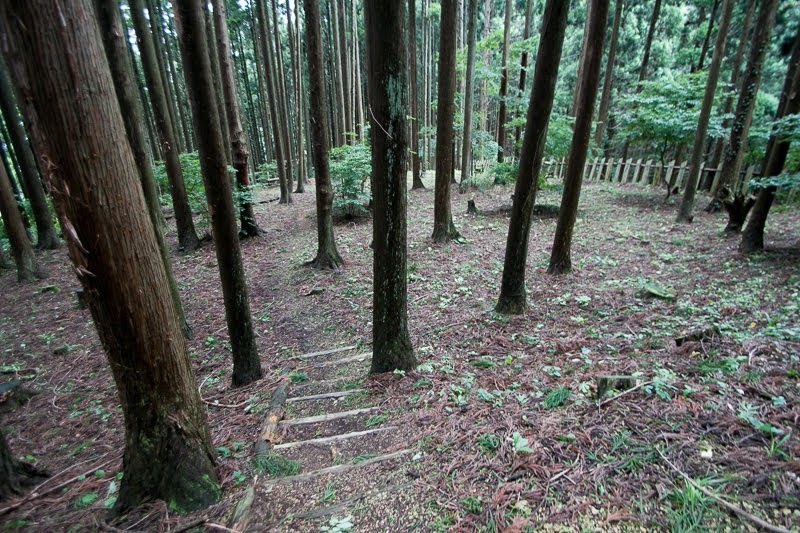 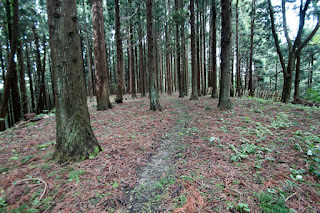 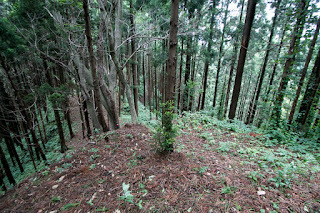 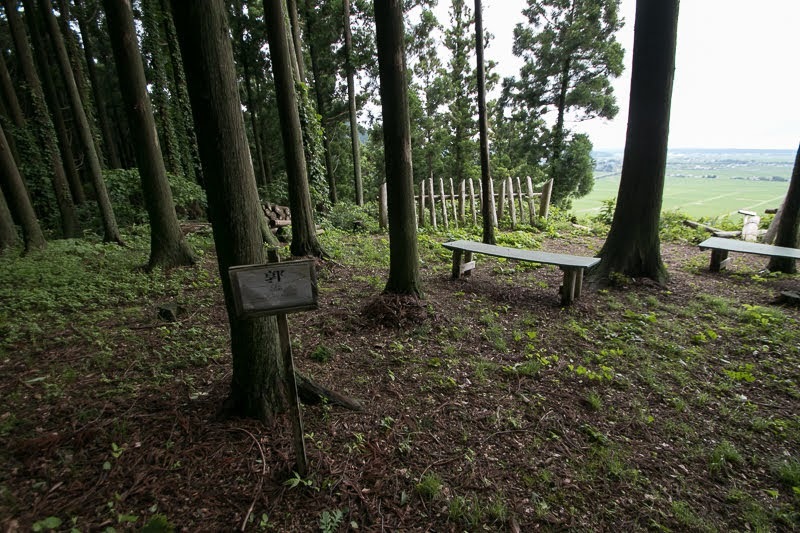 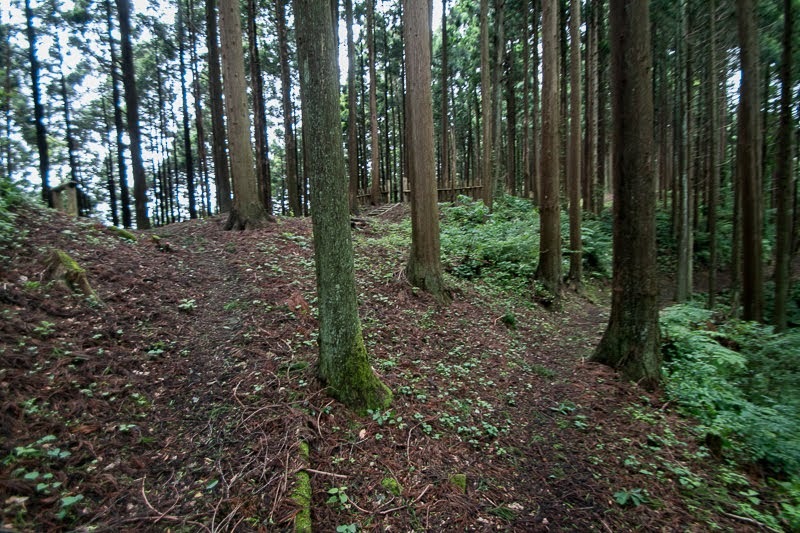 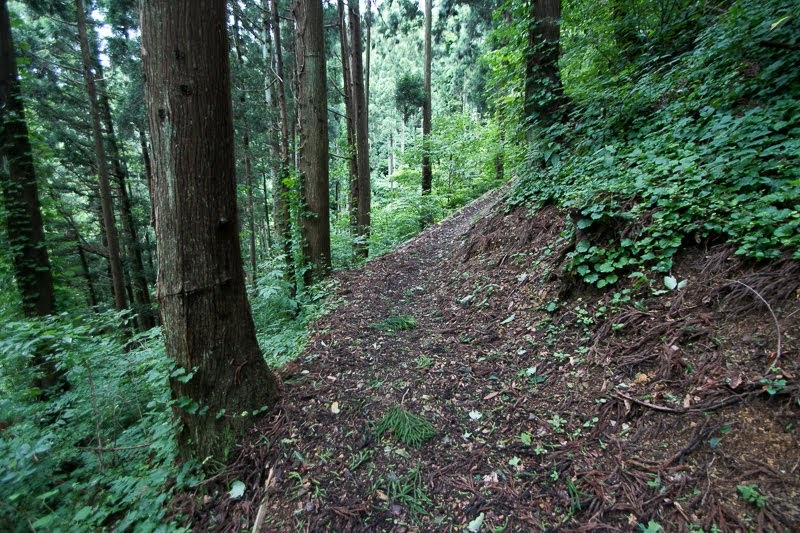 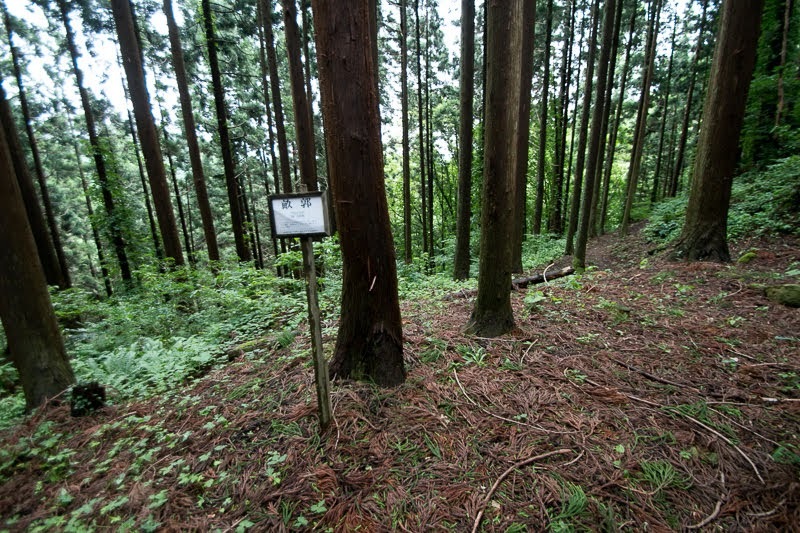 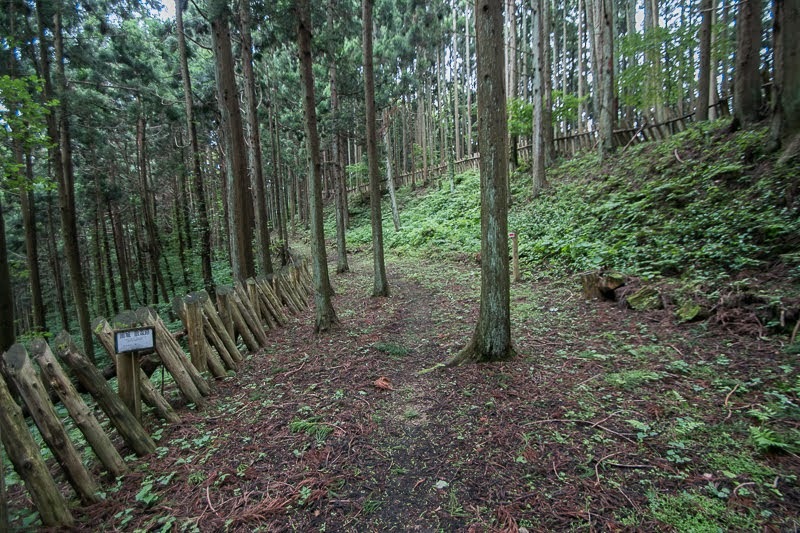 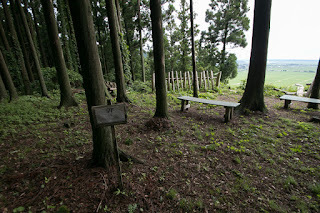 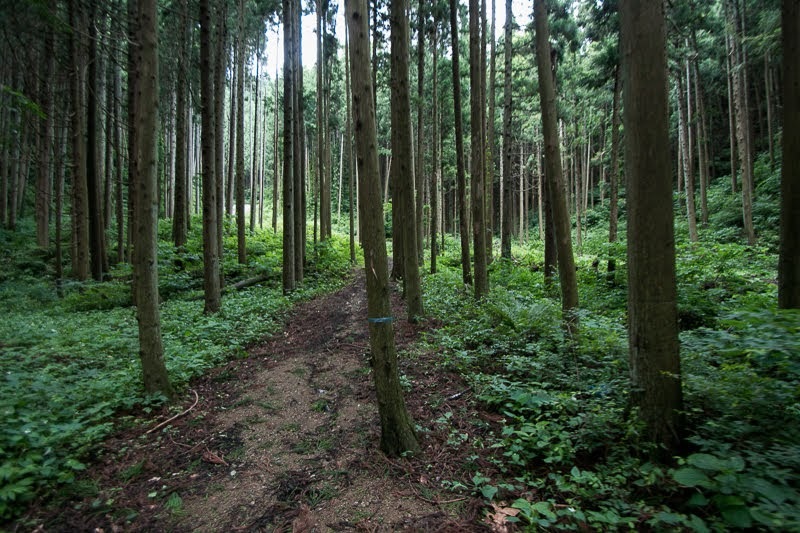 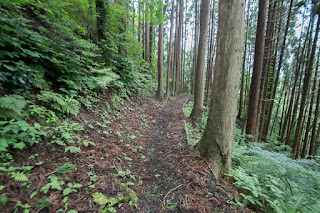 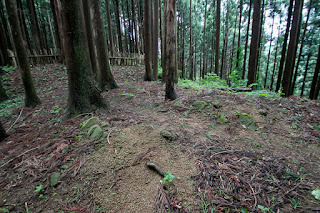 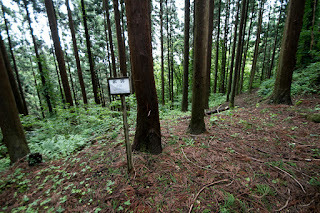 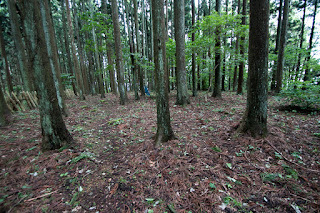 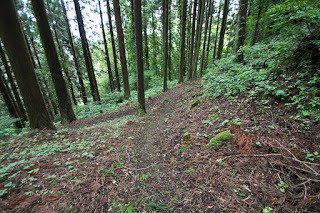 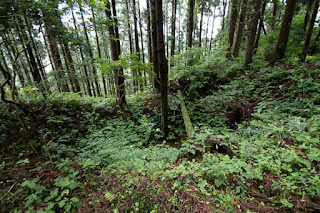 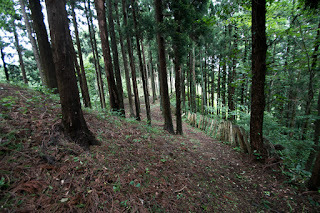 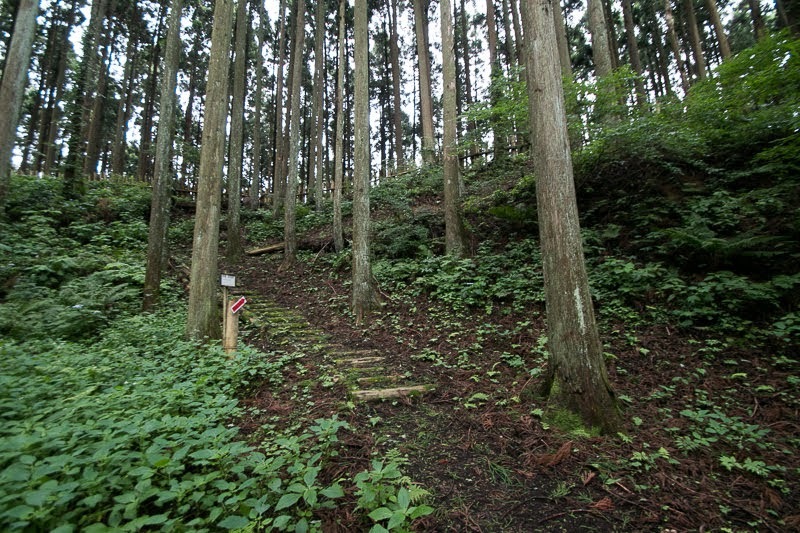 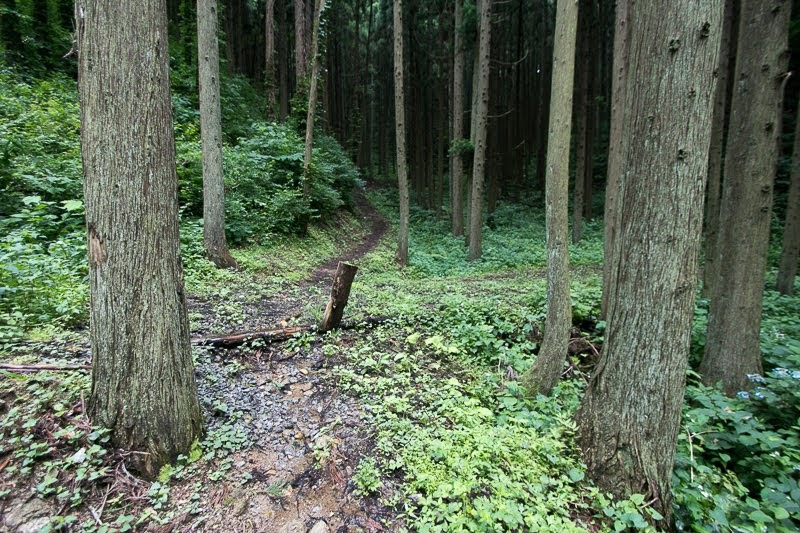 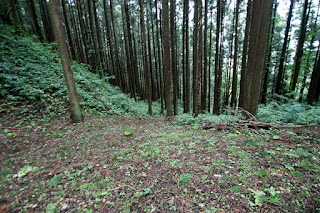 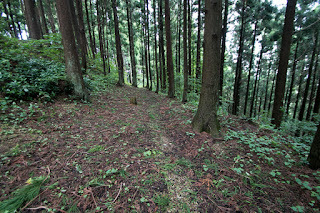 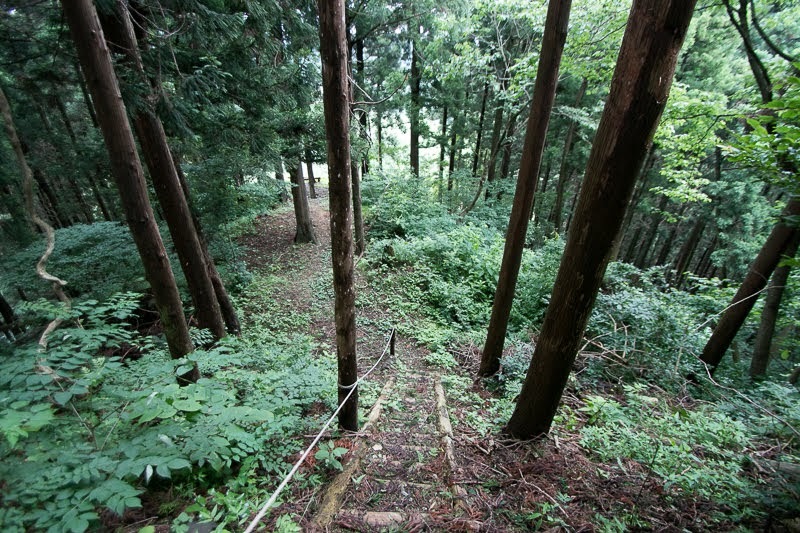 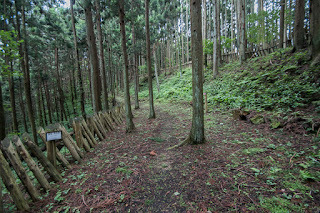 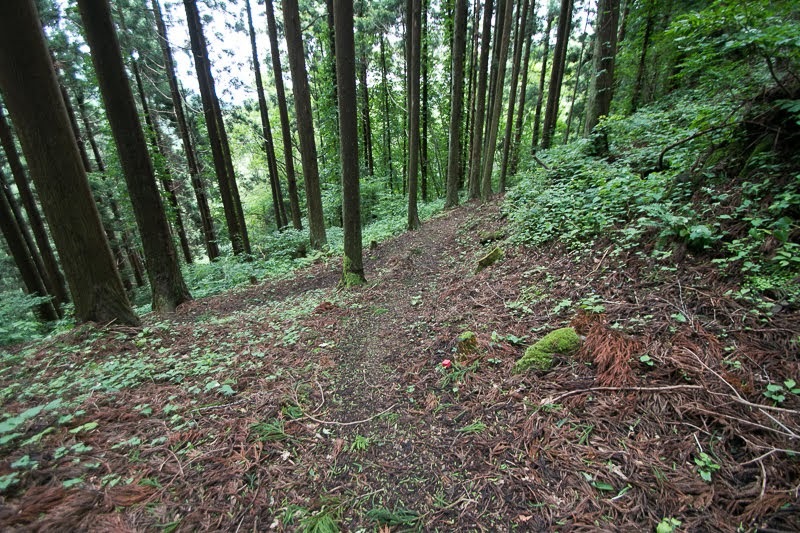 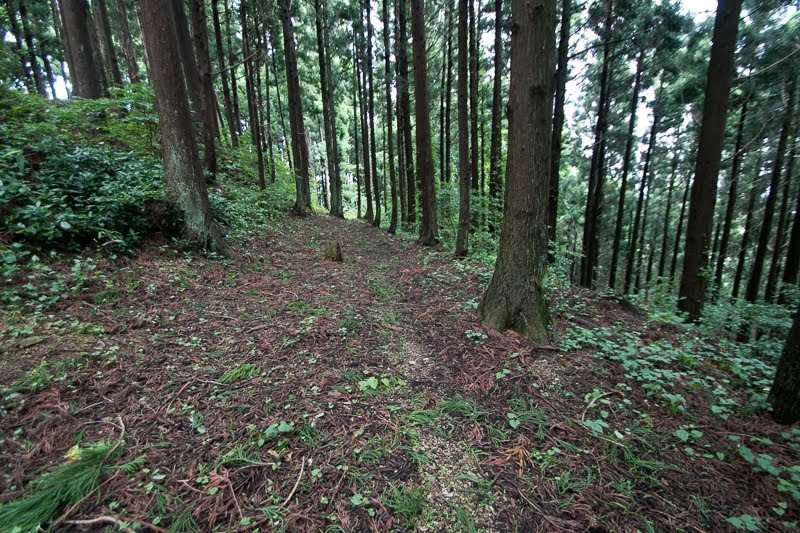 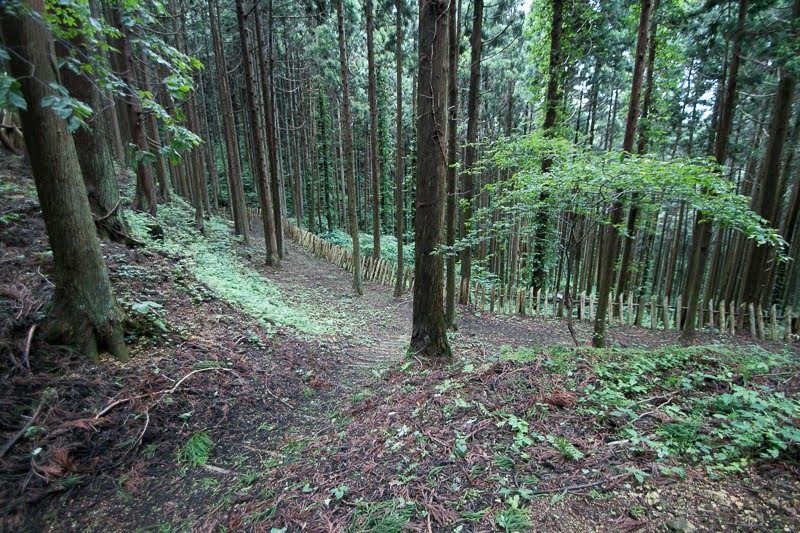 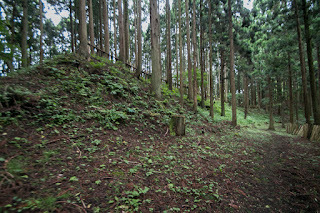 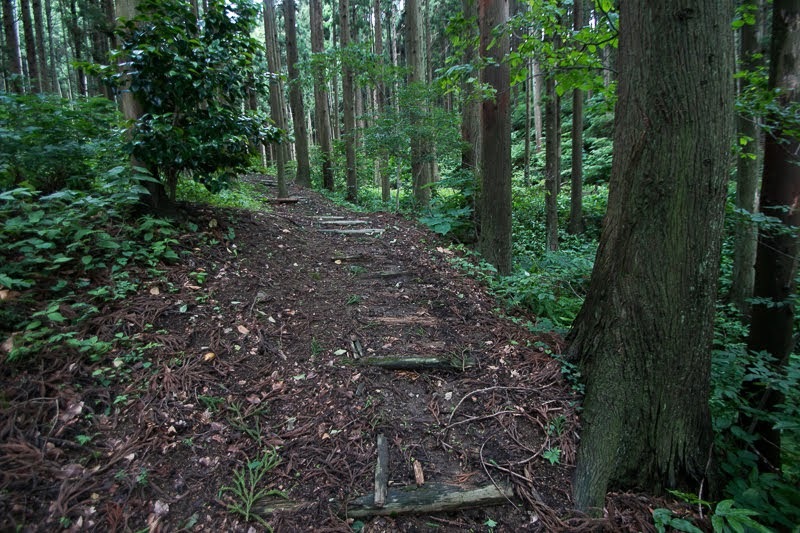 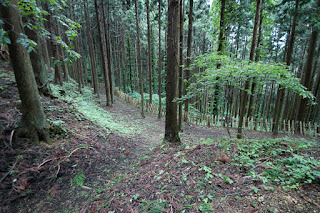 But being pushed by powerful enemy, soldiers of Mura army died in the fierce battle thus at last Morinaga Miura killed himself at the fall behind of the castle. After the battle, Chikasue Ando now named as Chikasue Akita abolished Ura castle. 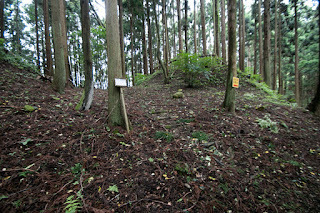 After the fall of Ura castle, Morisue Miura (?-? 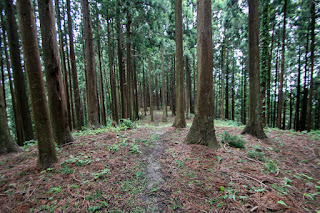 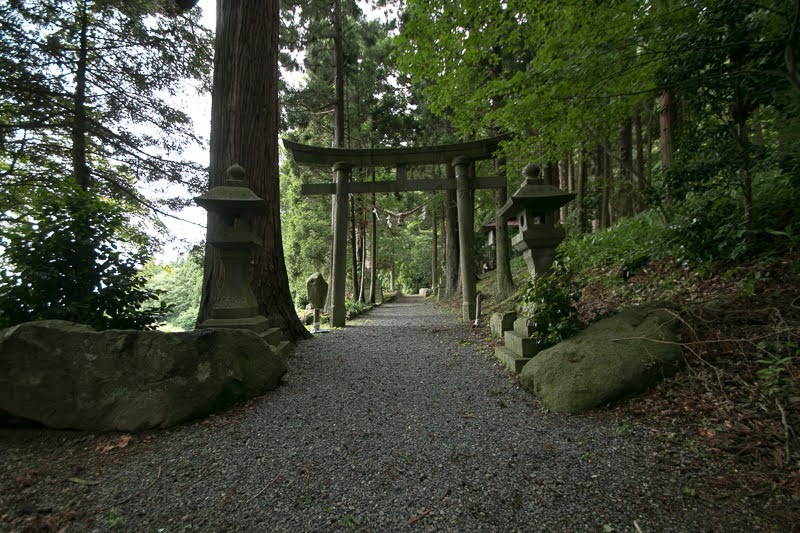 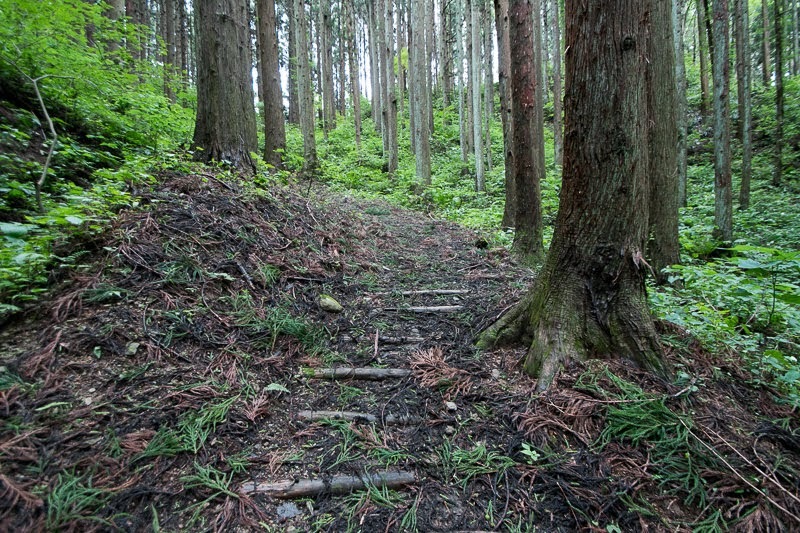 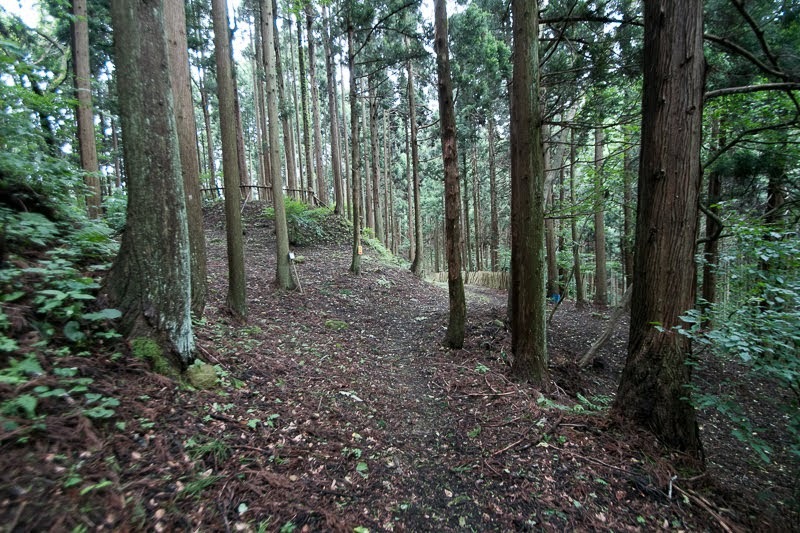 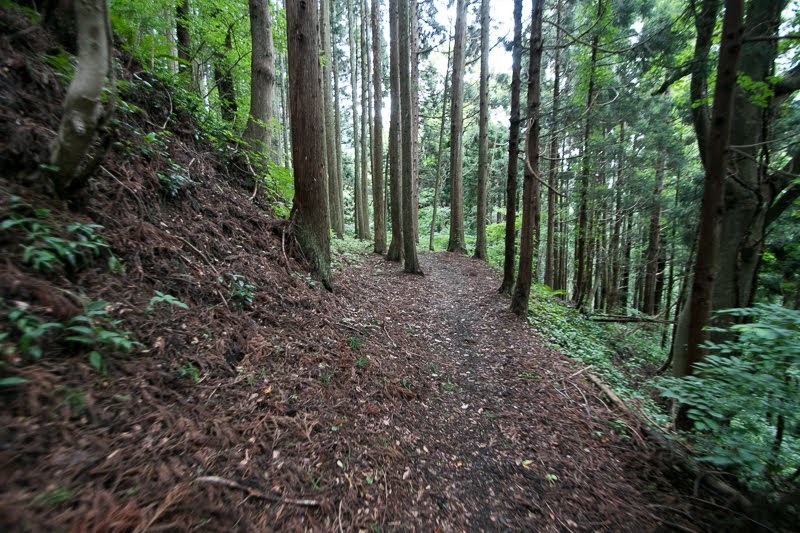 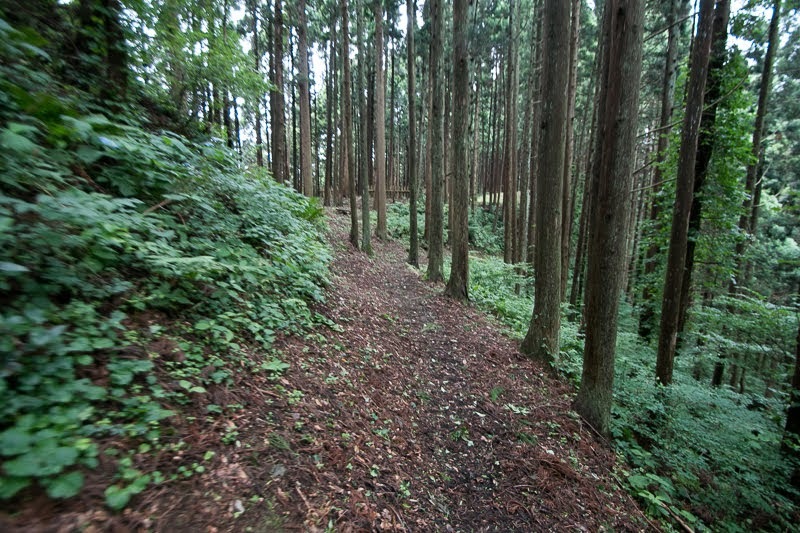 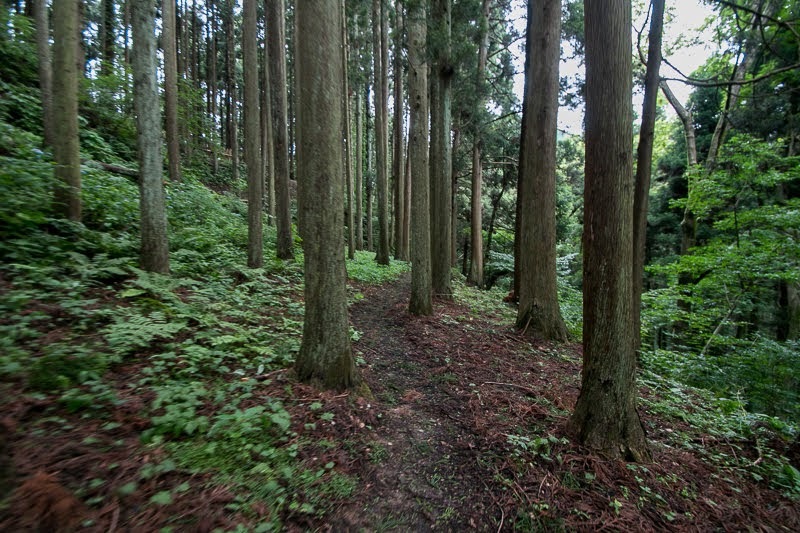 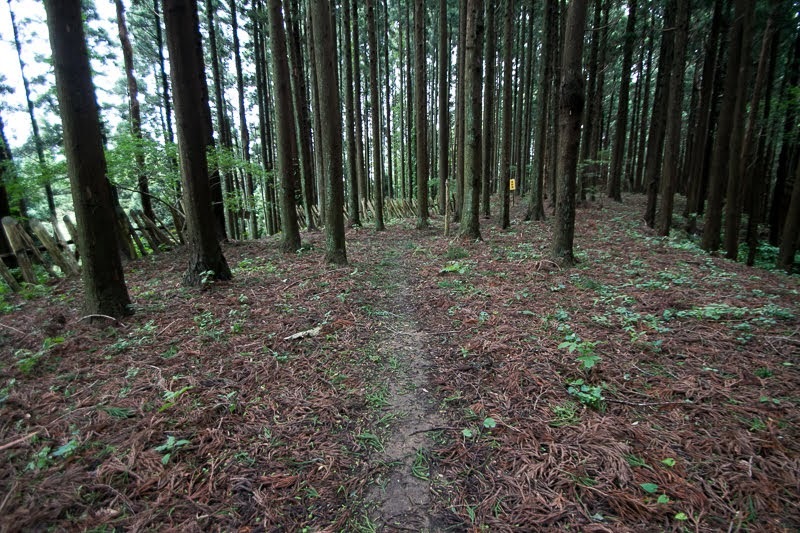 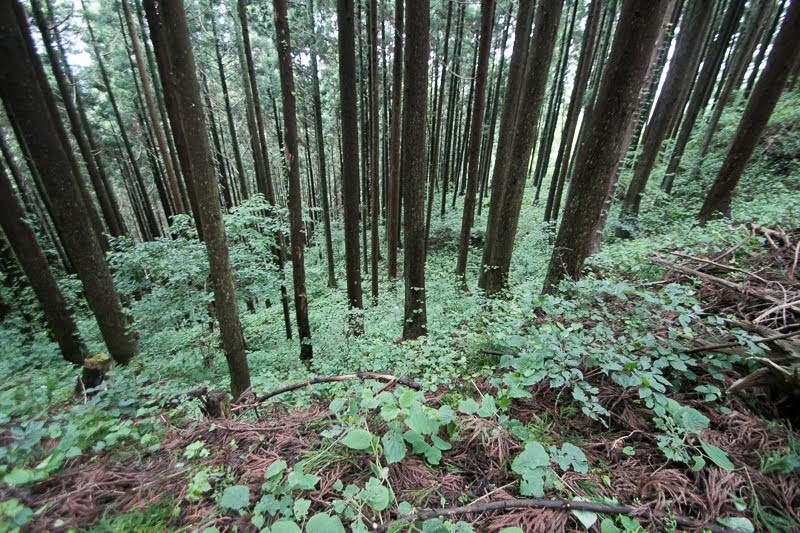 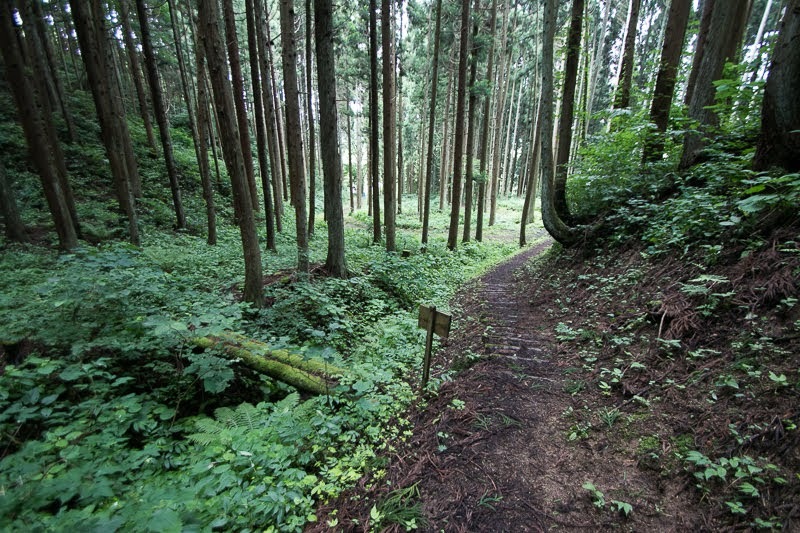 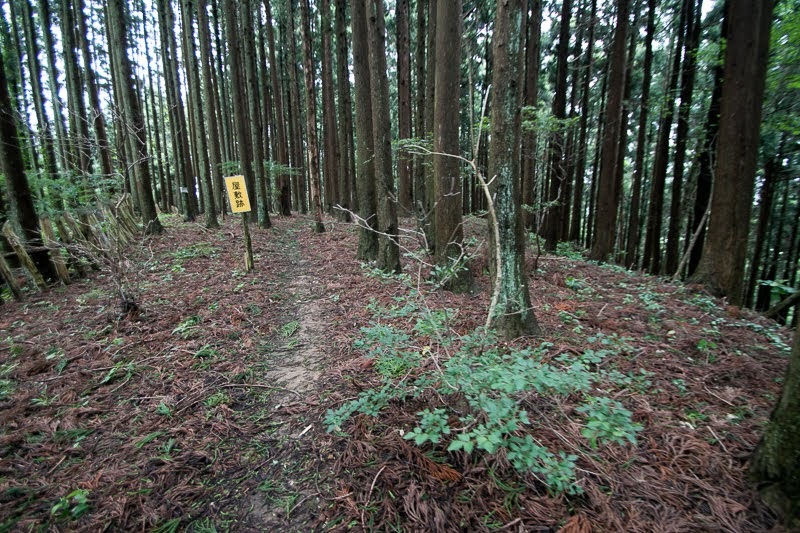 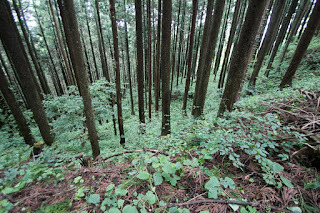 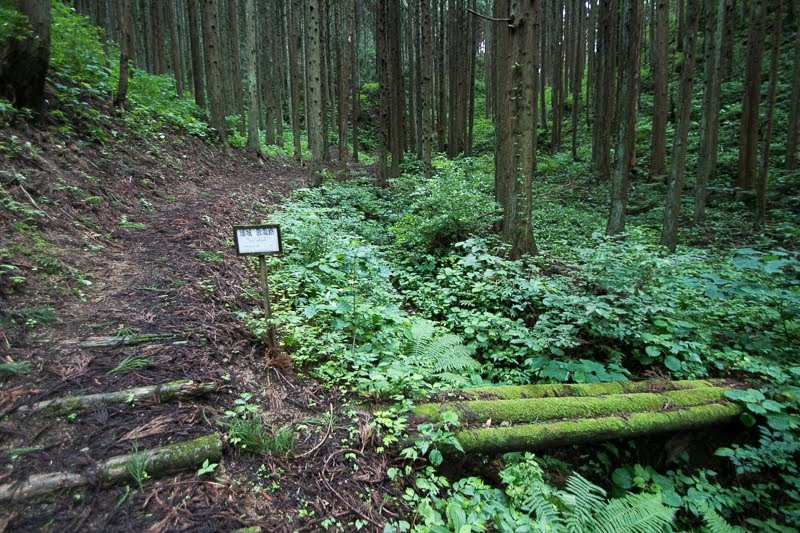 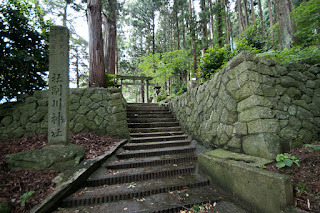 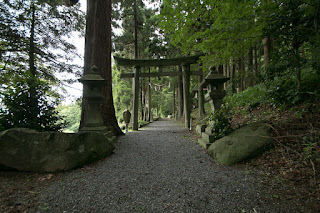 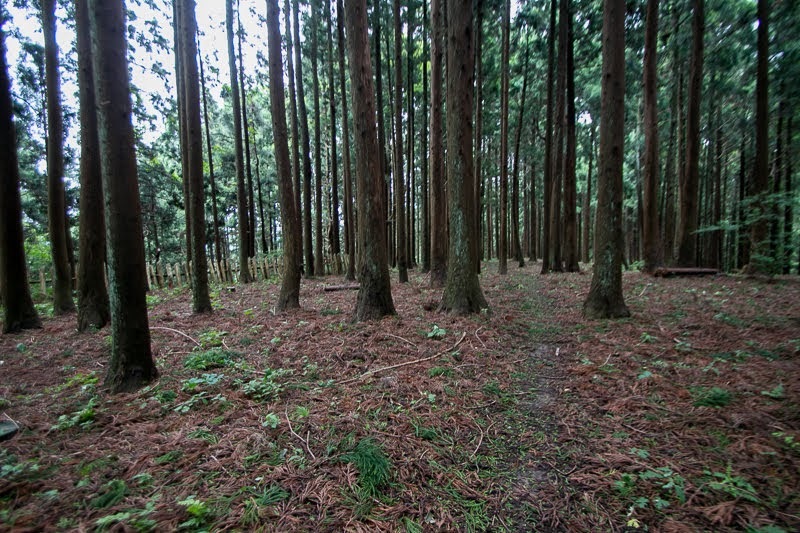 ), son of Morinaga Miura, was once forgiven by Chikasue Akita and returned as the lord of Hachiro-gata area. But later because of false accusation of his uncle Owada clan Moriue was assasinated, and his descendant became a wealth farmer of the area. 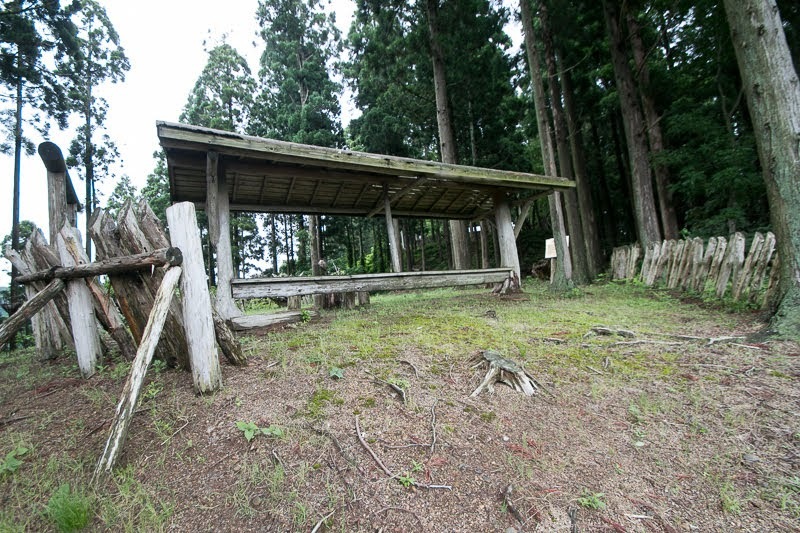 Owada clan is said to die by the curse of Morisue Miura, and turbulent history of Miura clan as the lord of Hachirogata area had ended. 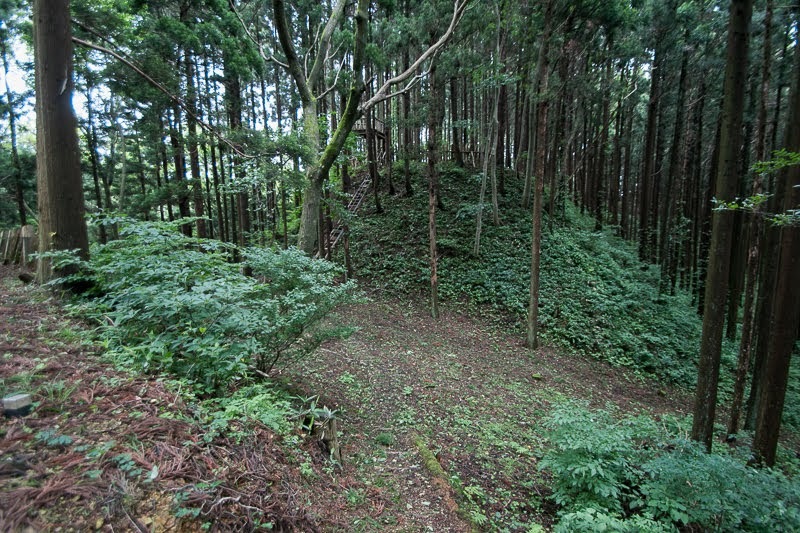 Now all building was lost but structures of the castle including clay walls and moats well remain over the ridge. 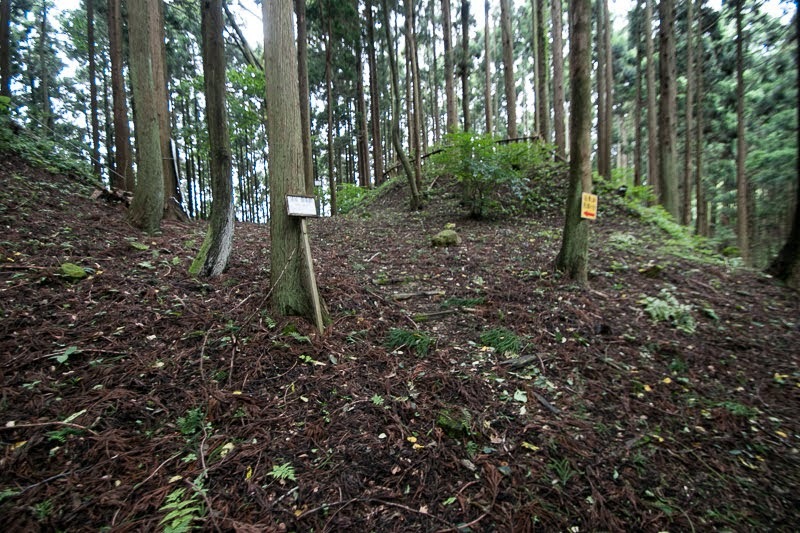 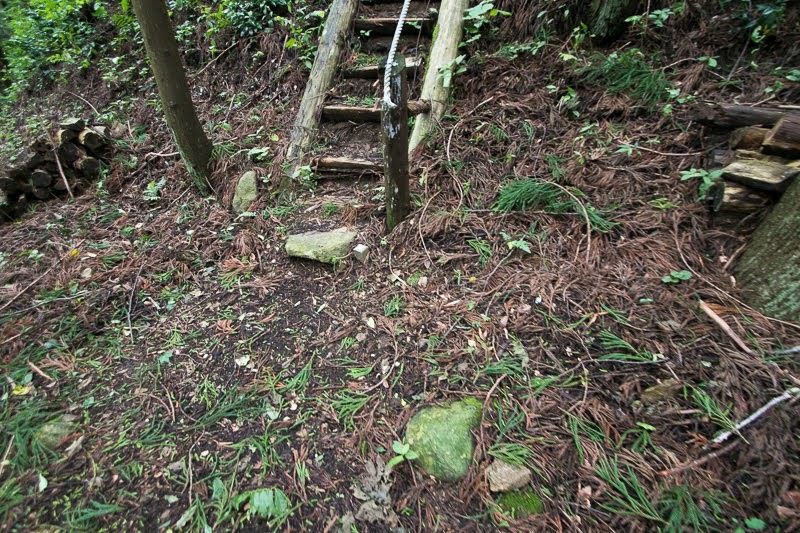 Castle site is well managed by local residents and clearly shows is shape without weeds. 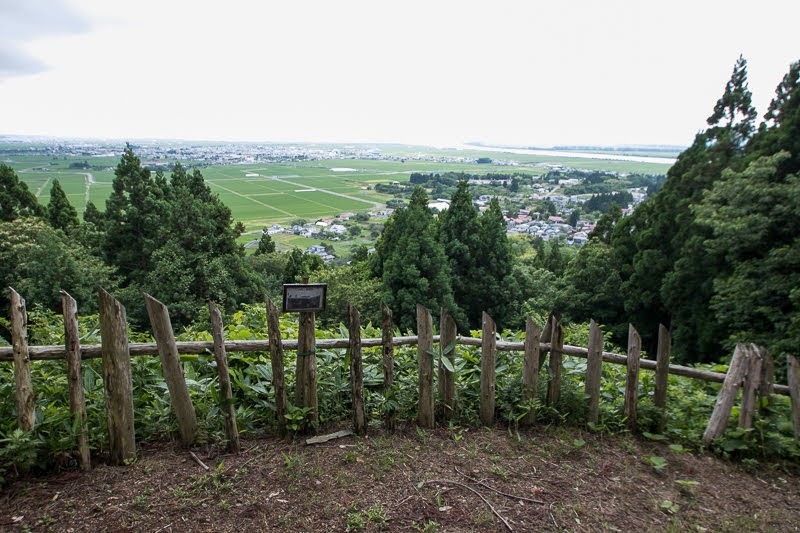 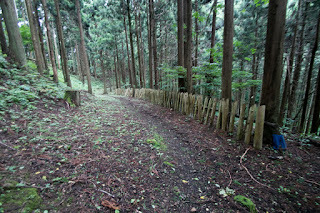 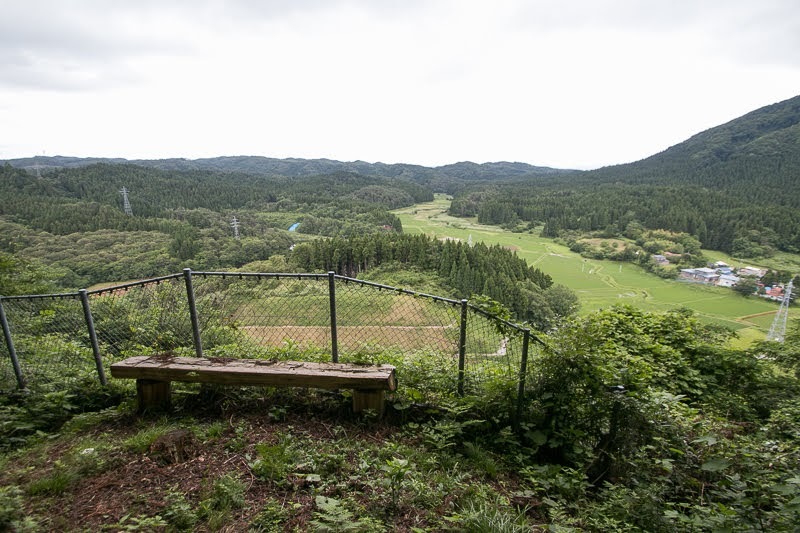 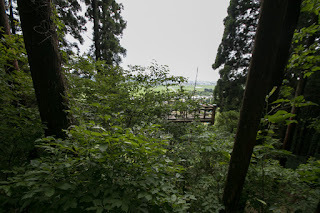 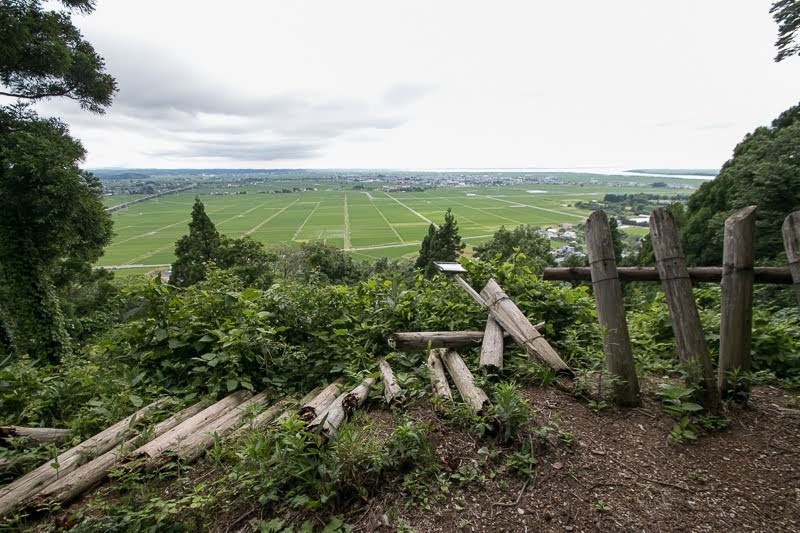 Now former Hachirogata area looked down from castle only shows rice fields, but reconstructed fences and gates reminds former prosperity of Miura clan as the lord of the lake, and tidal wave of history destroyed peaceful days of the clan. 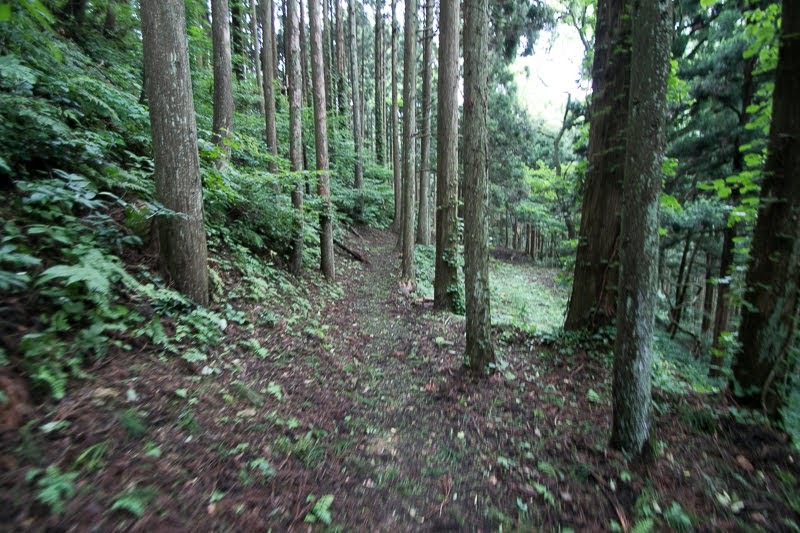 30 minutes walk from JR East Ou-Honsen line Hachirogata station. 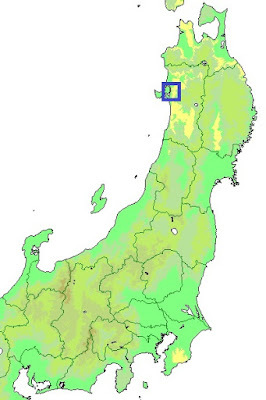 15 minutes drive from Akita Jidoshado Expressway Gojome-Hachirogata interchange.